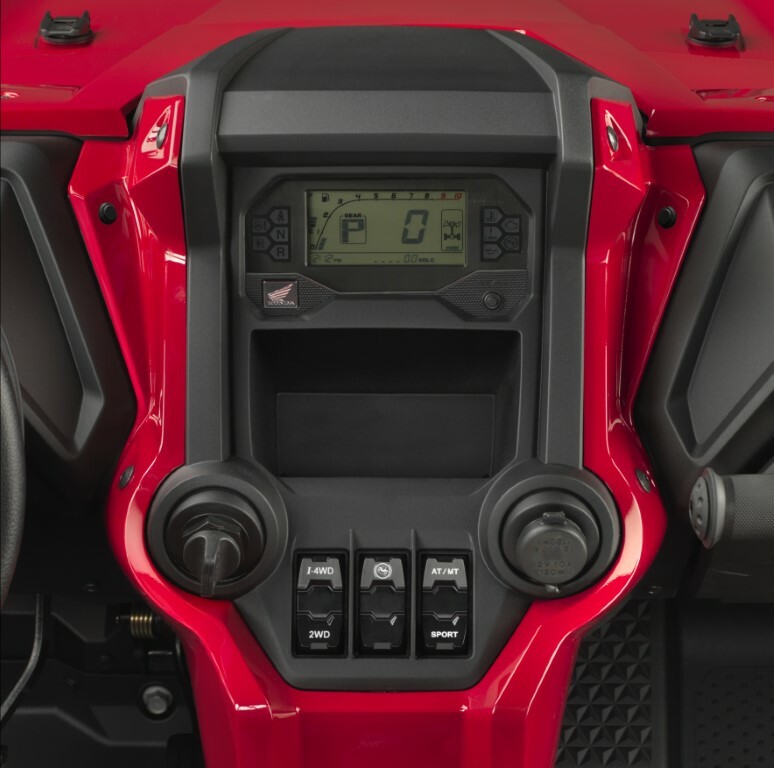 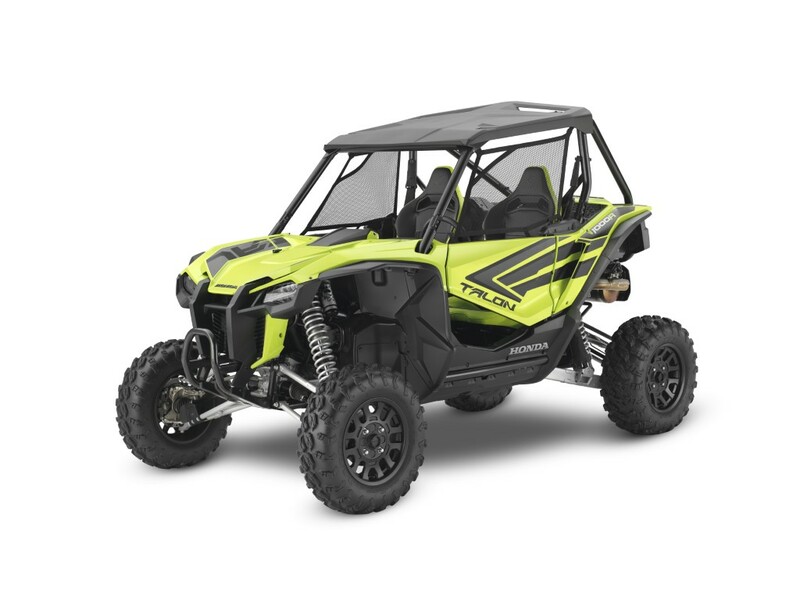 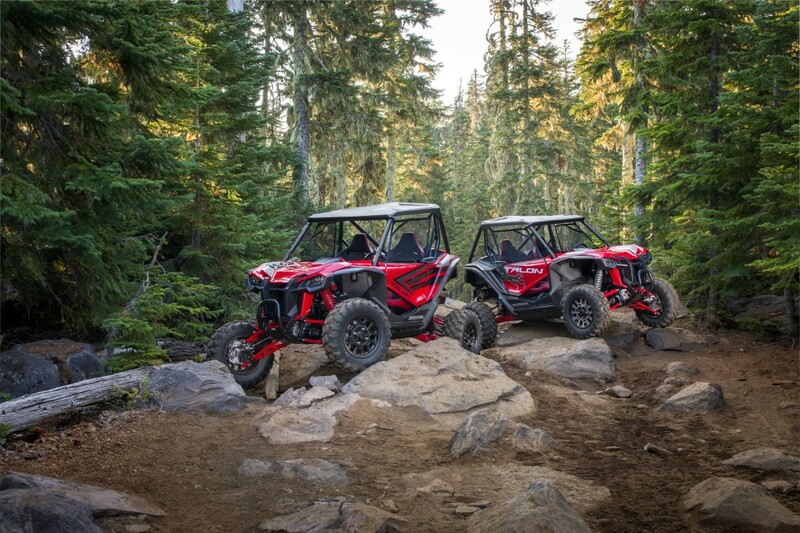 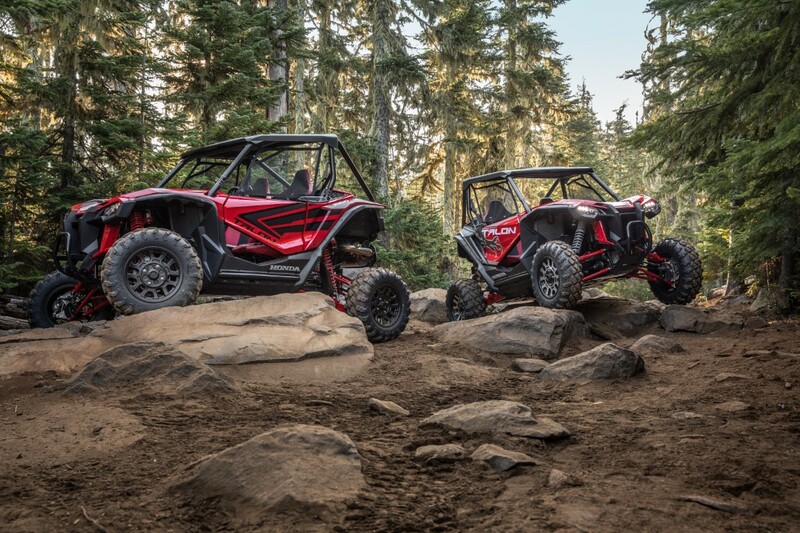 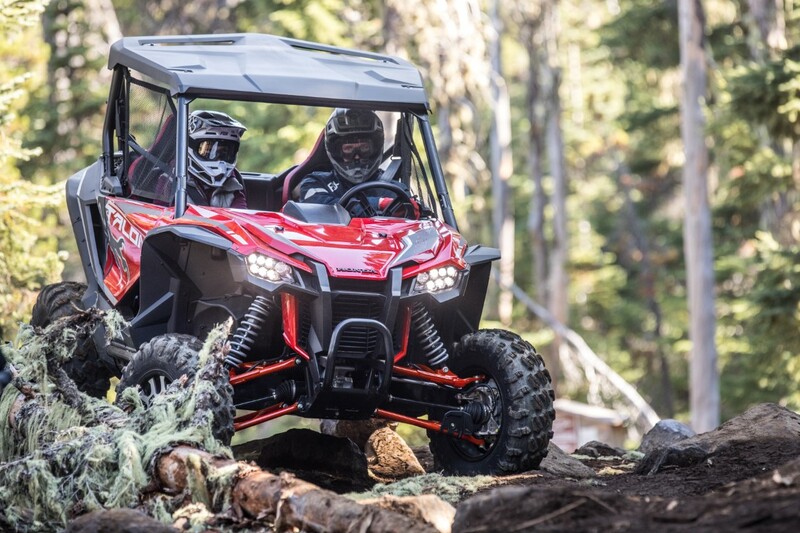 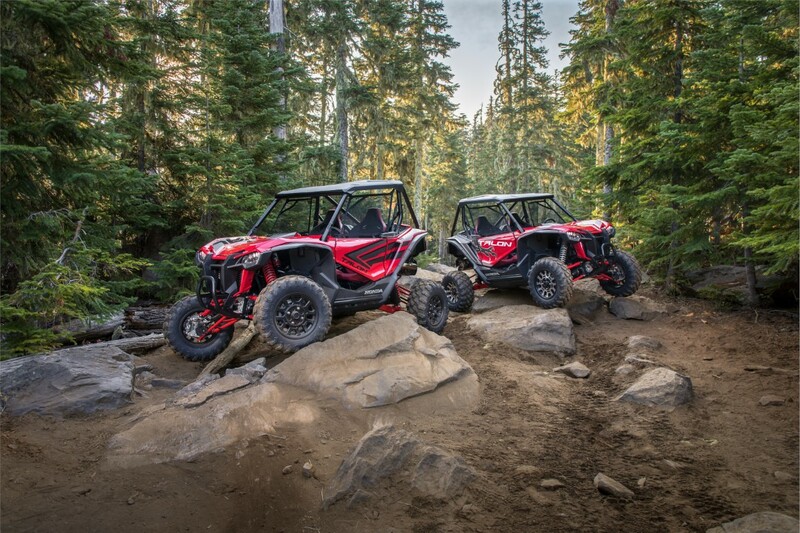 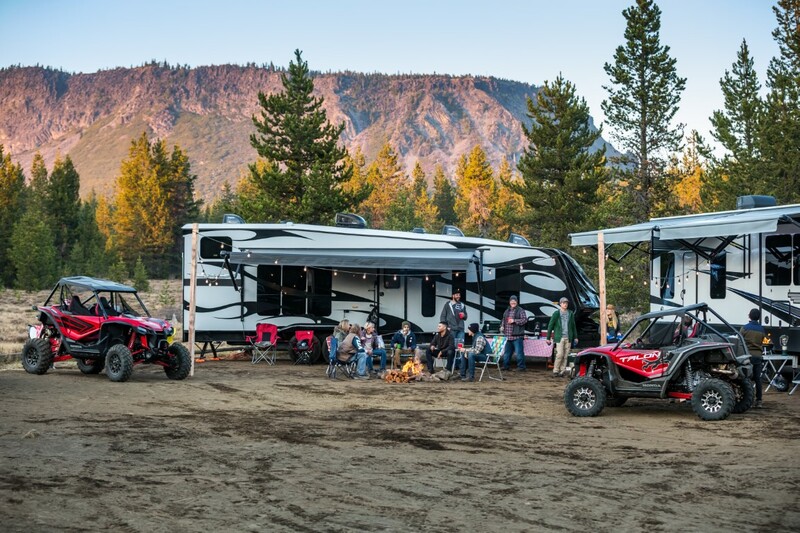 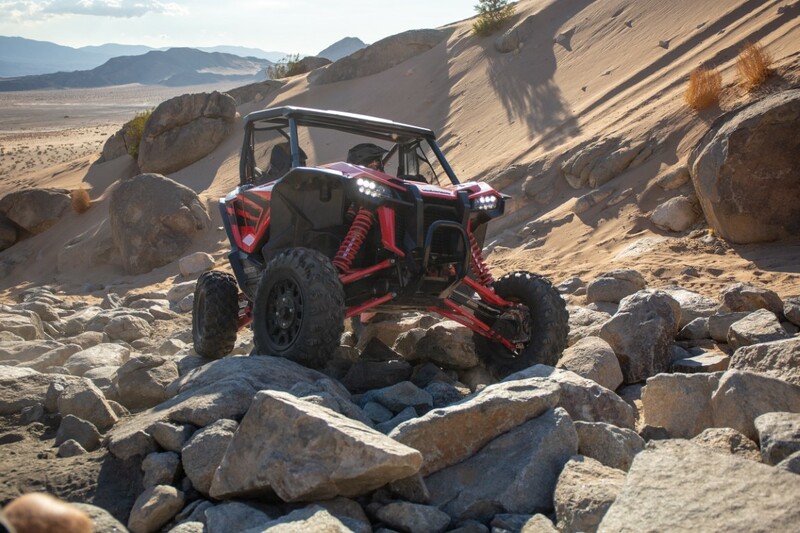 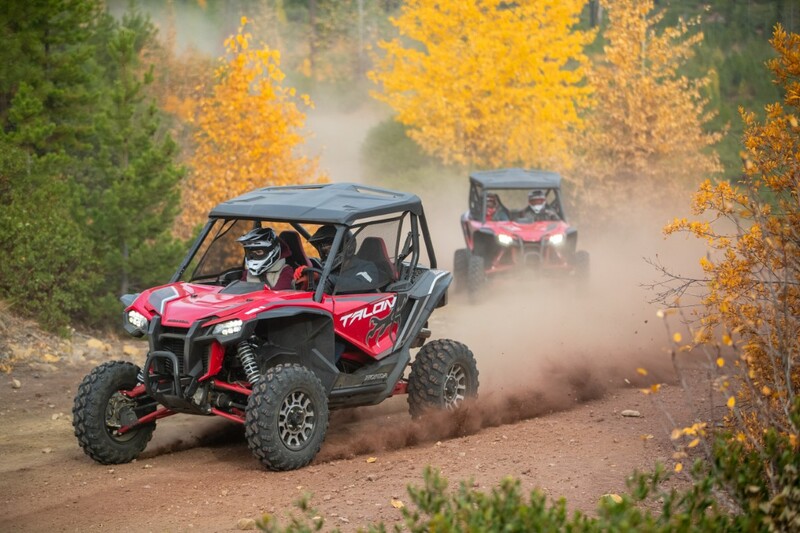 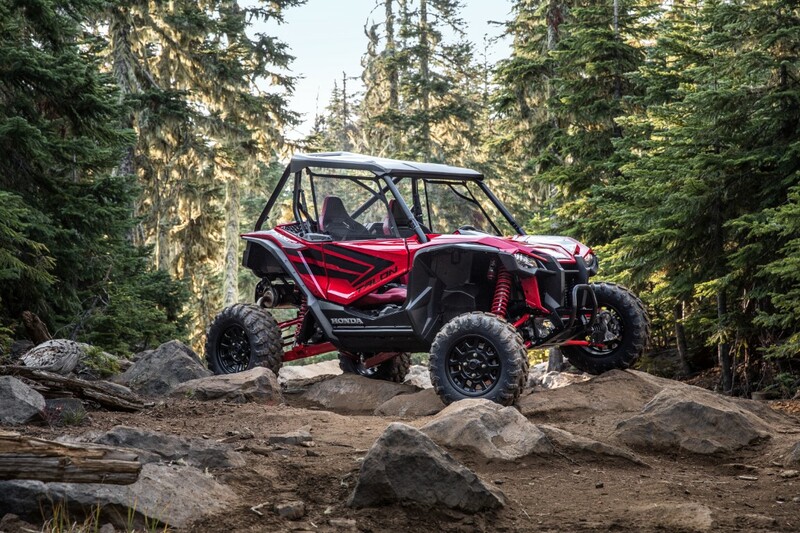 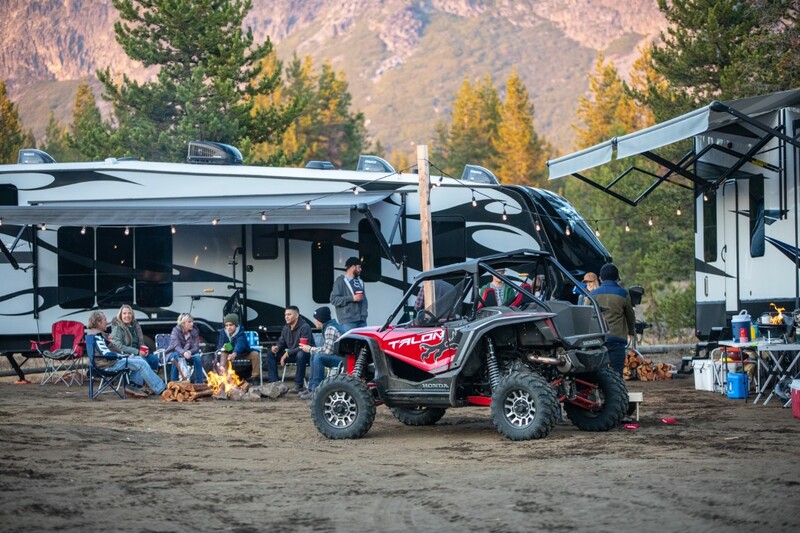 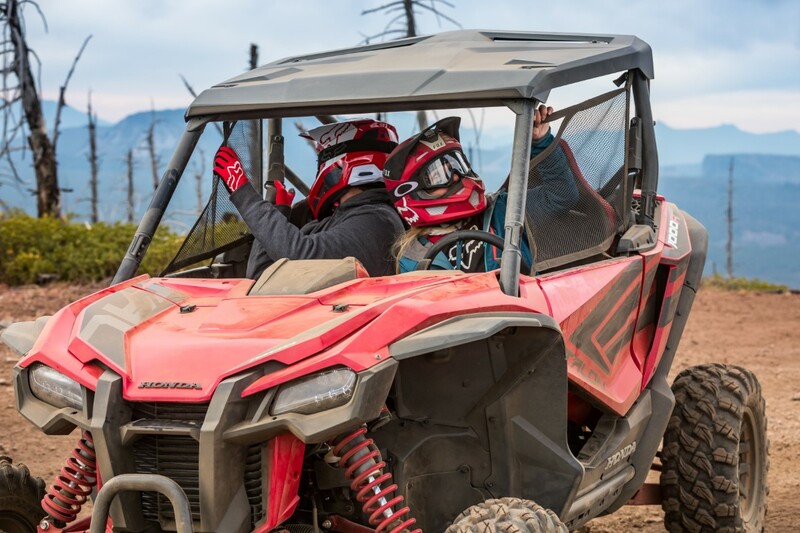 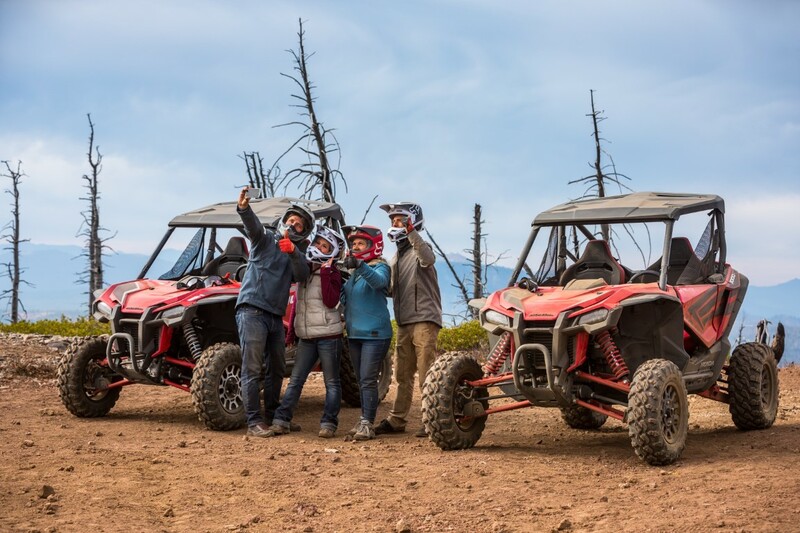 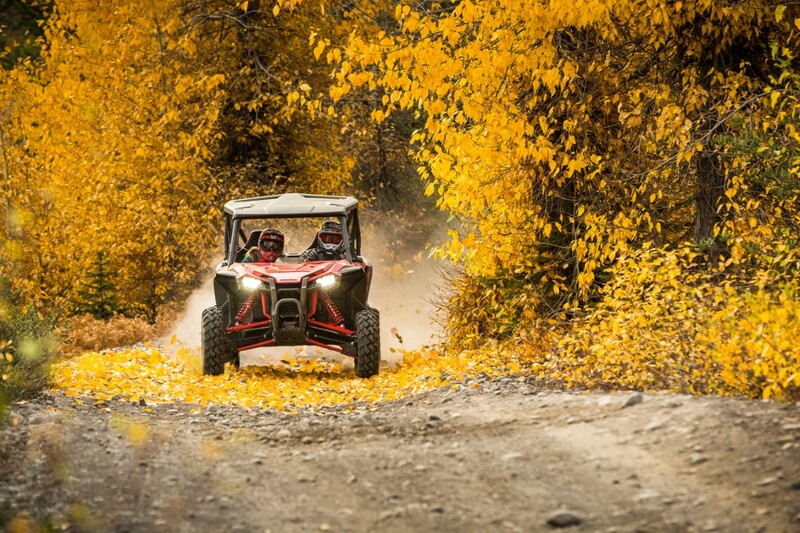 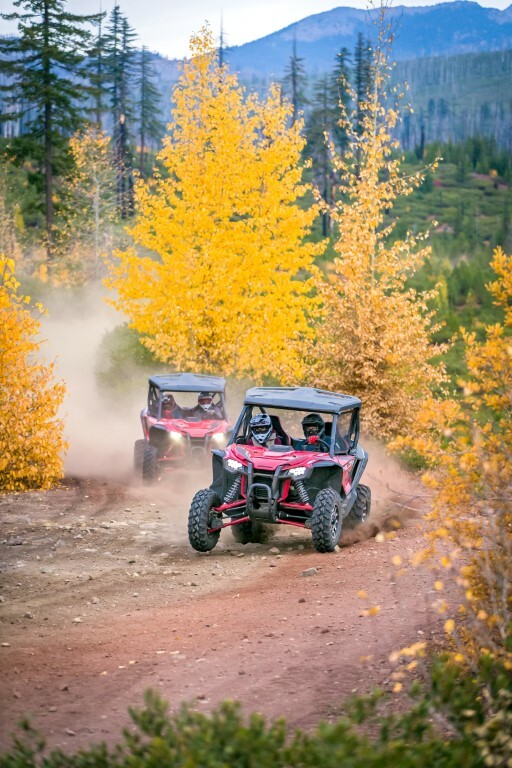 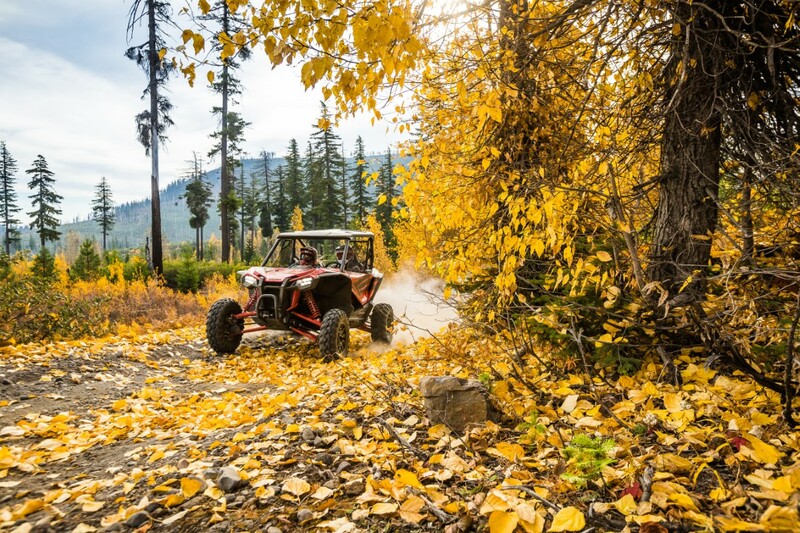 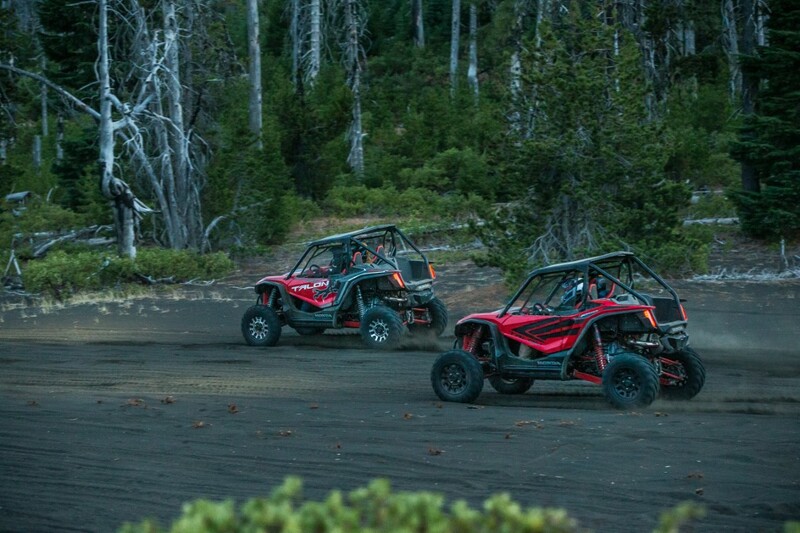 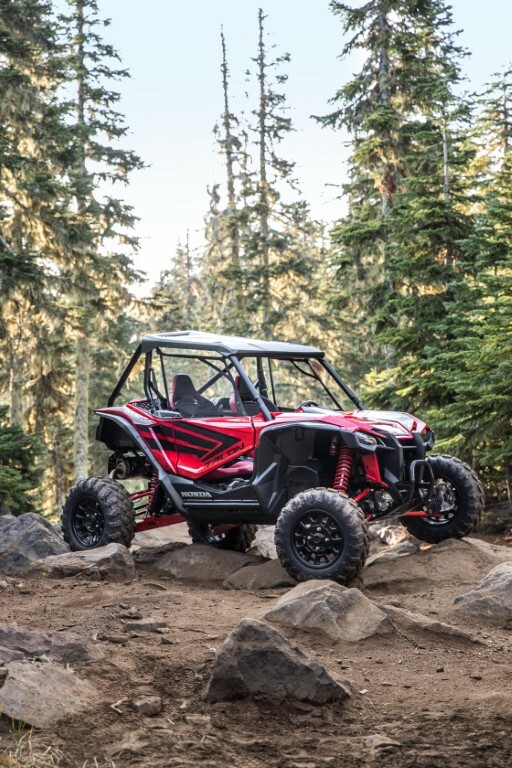 The All-New 2019 Honda TALON 1000R & 1000X Sport SxS / UTV / Side by Side models have officially been released! 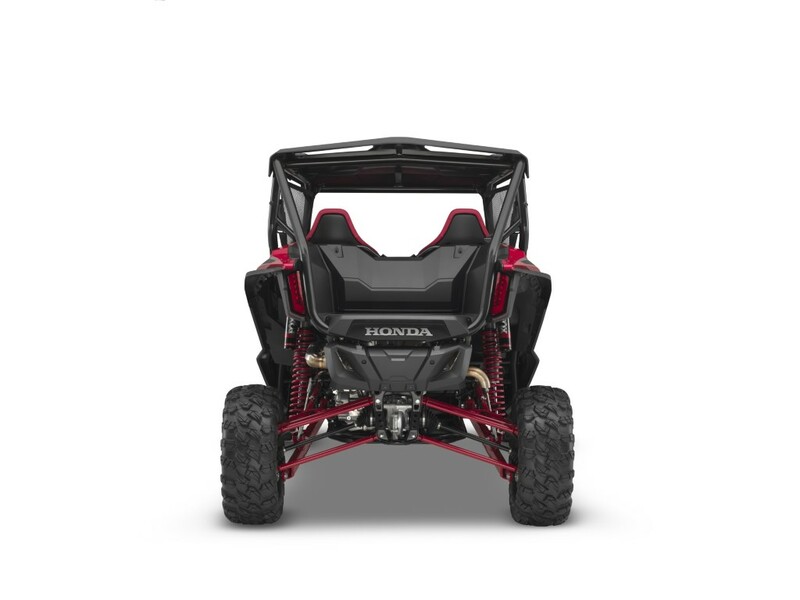 Well, kind of… What do I mean by that? 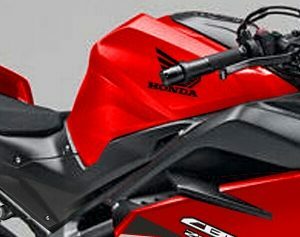 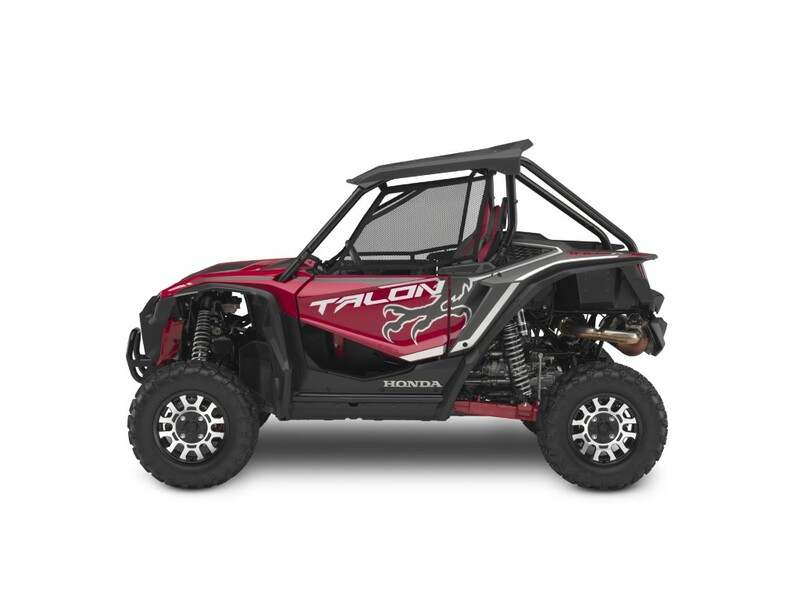 Well, today’s official announcement of the new TALON 1000 model lineup from Honda wasn’t supposed to be released until 6:30 PM EST and if your’e paying attention to the clock – you know it’s not 6:30 PM just yet (it’s only 11:00 AM at the time of writing this). 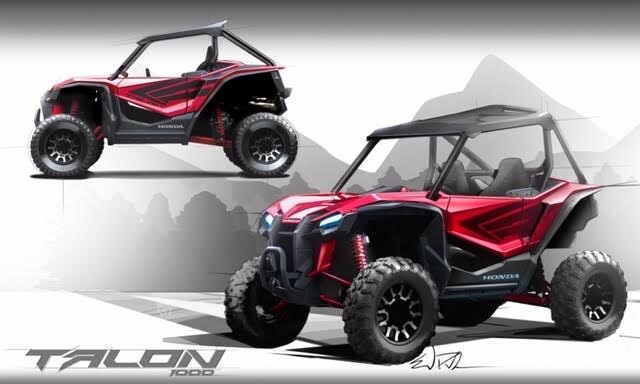 If you’re not familiar with all of the TALON news etc leading up to the announcement today and want to get caught up on everything related to the TALON 1000 models – Click Here. 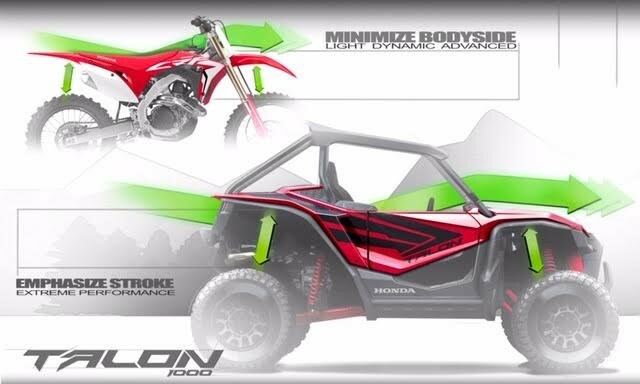 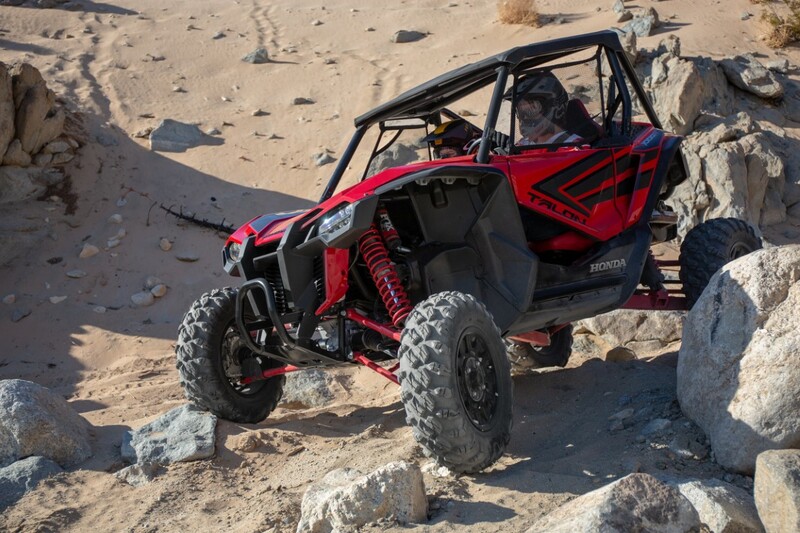 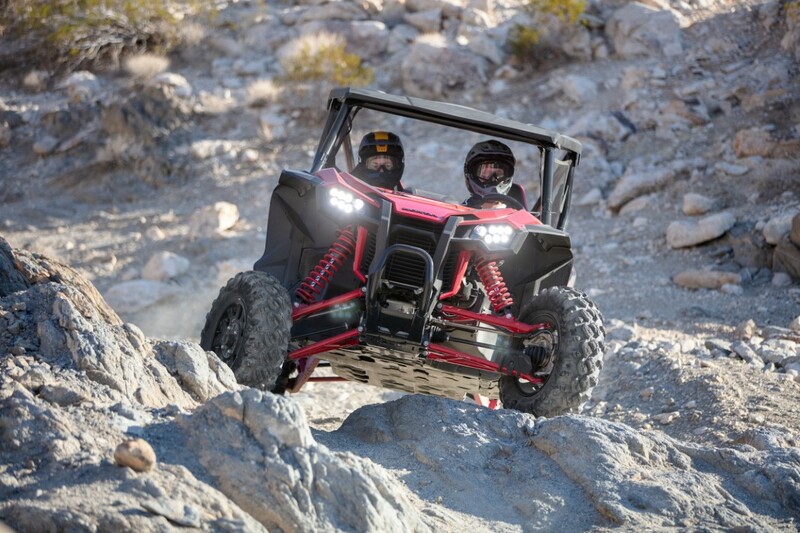 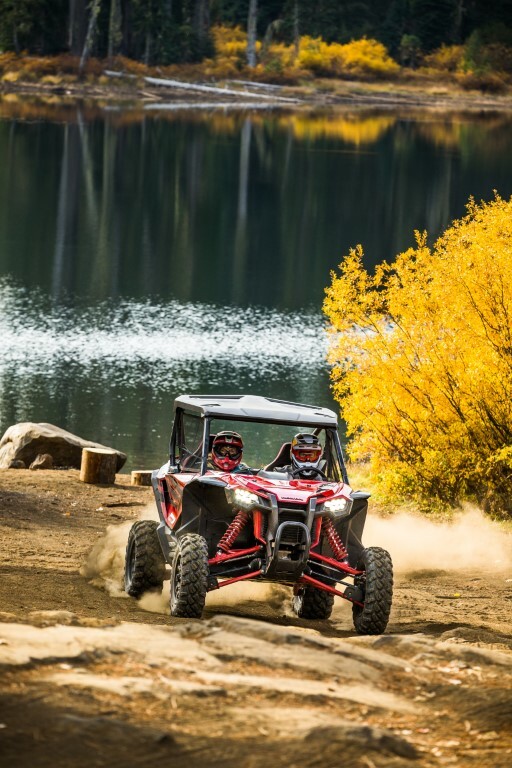 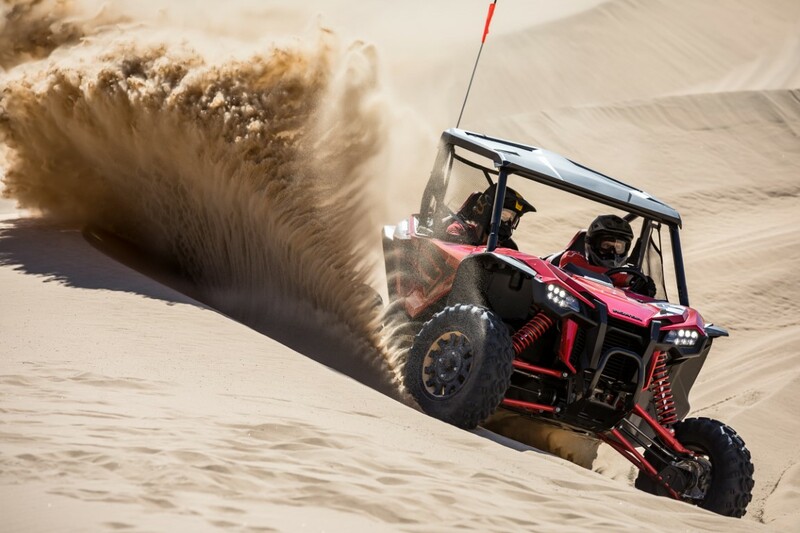 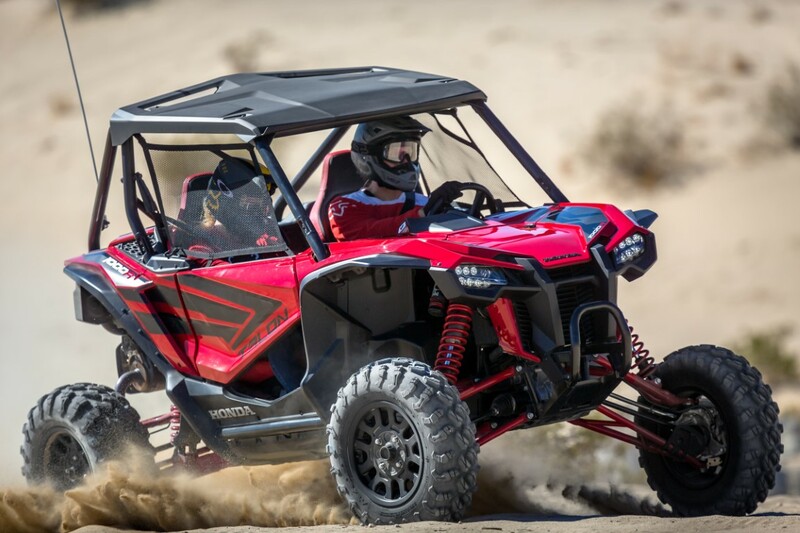 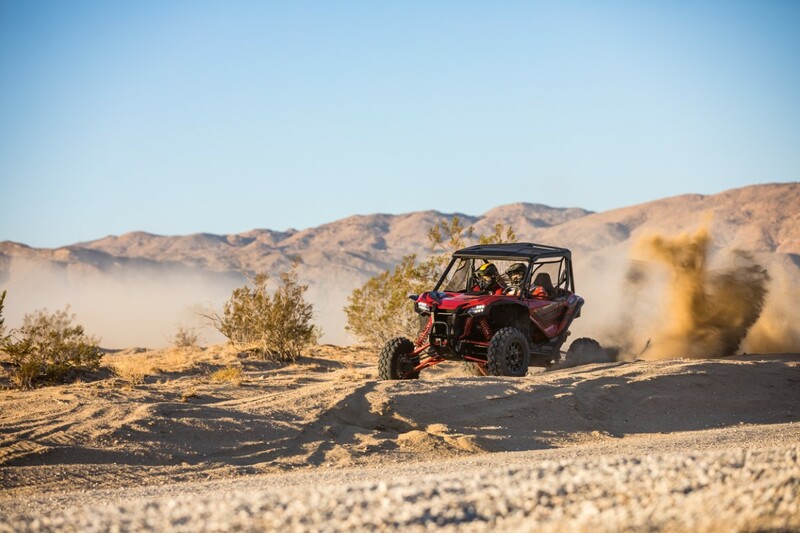 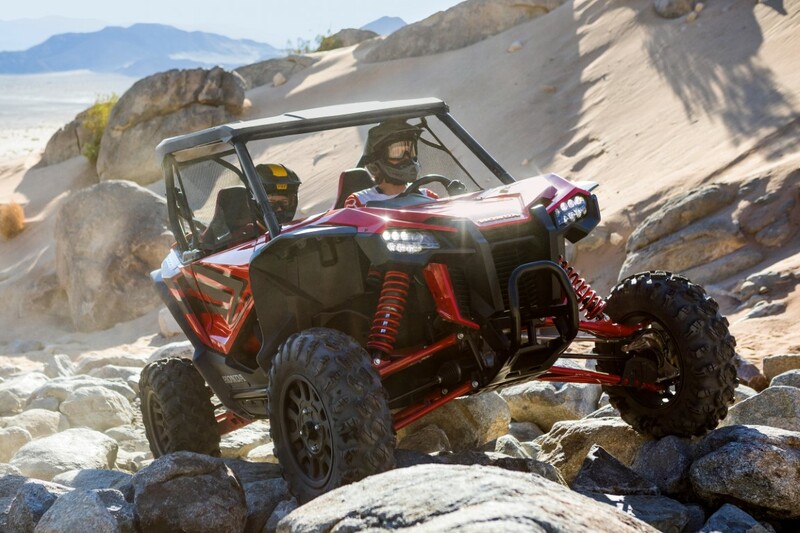 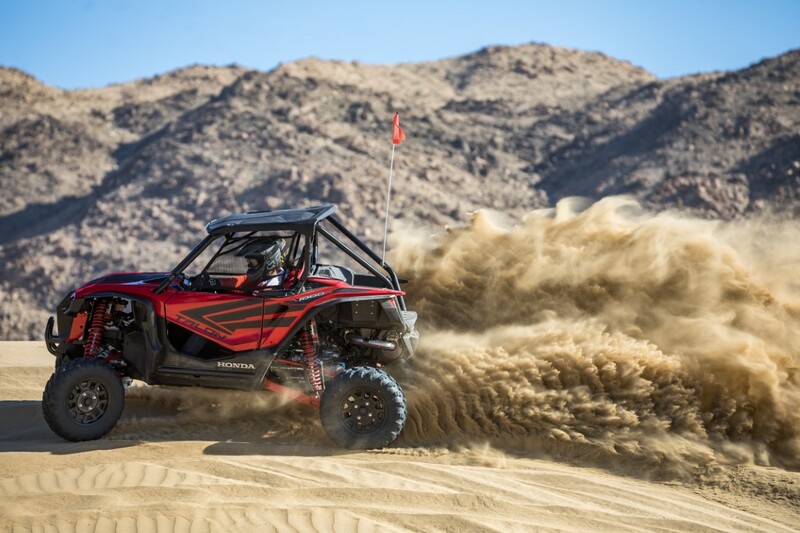 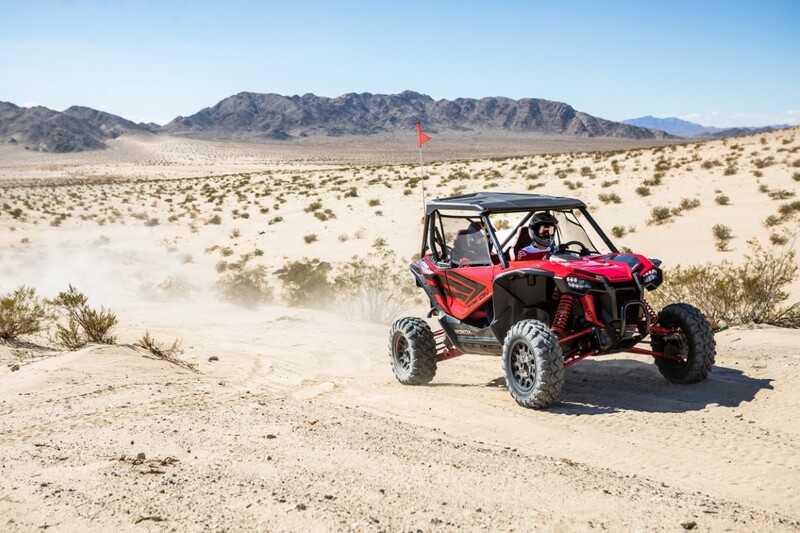 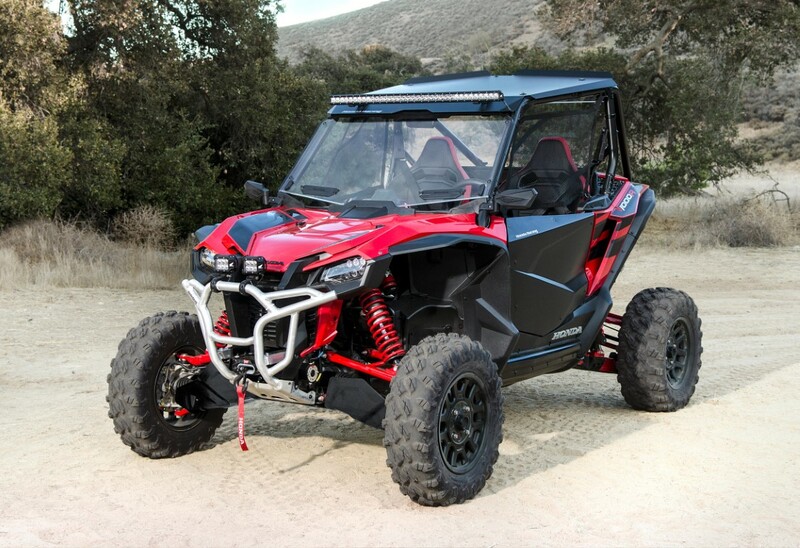 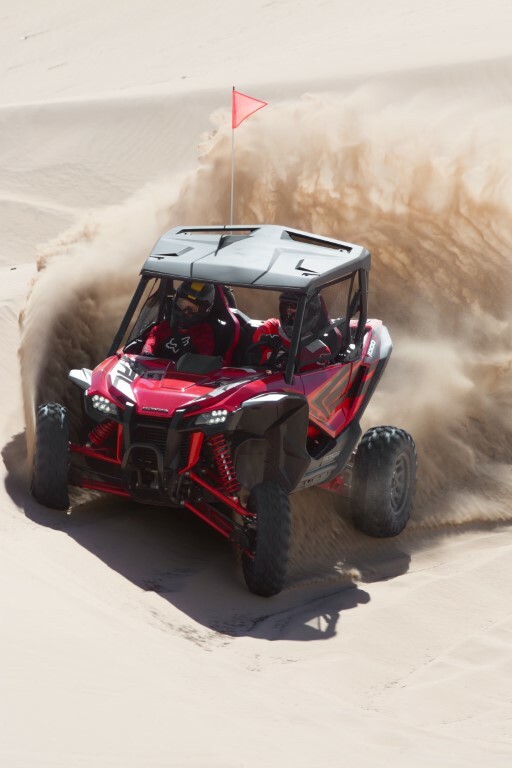 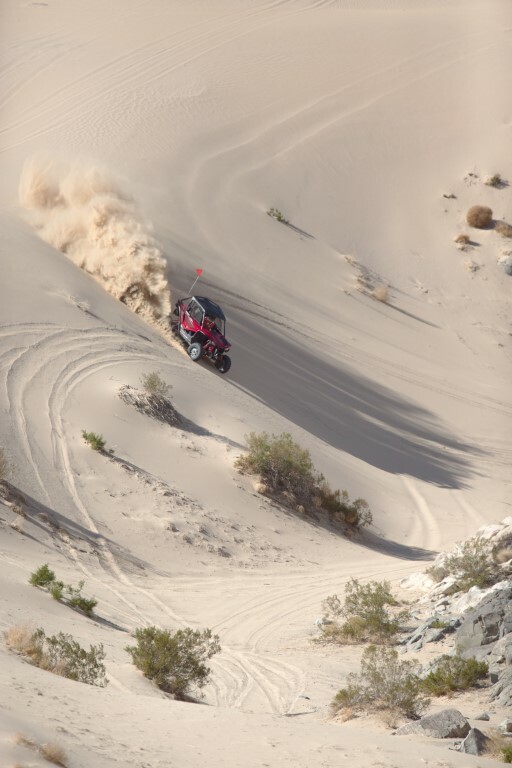 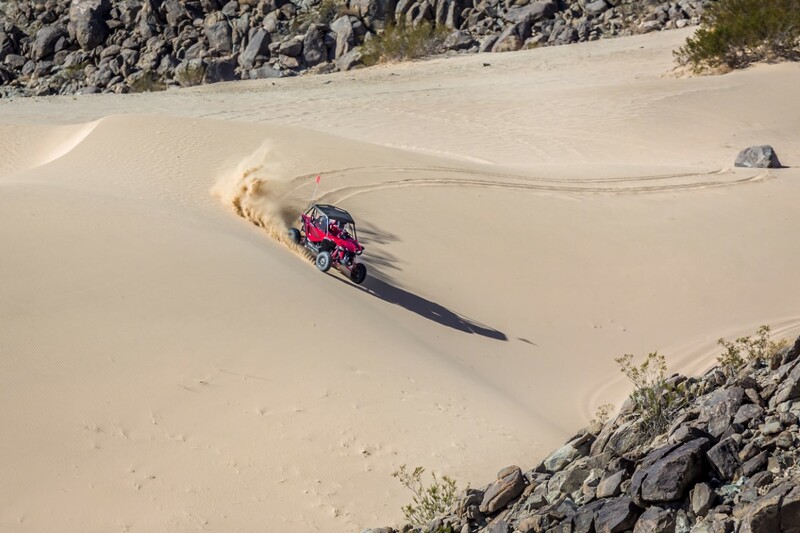 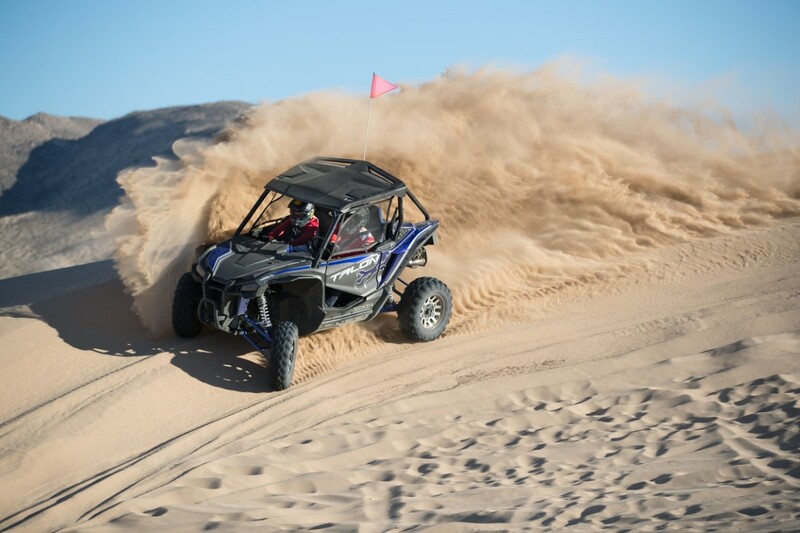 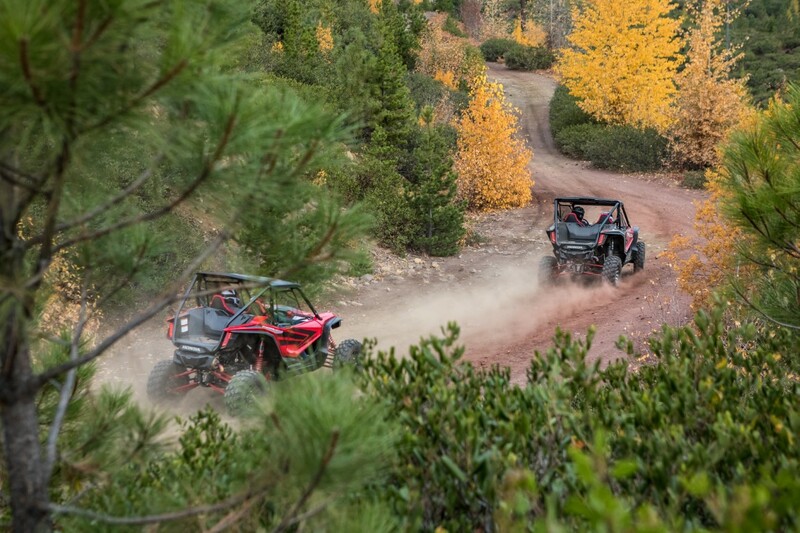 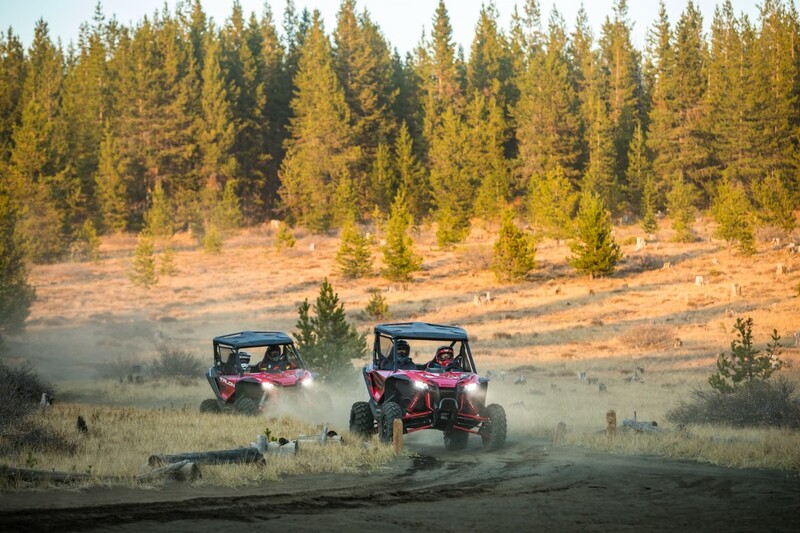 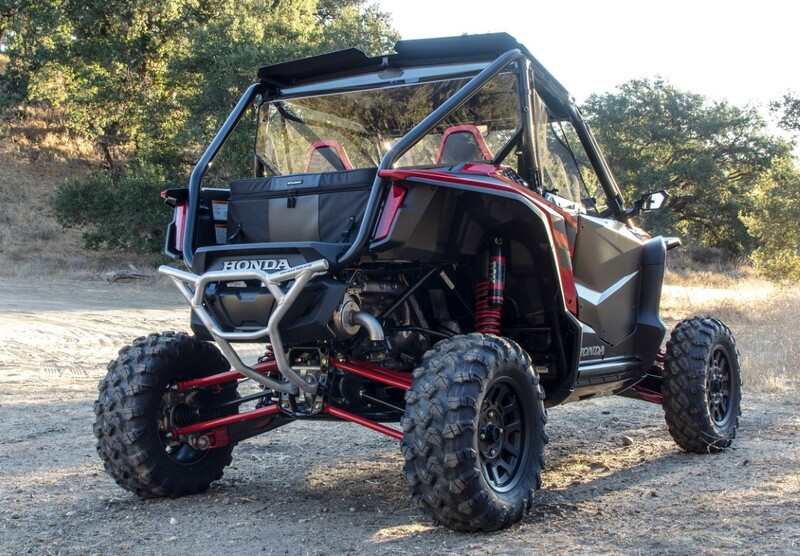 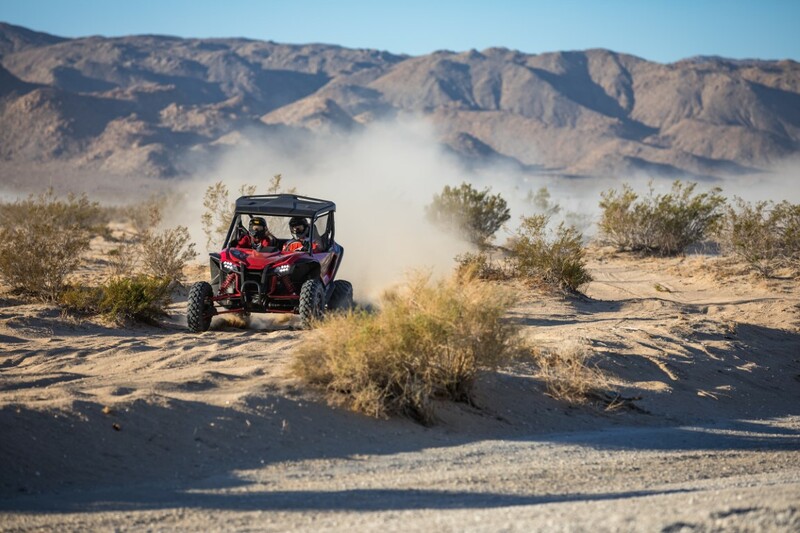 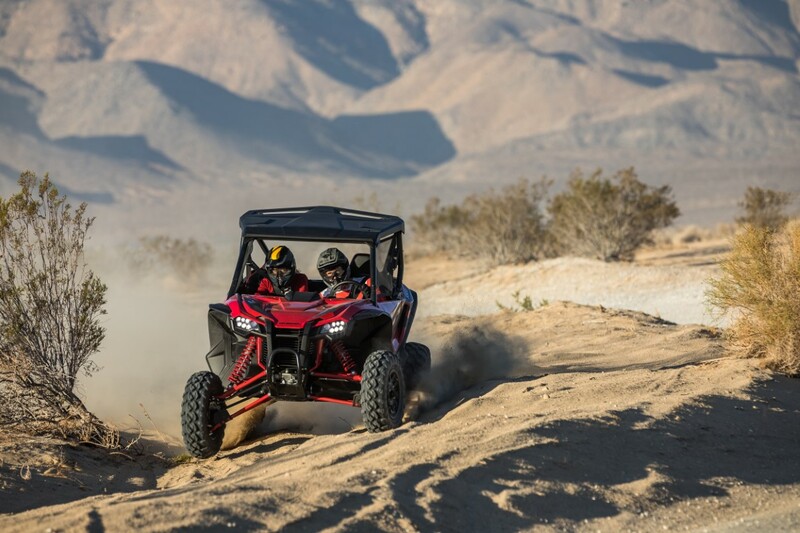 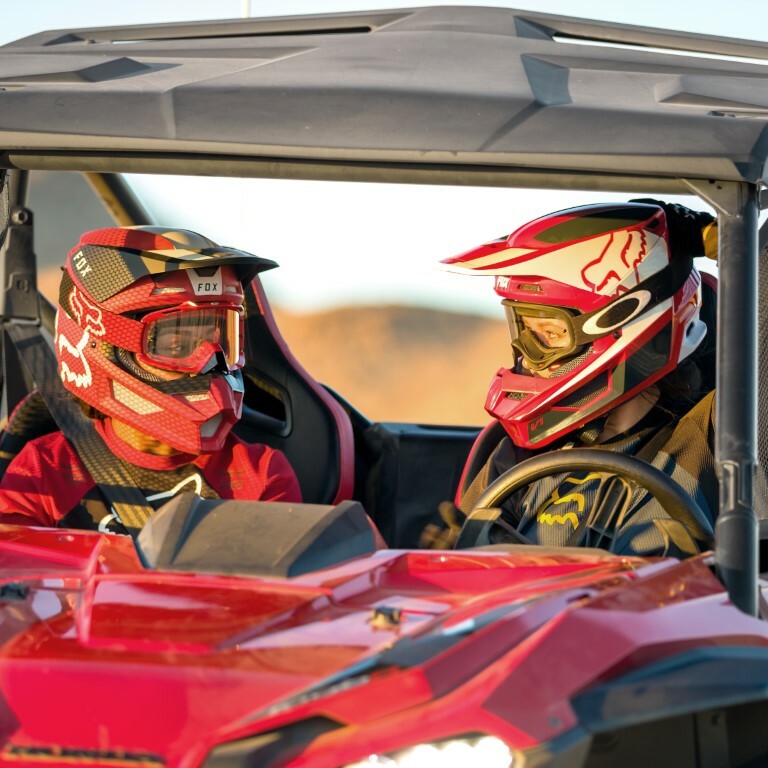 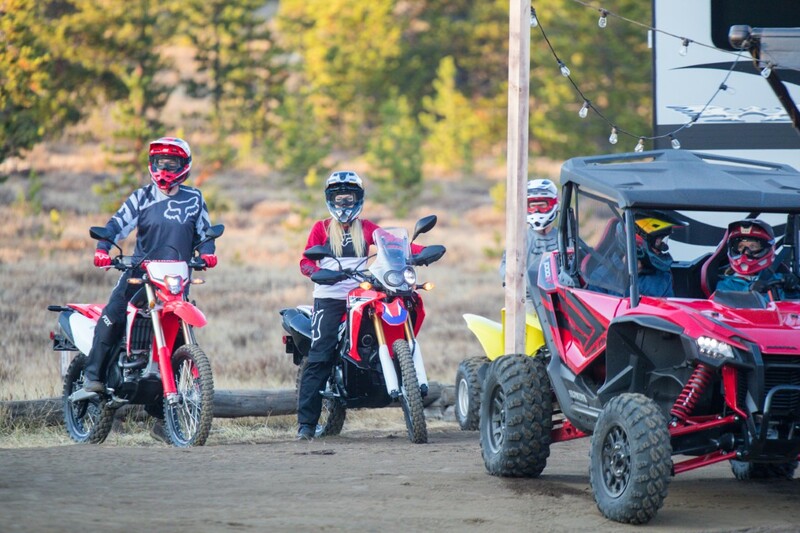 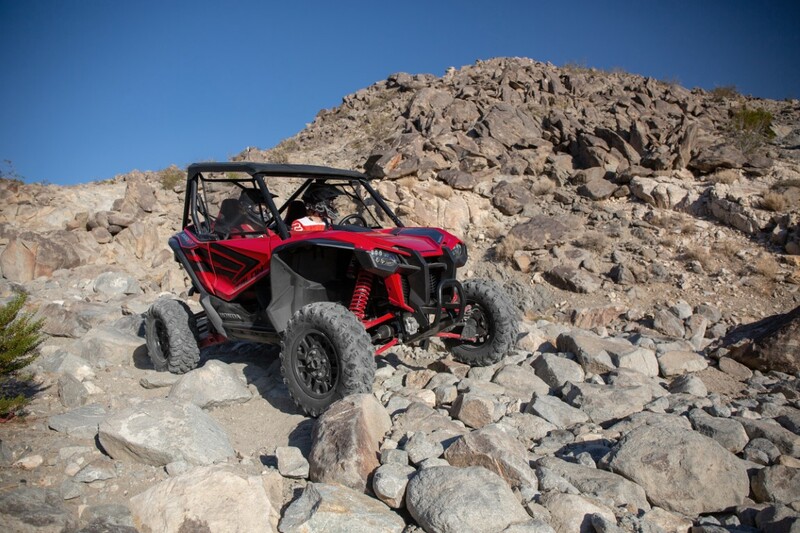 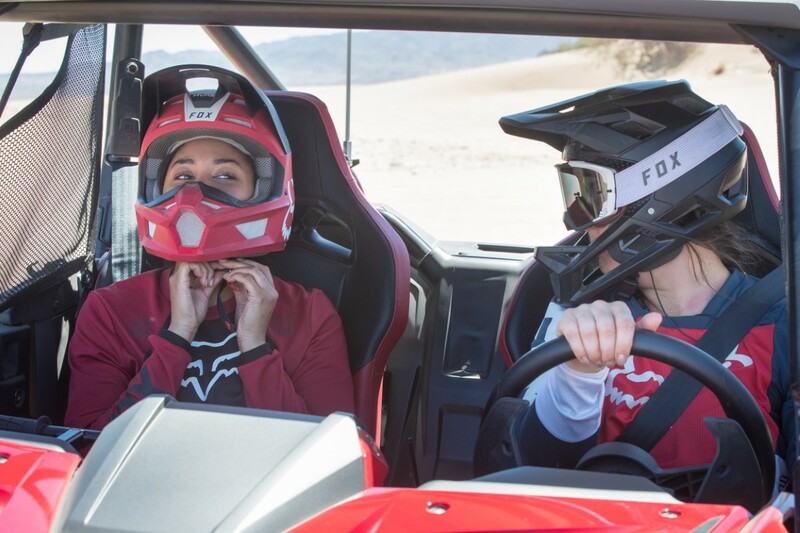 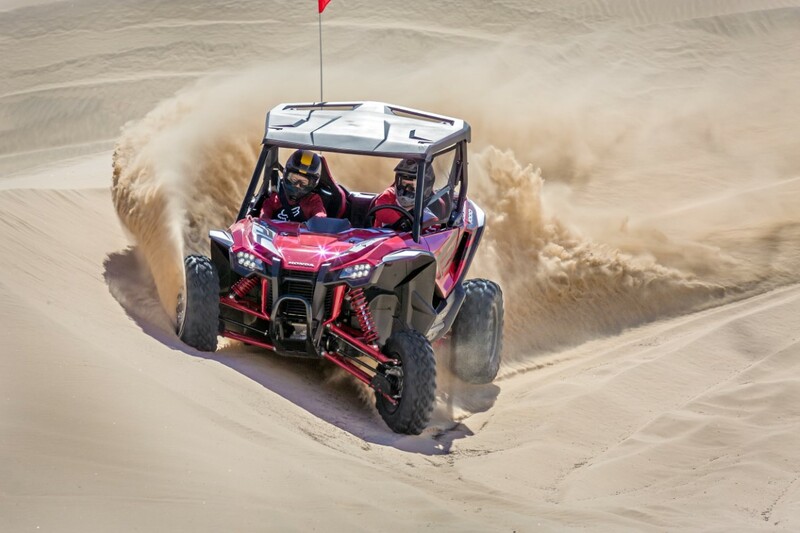 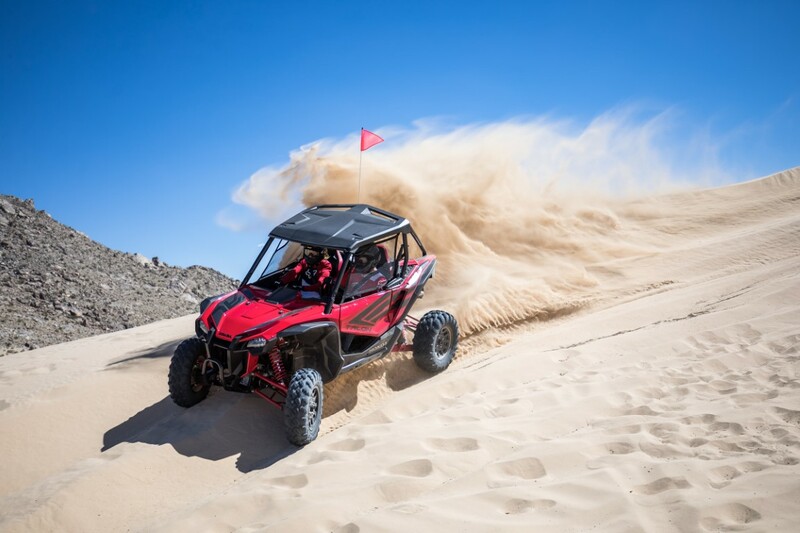 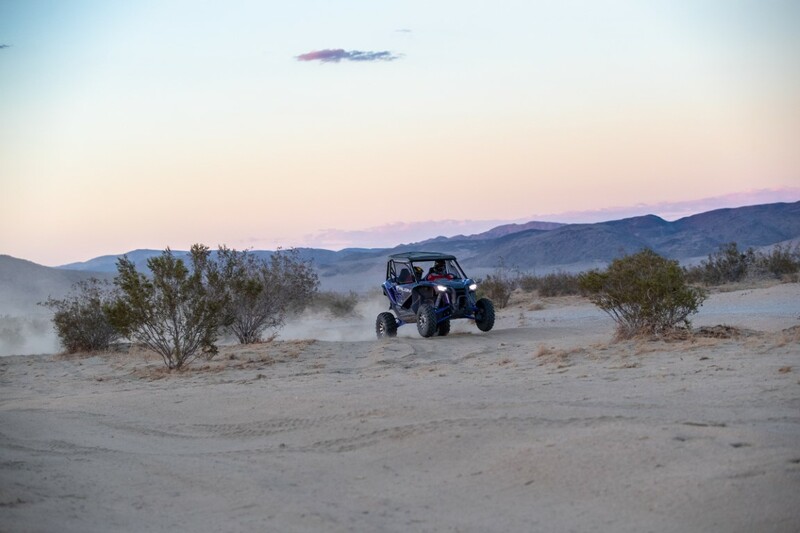 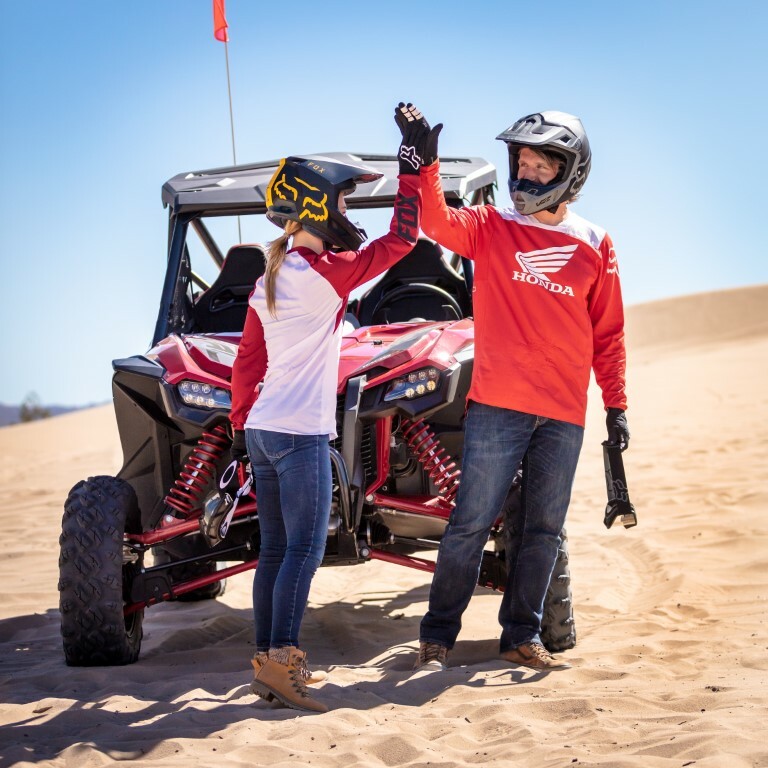 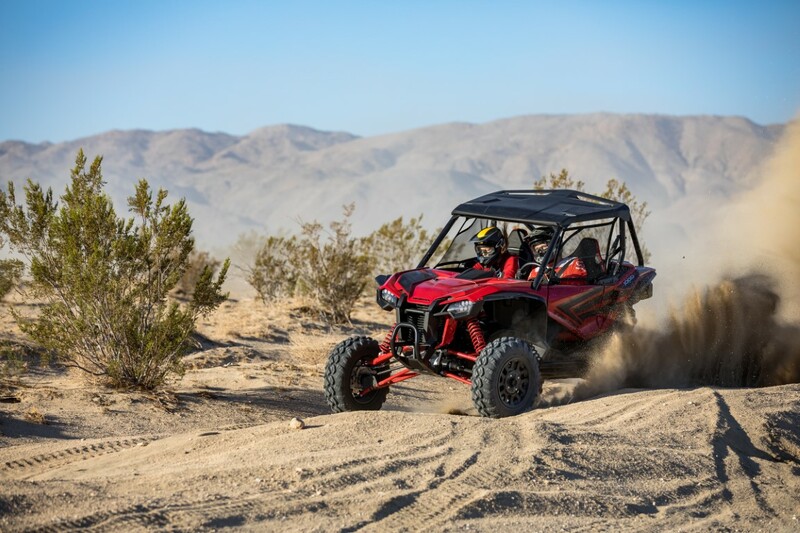 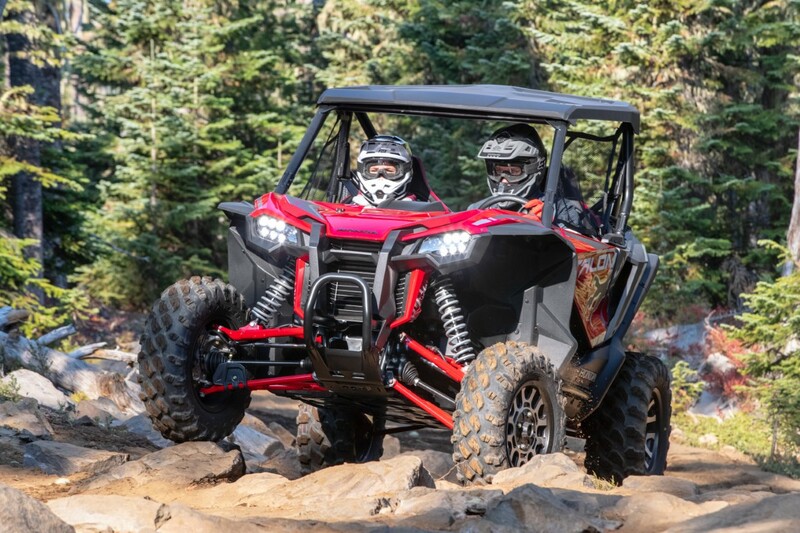 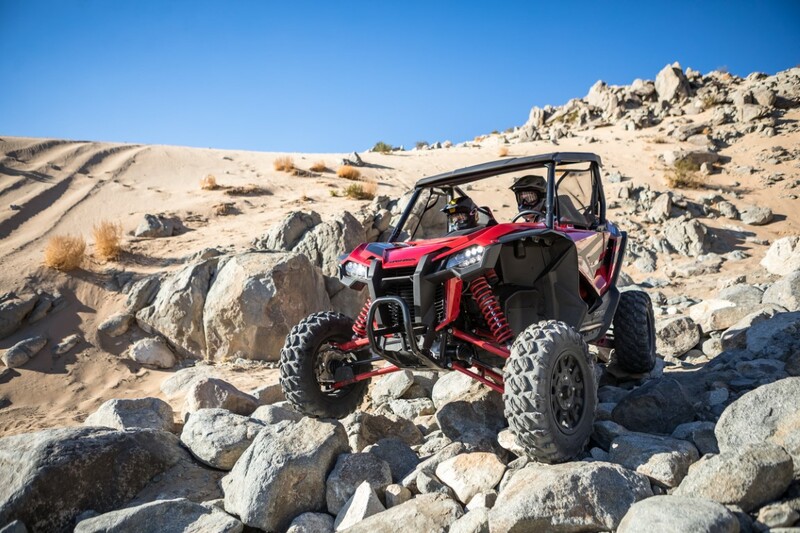 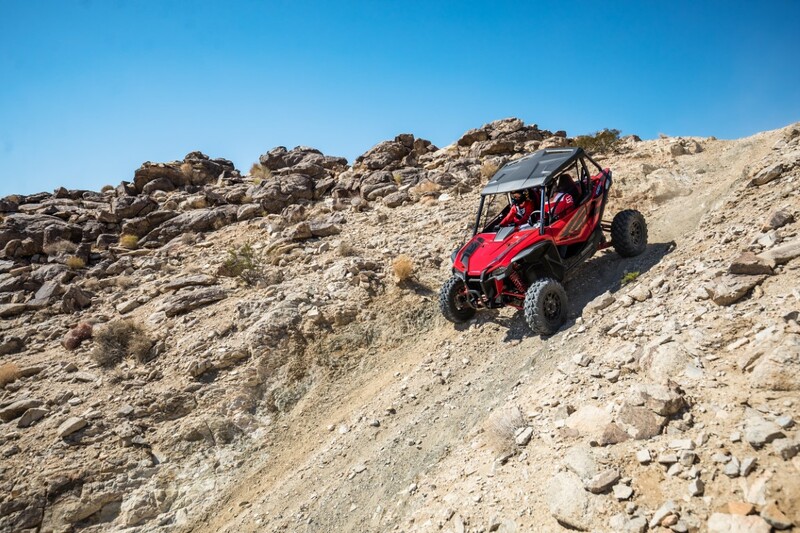 During a special event held in conjunction with Honda’s Automobile Division, and coinciding with the L.A. Auto Show, American Honda today confirmed its entry in the sport side-by-side segment, unveiling the all-new Talon 1000X and Talon 1000R models. 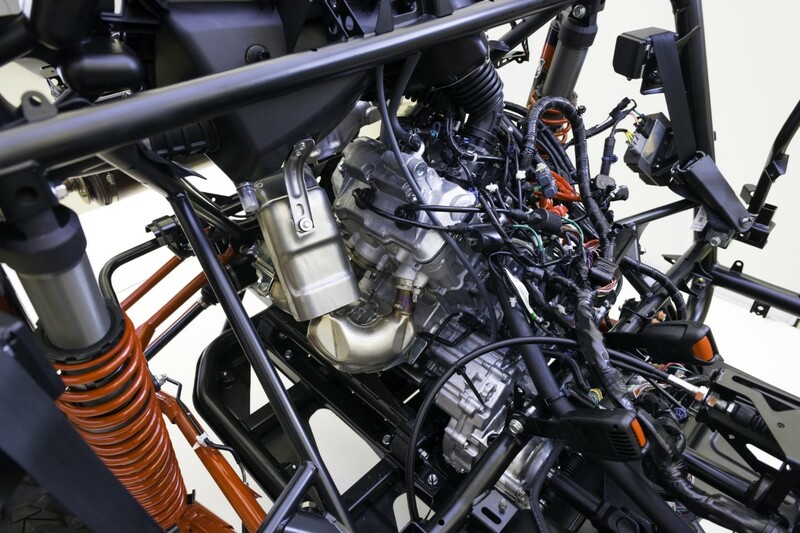 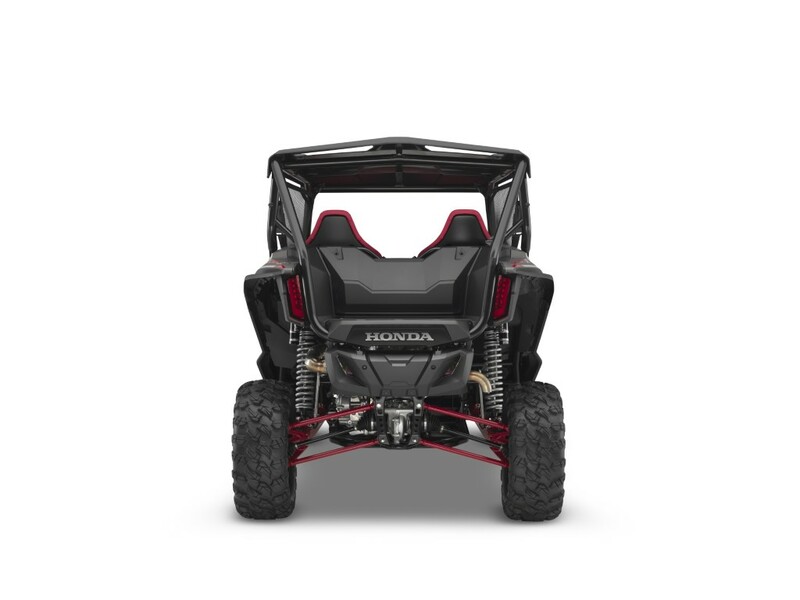 For decades, Honda has set the standard for high-performance dirt bikes with its CR and CRF lineups, and more recently the Pioneer family has introduced unmatched capability to the multipurpose side-by-side category. 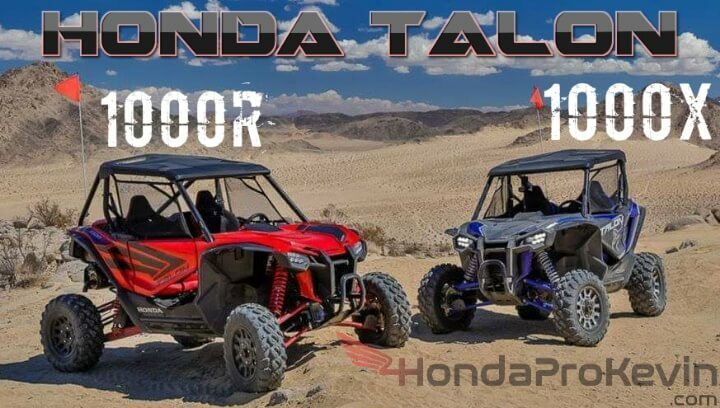 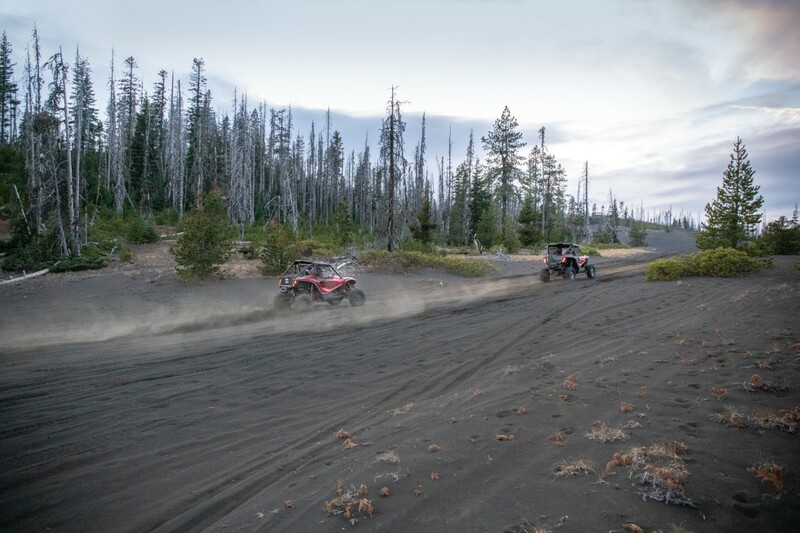 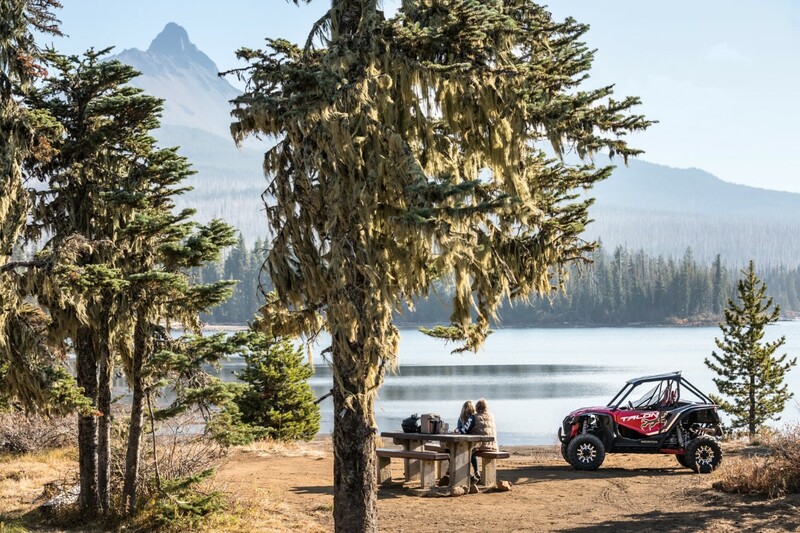 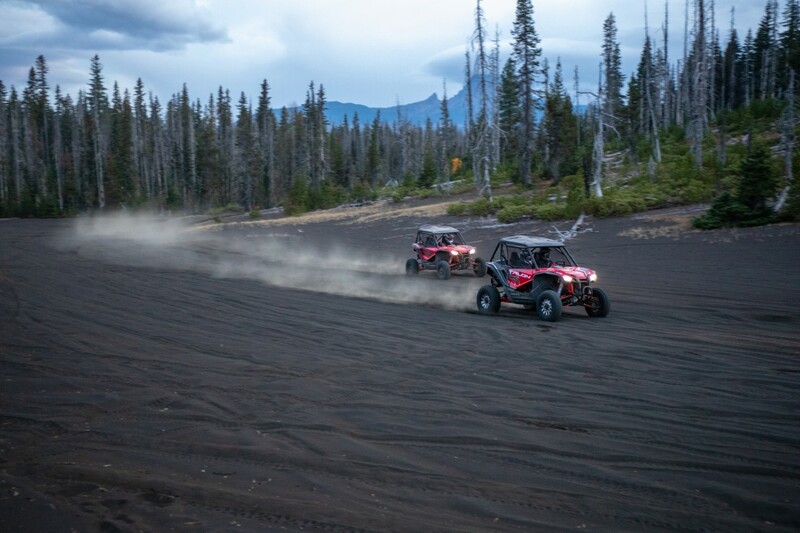 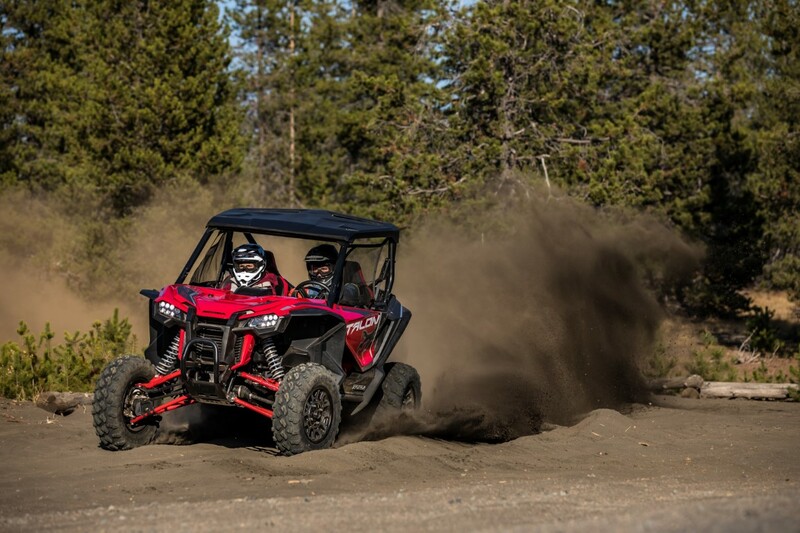 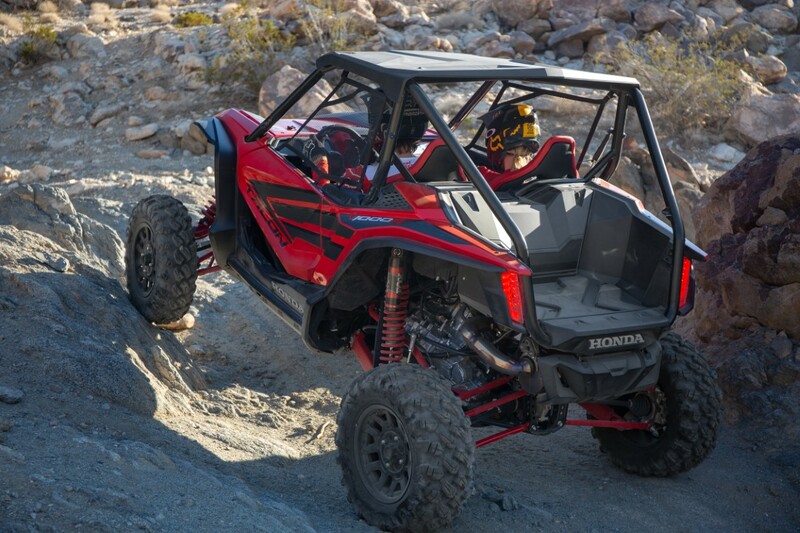 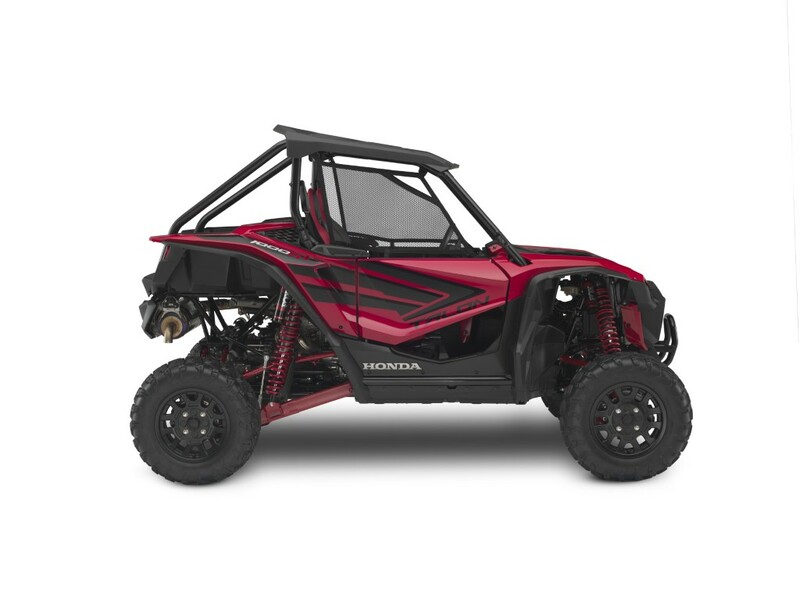 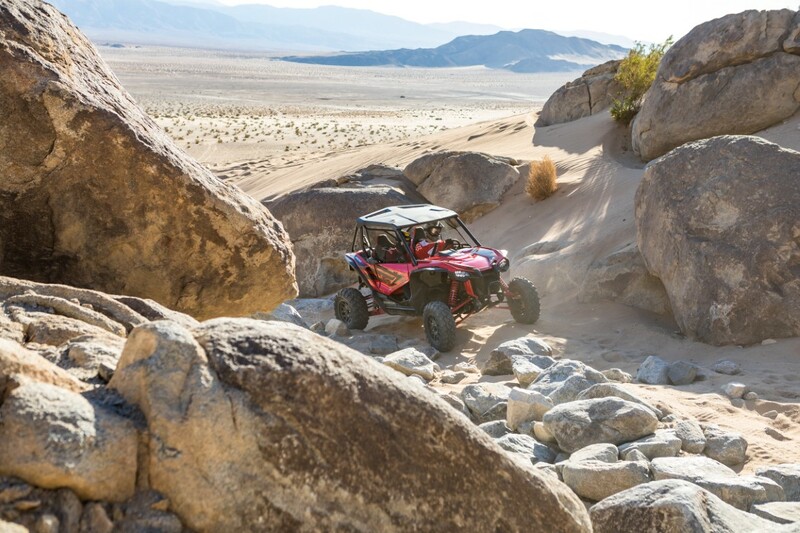 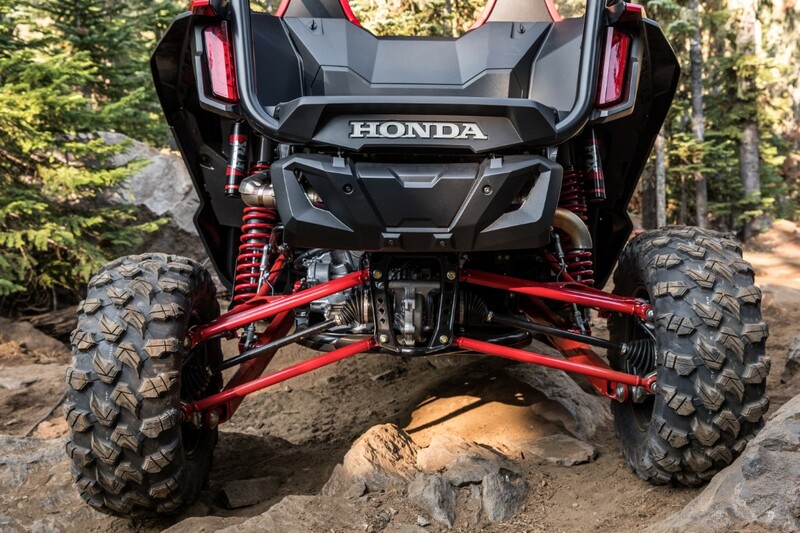 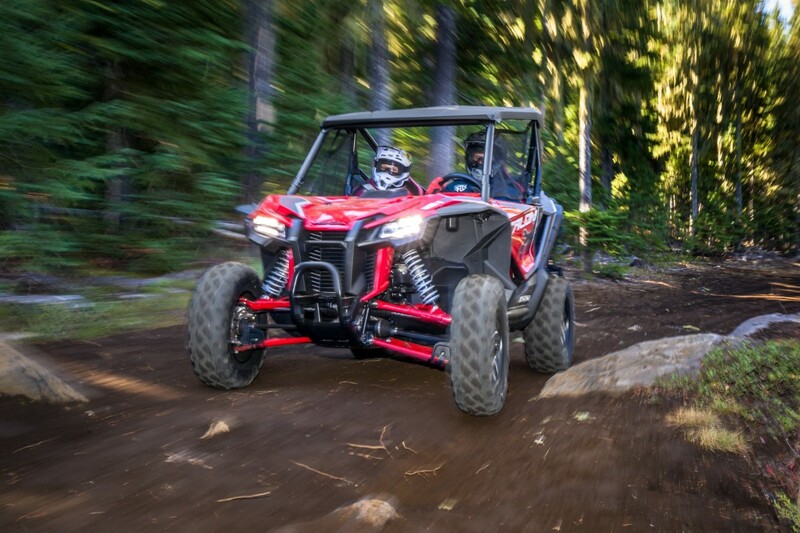 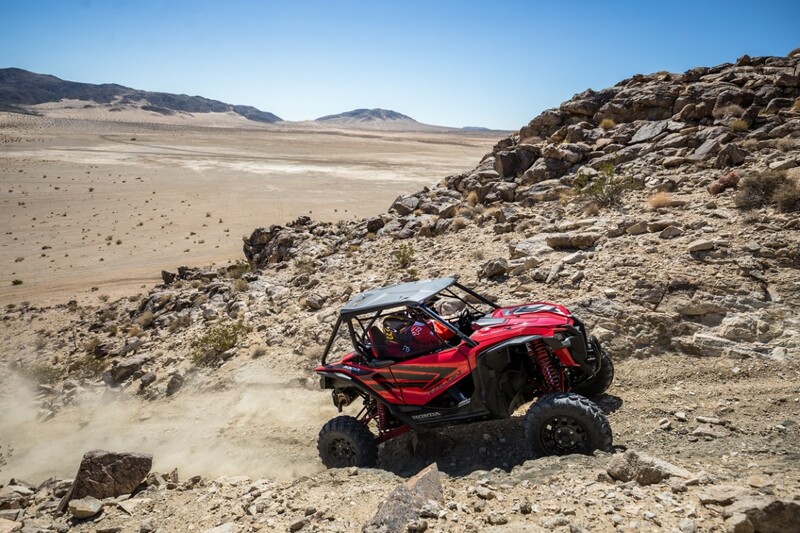 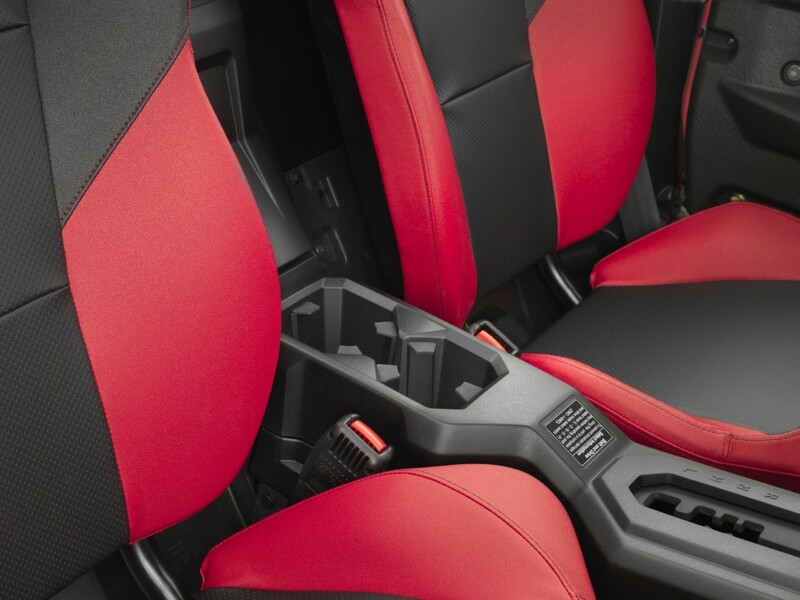 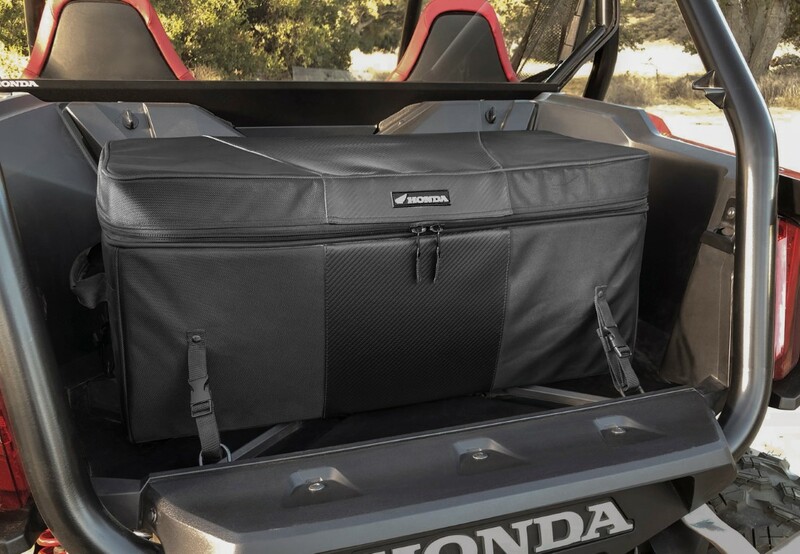 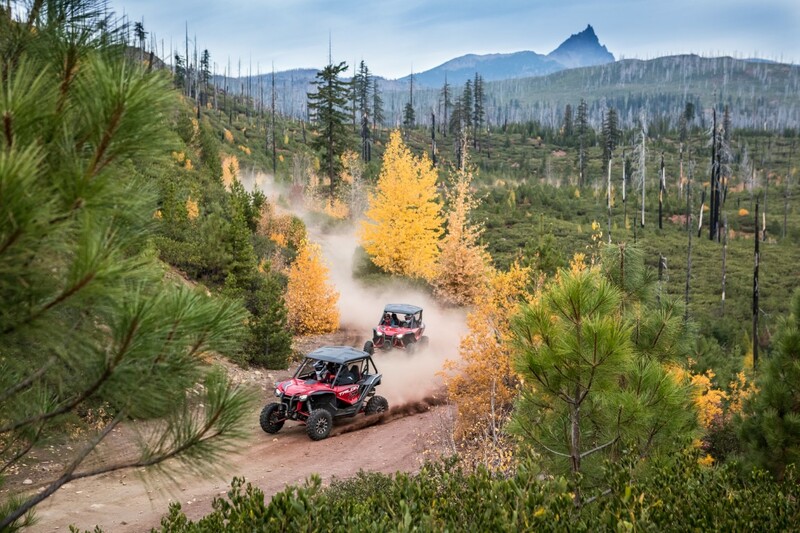 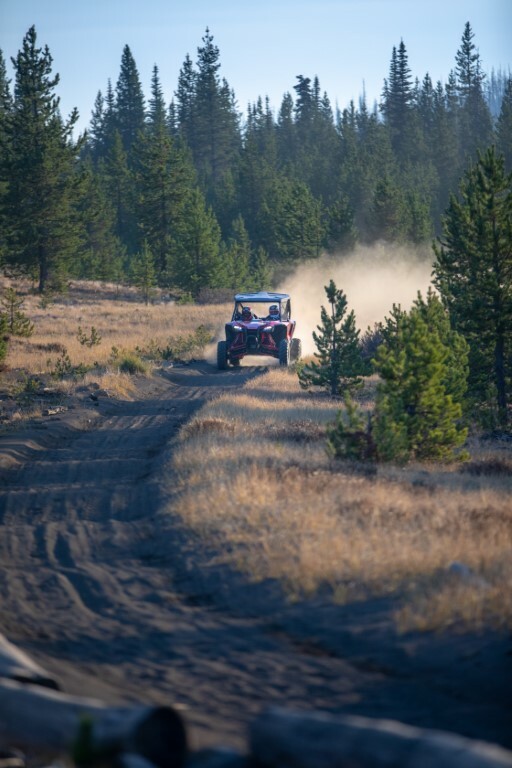 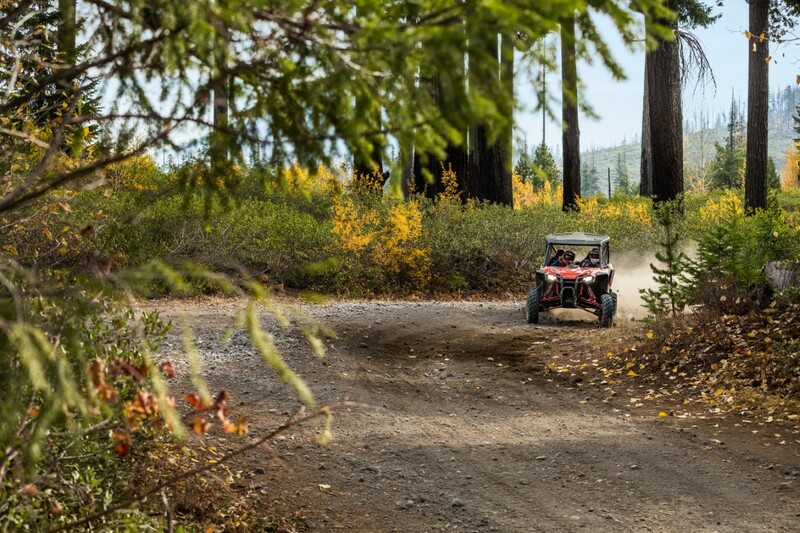 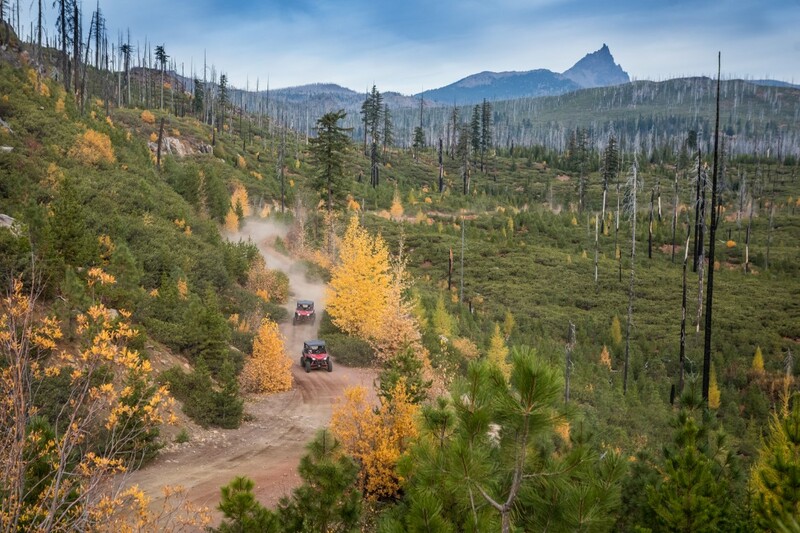 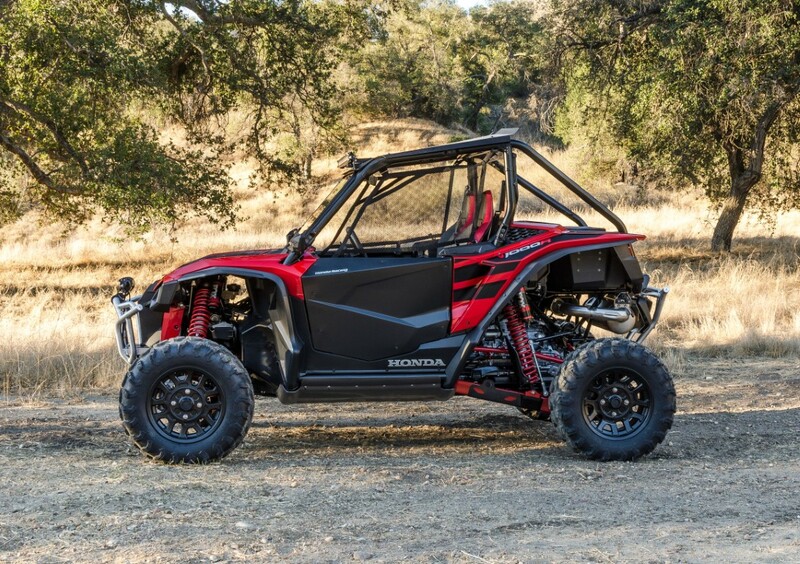 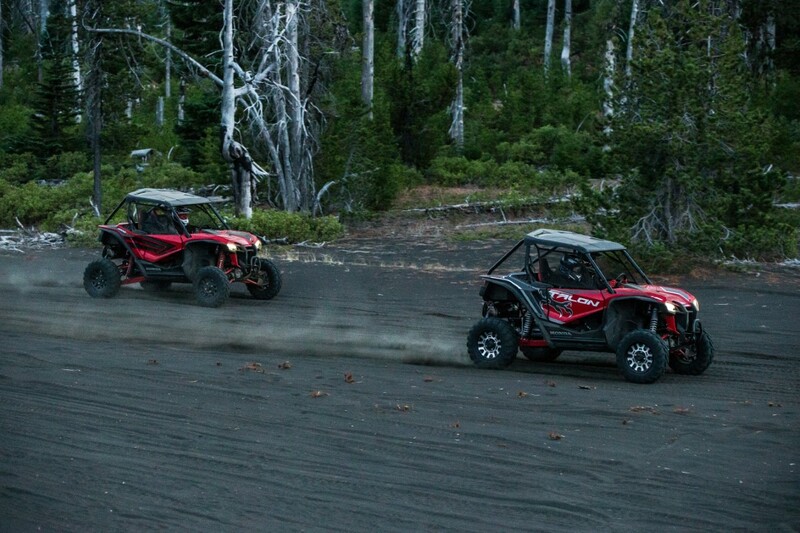 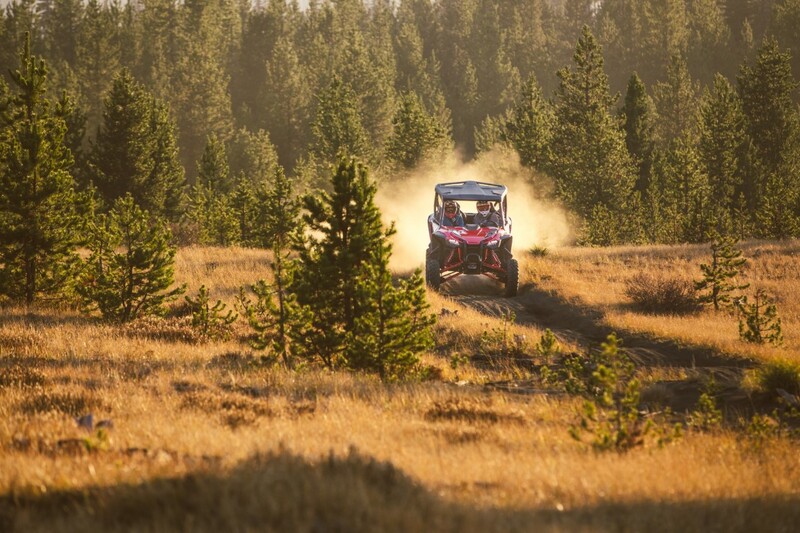 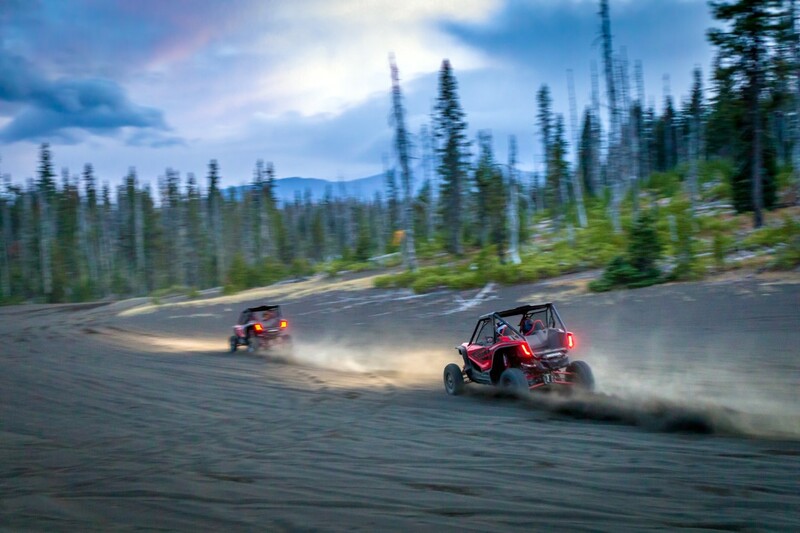 Now, Honda’s highly anticipated Talon models marry the two worlds, bringing a new level of off-road excitement, precision, performance and quality to sport side-by-side driving. 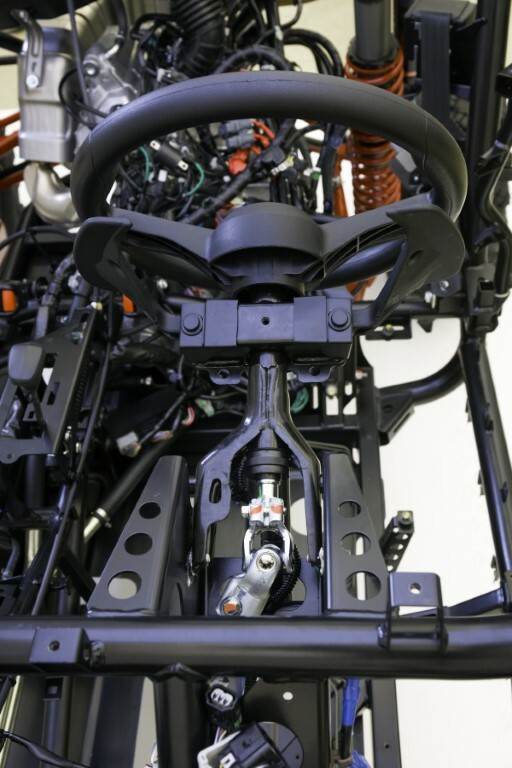 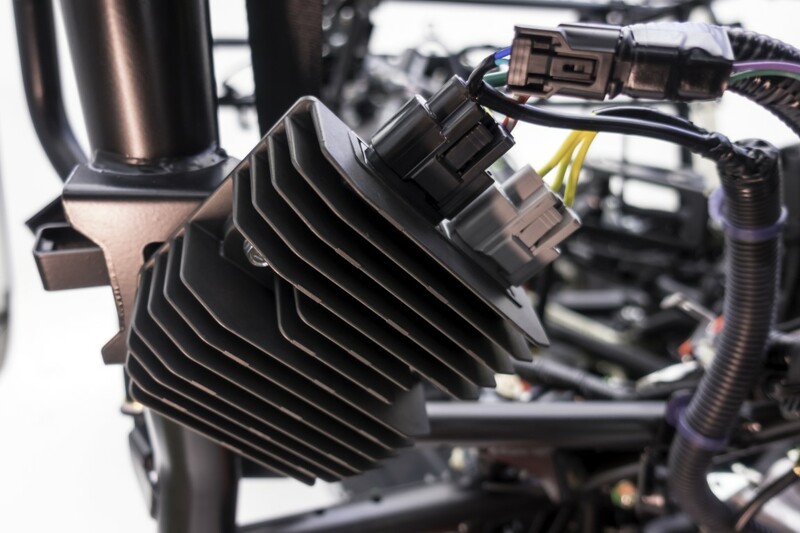 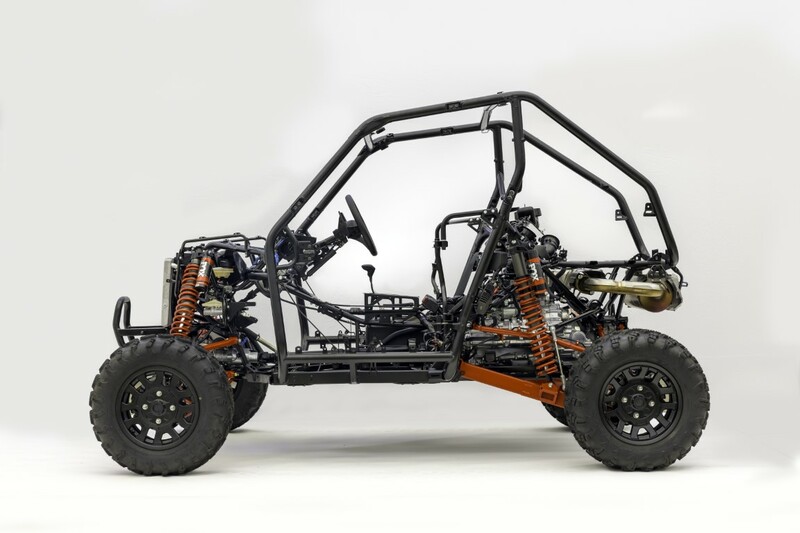 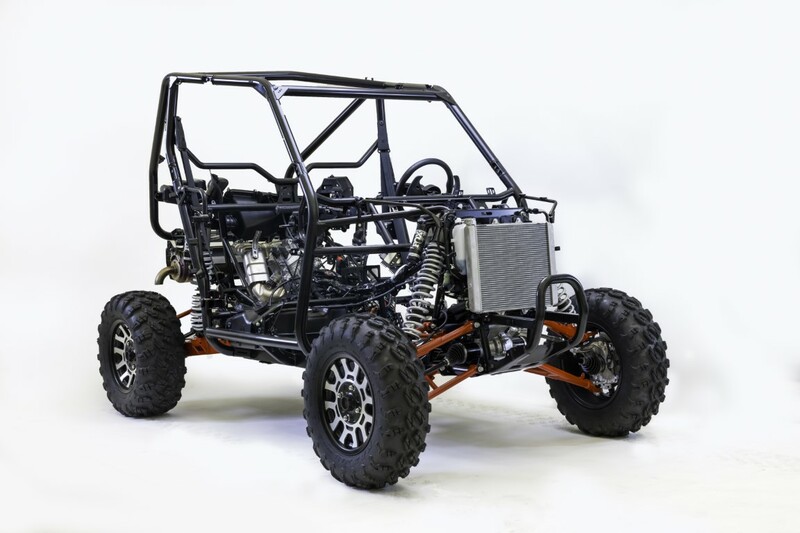 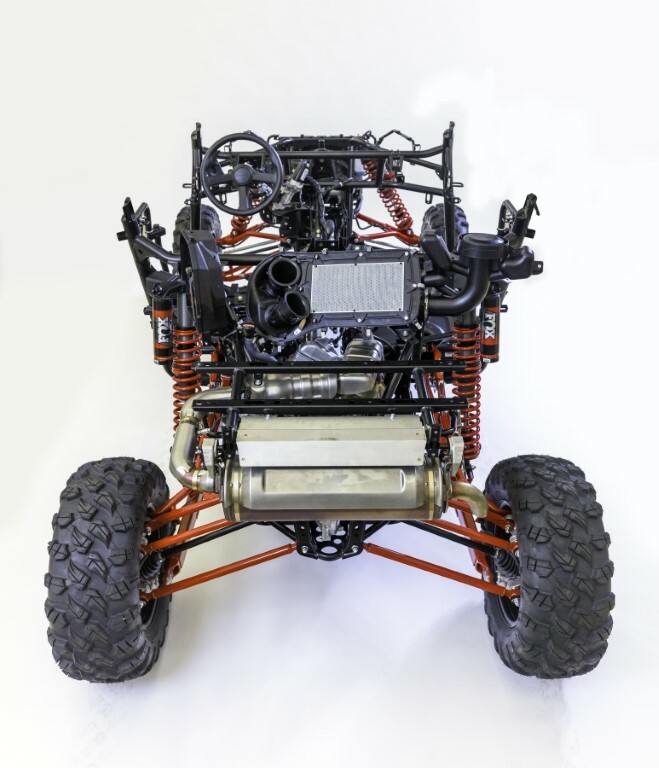 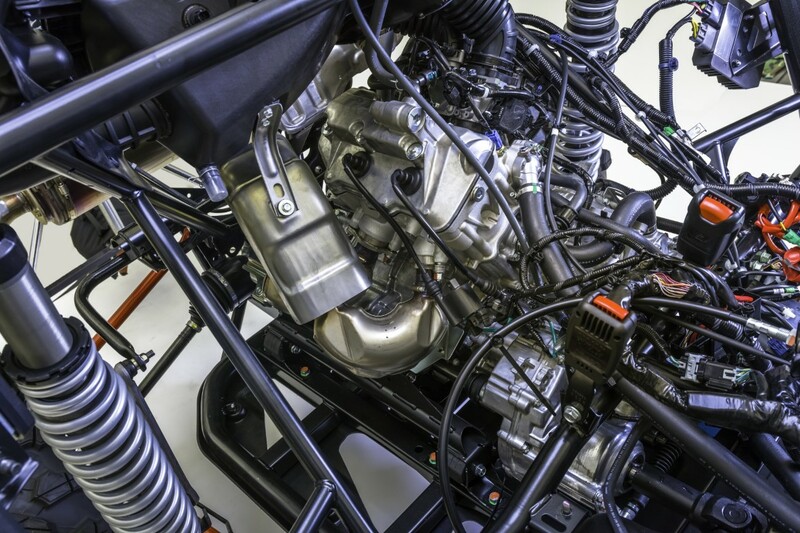 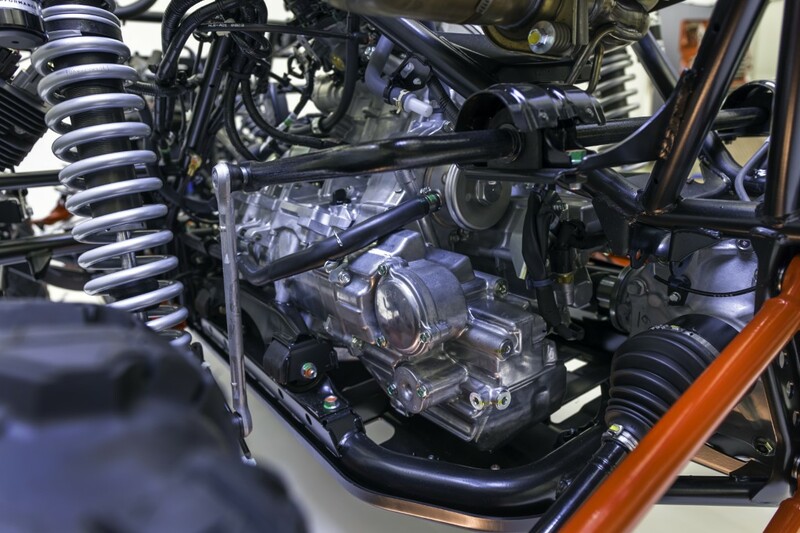 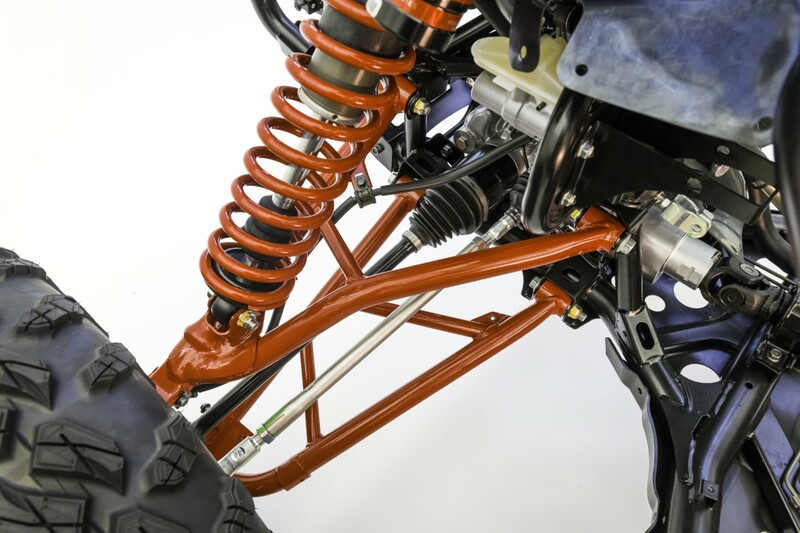 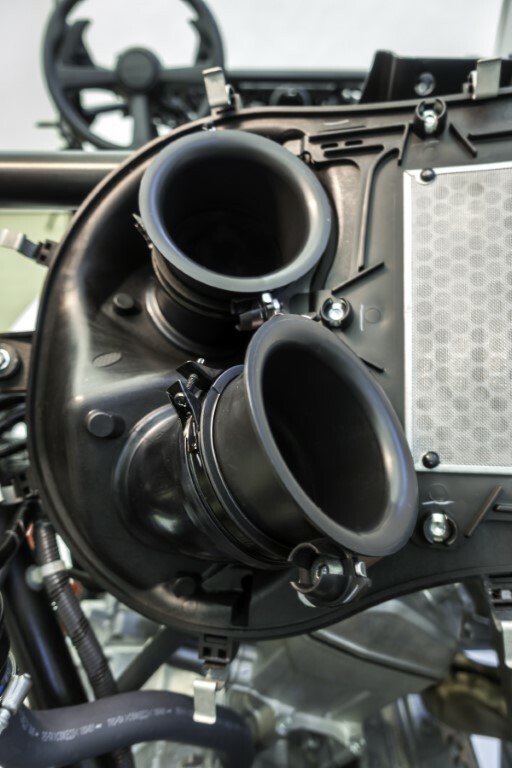 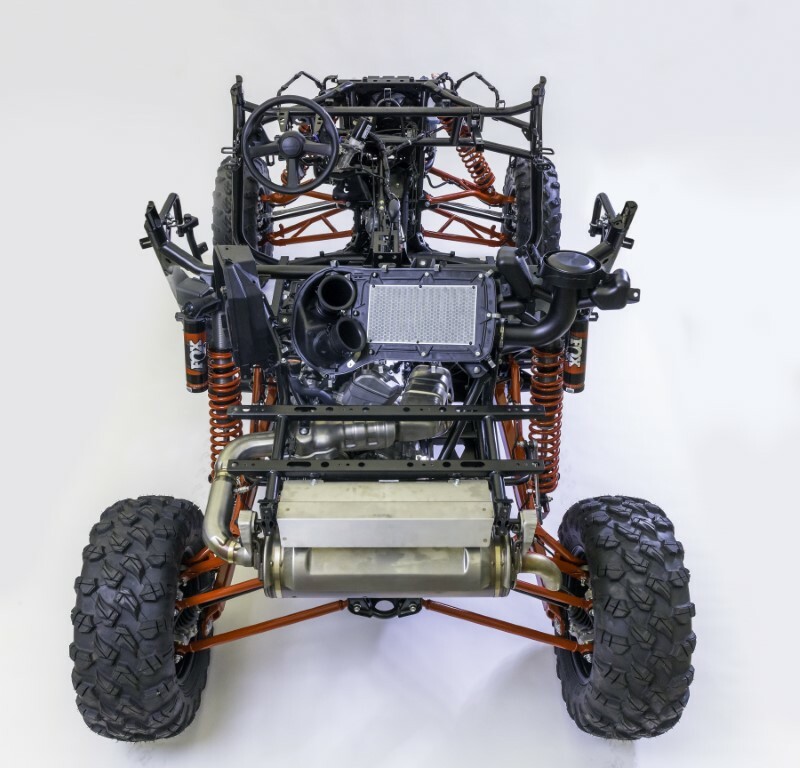 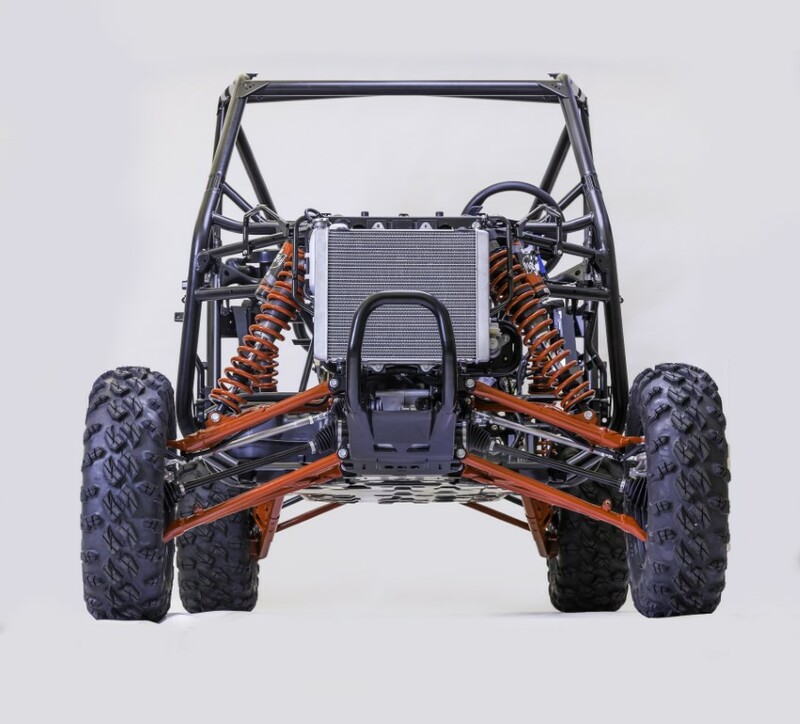 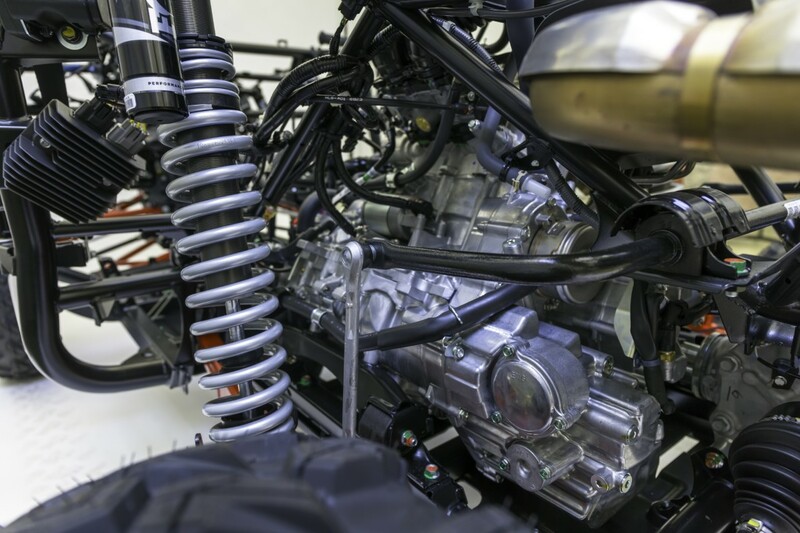 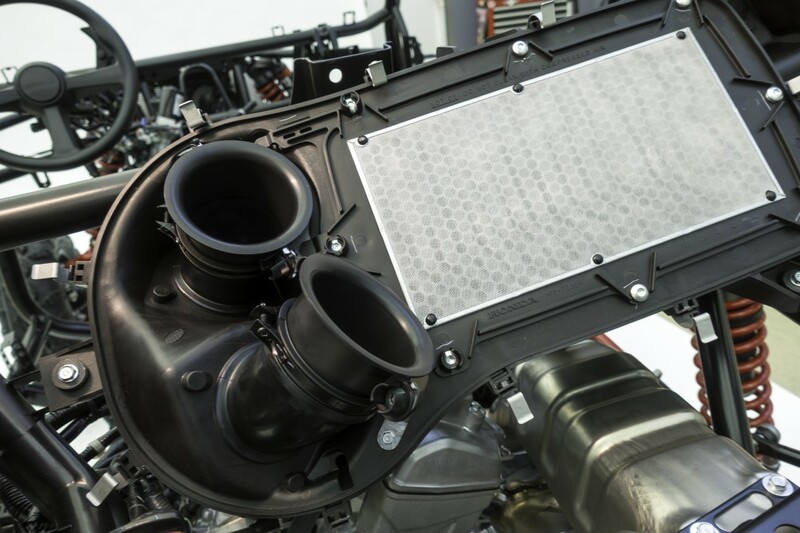 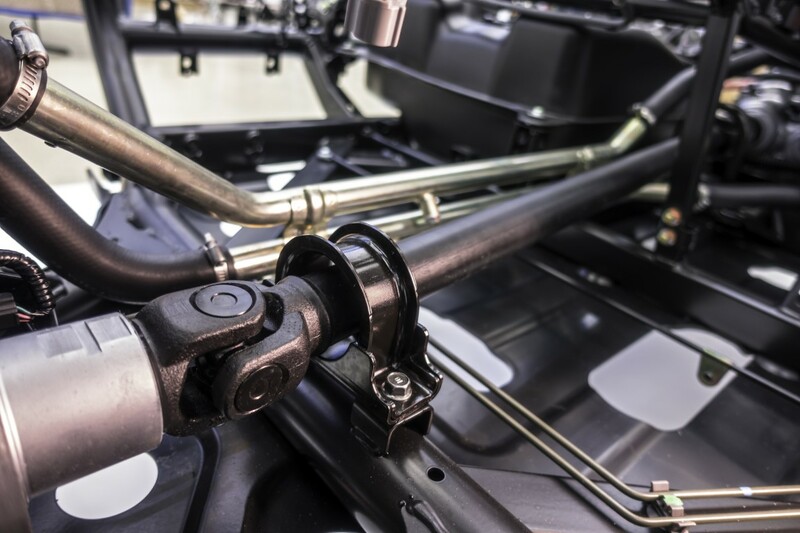 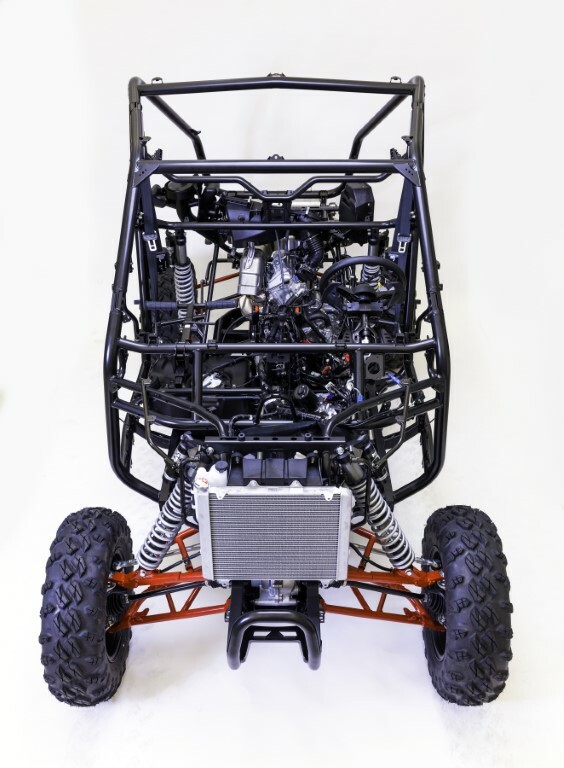 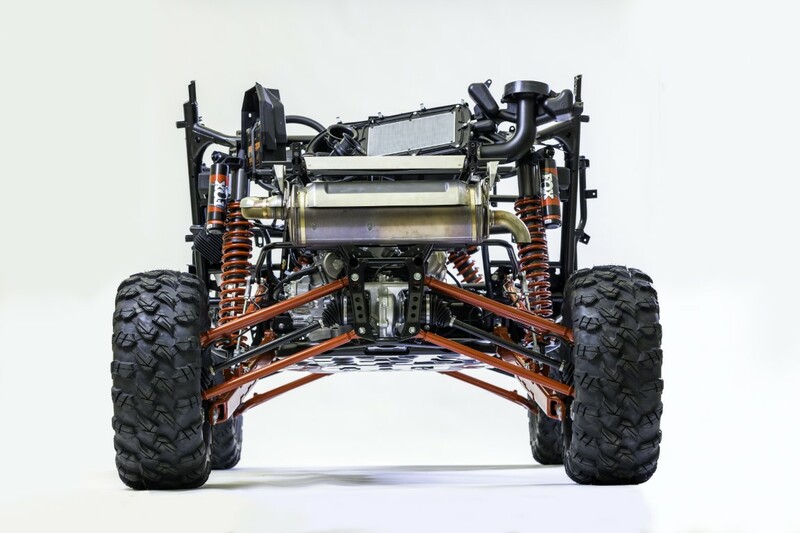 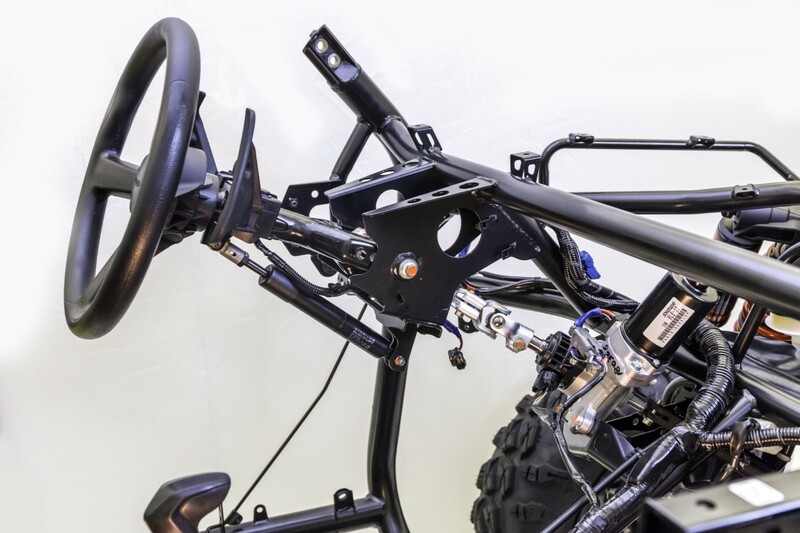 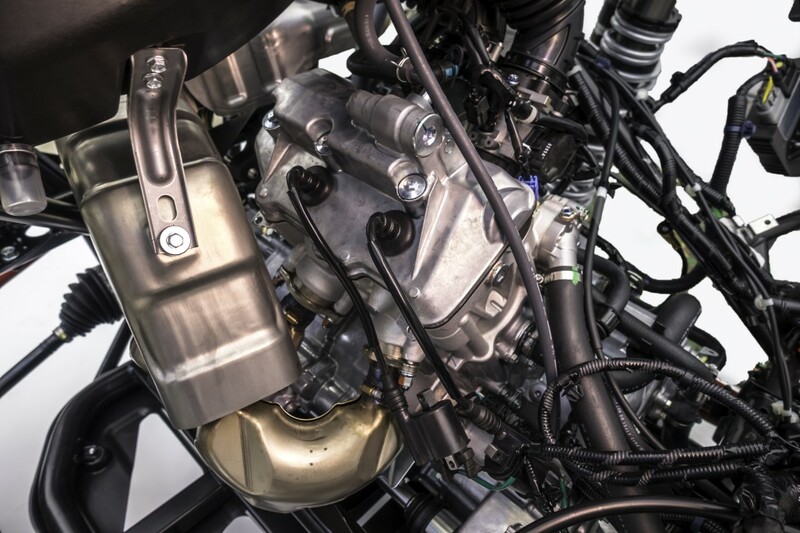 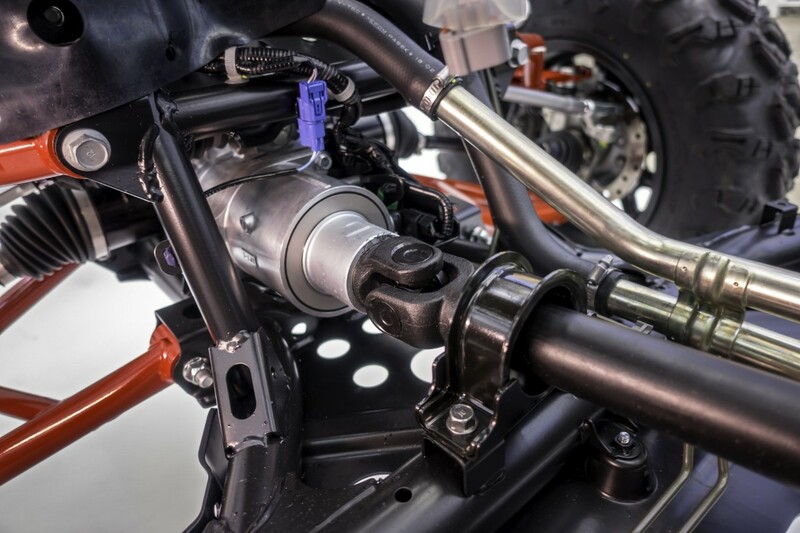 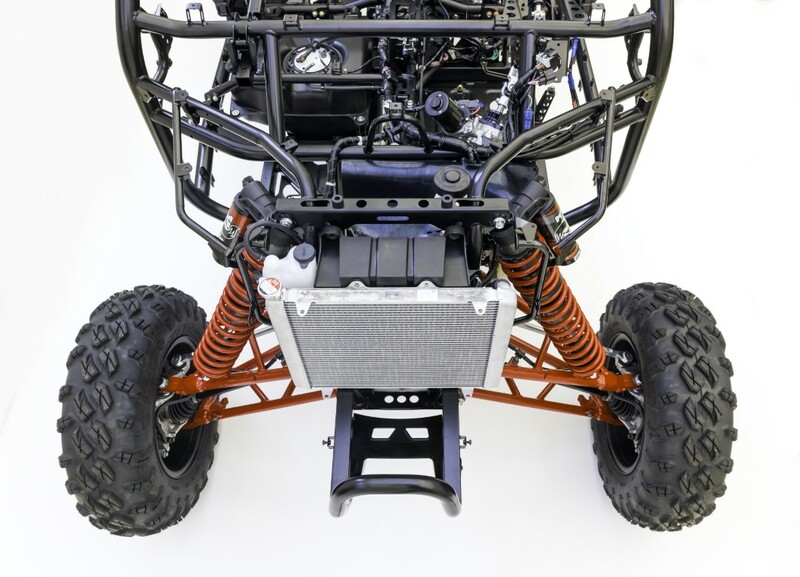 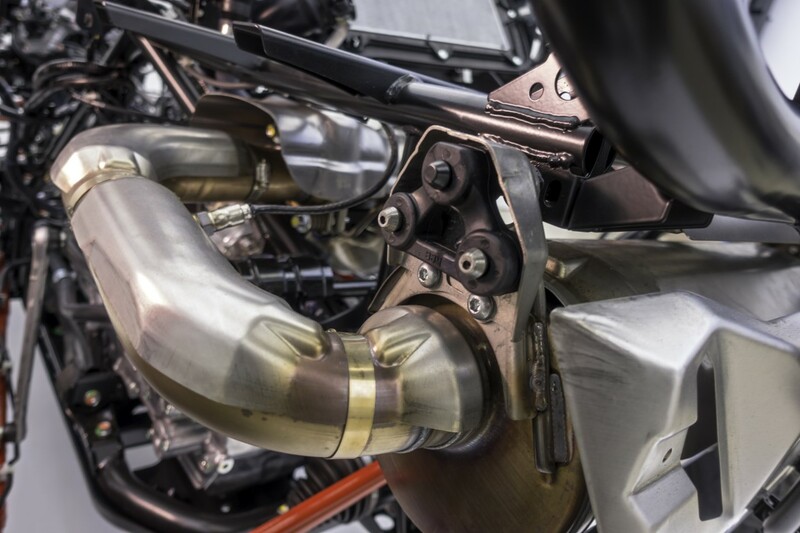 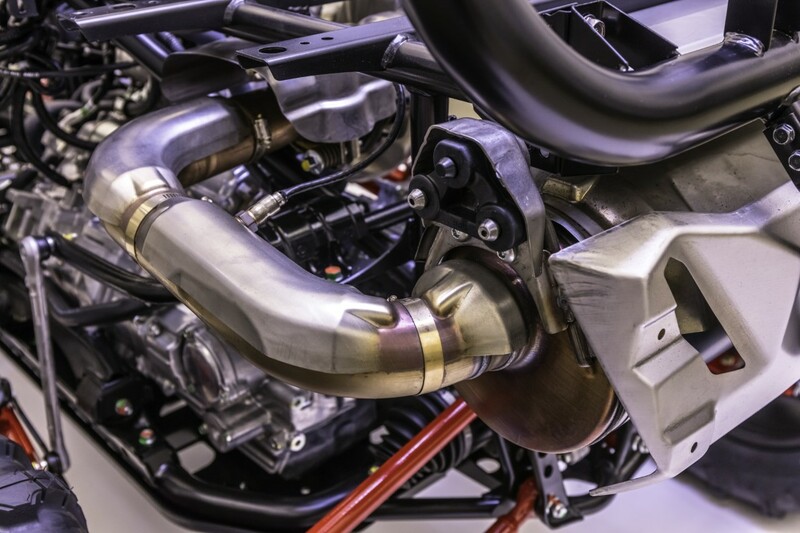 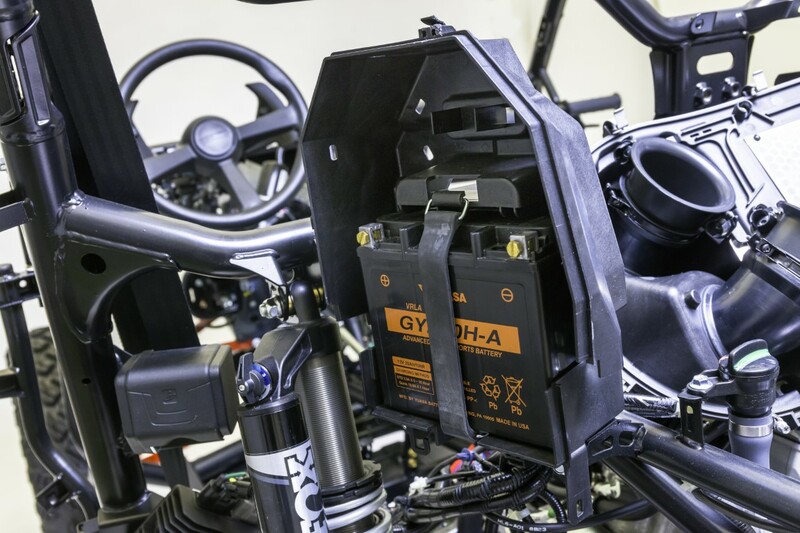 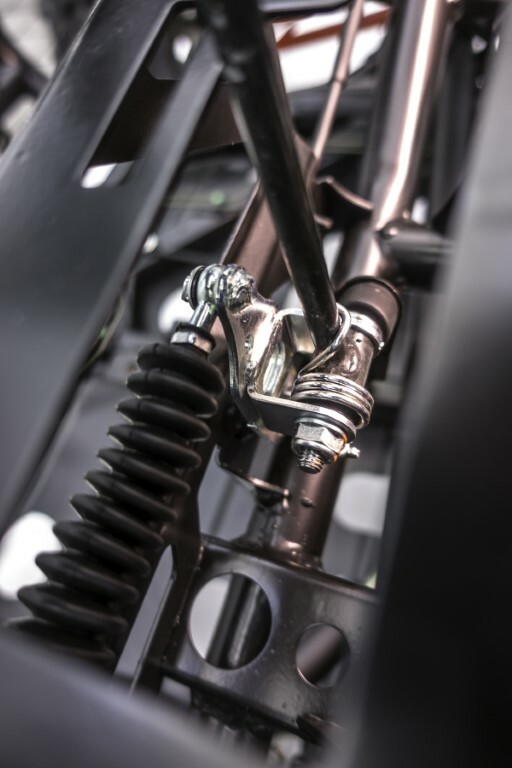 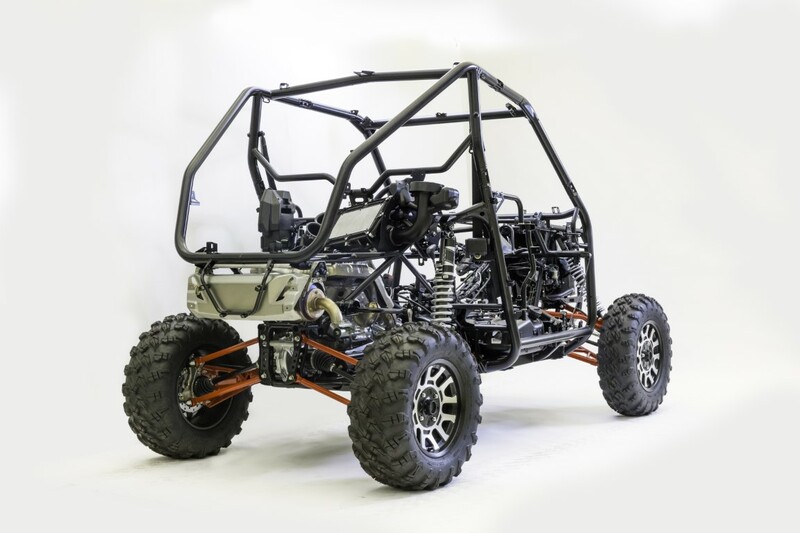 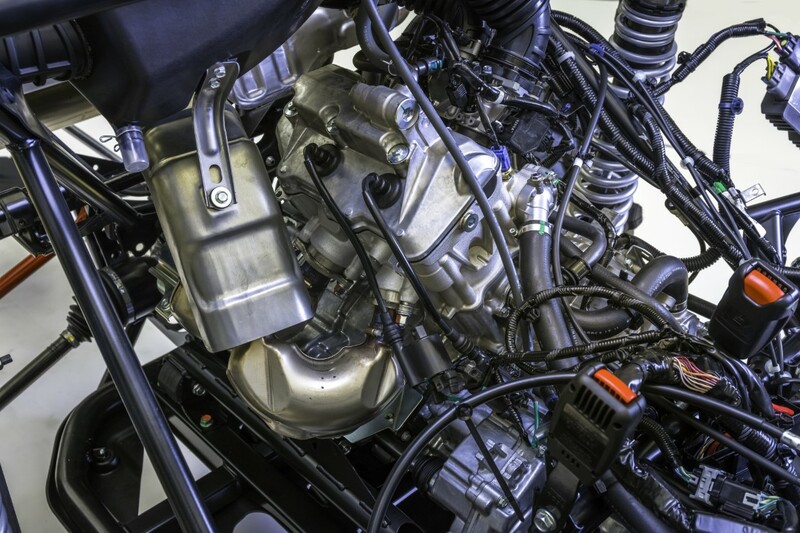 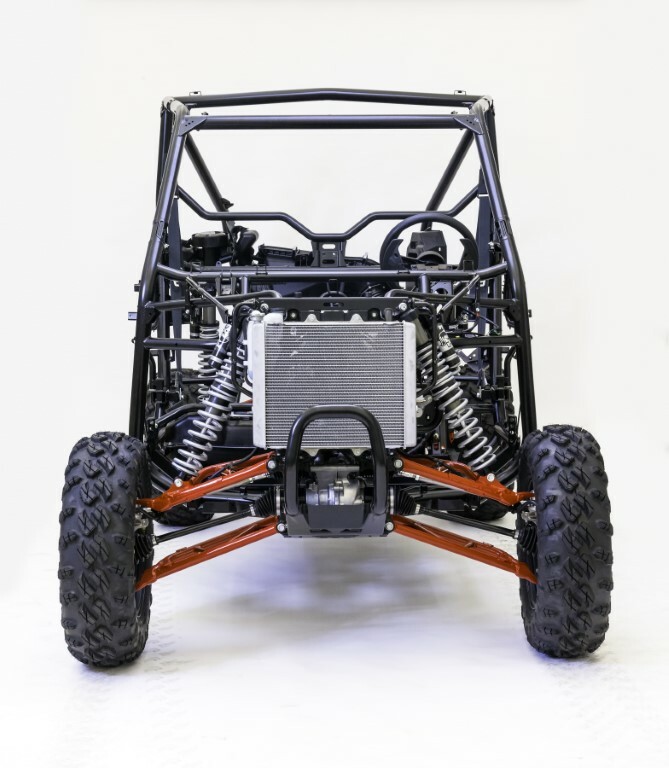 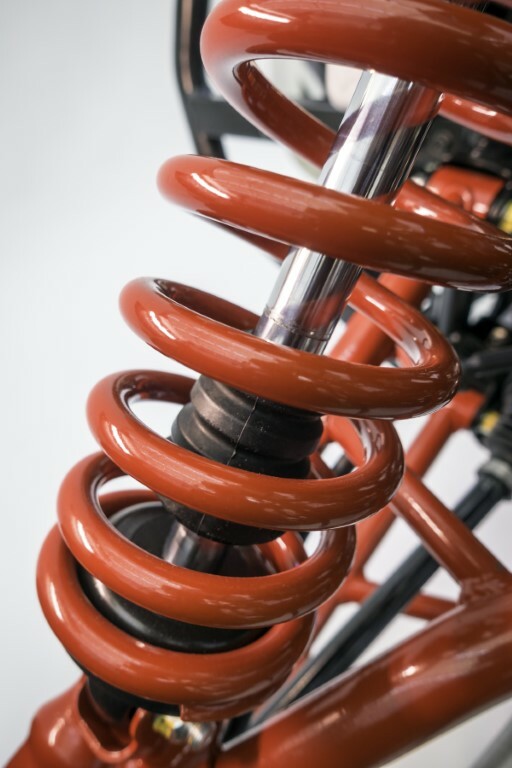 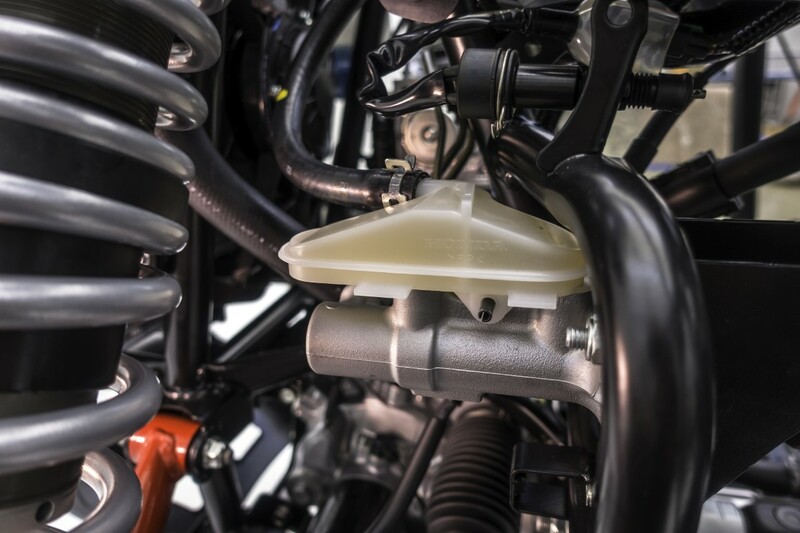 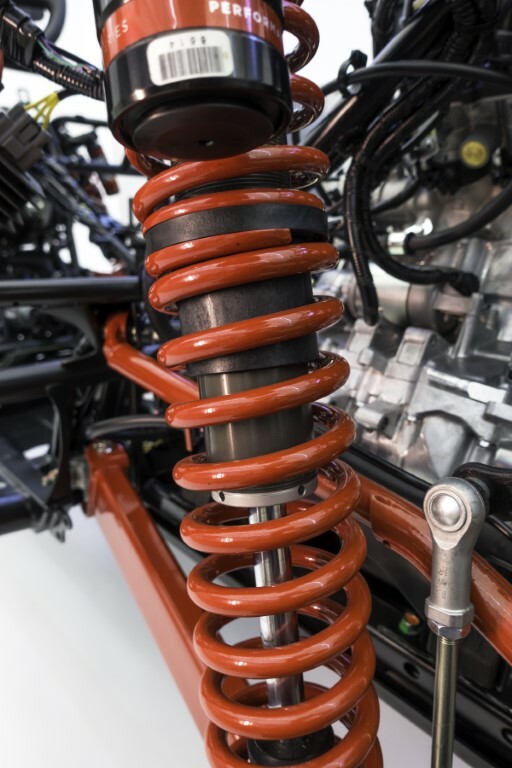 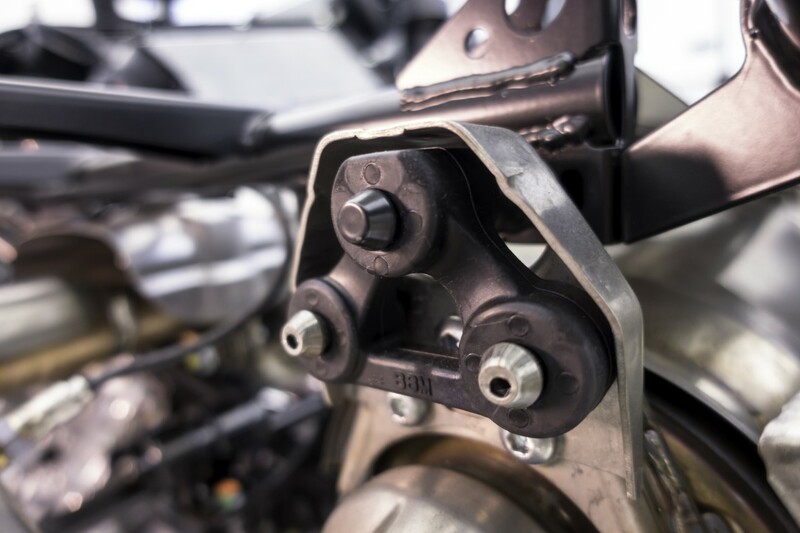 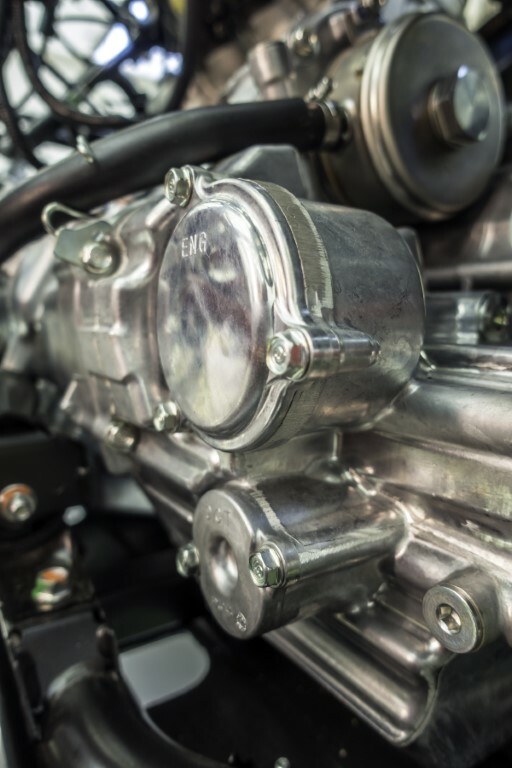 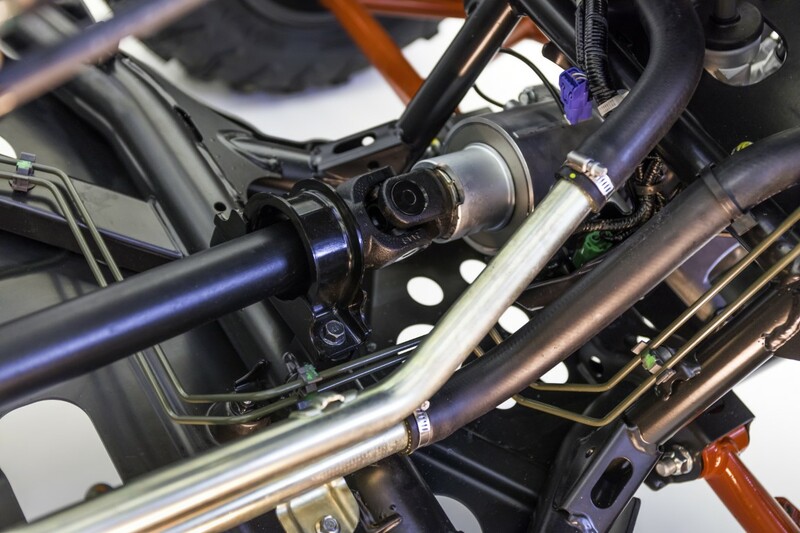 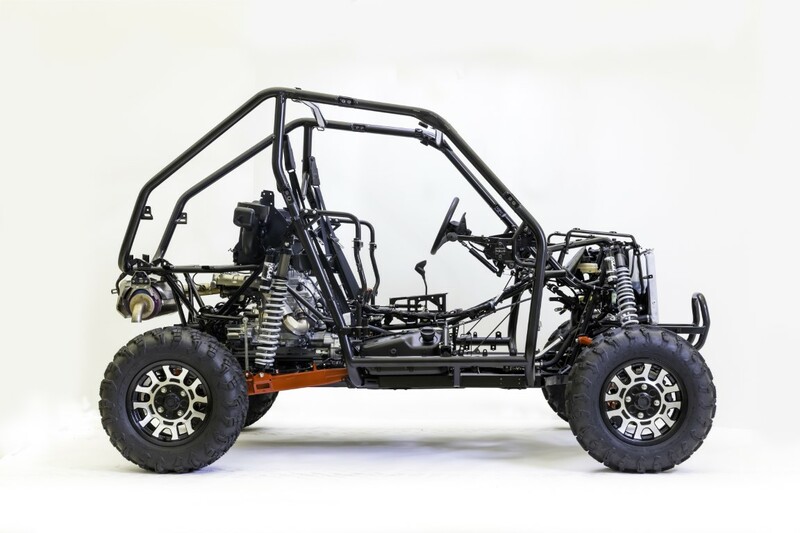 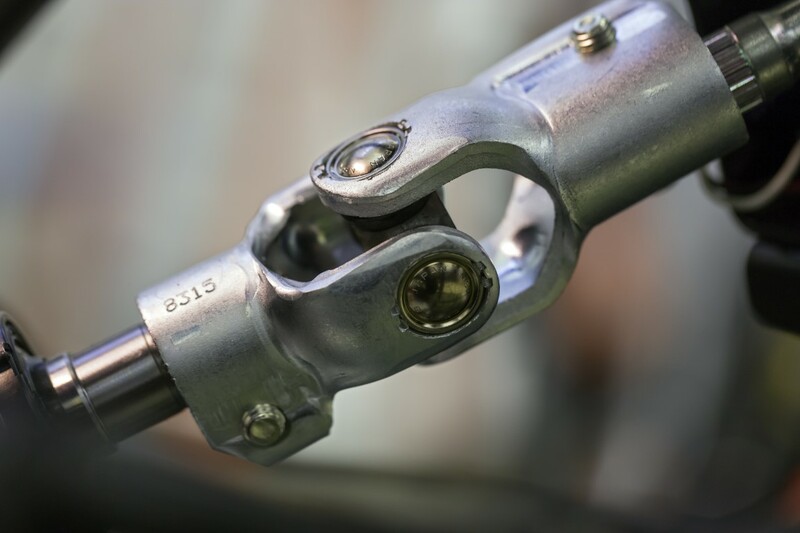 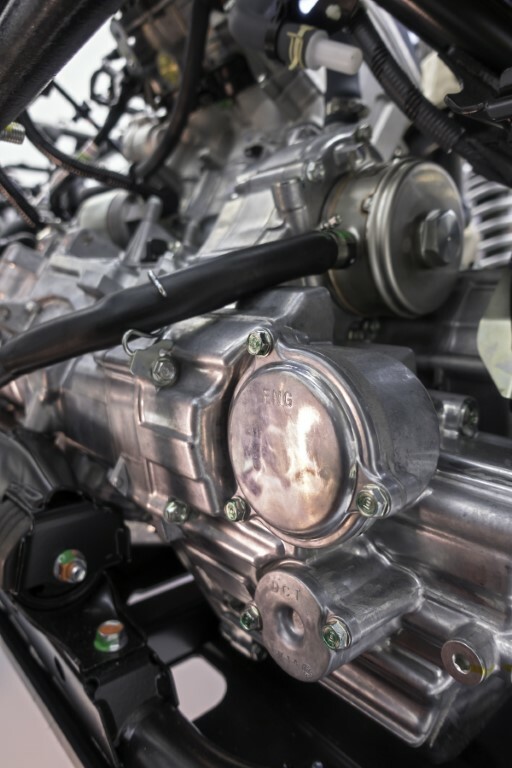 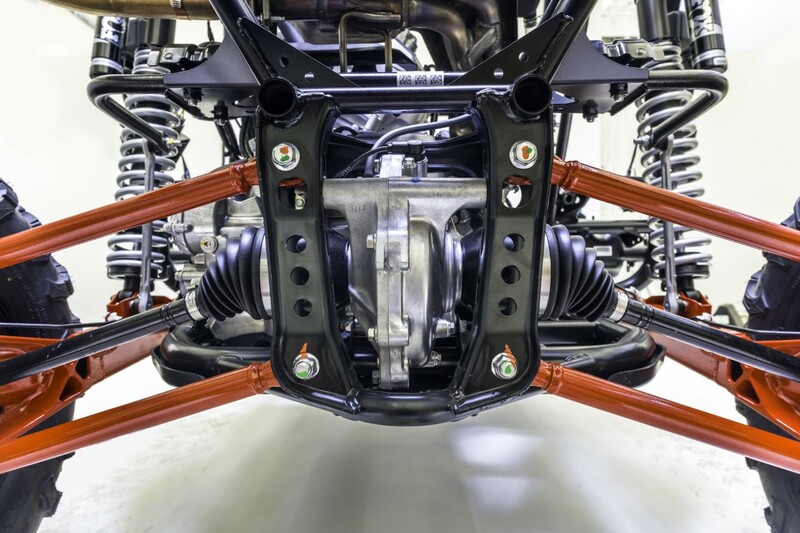 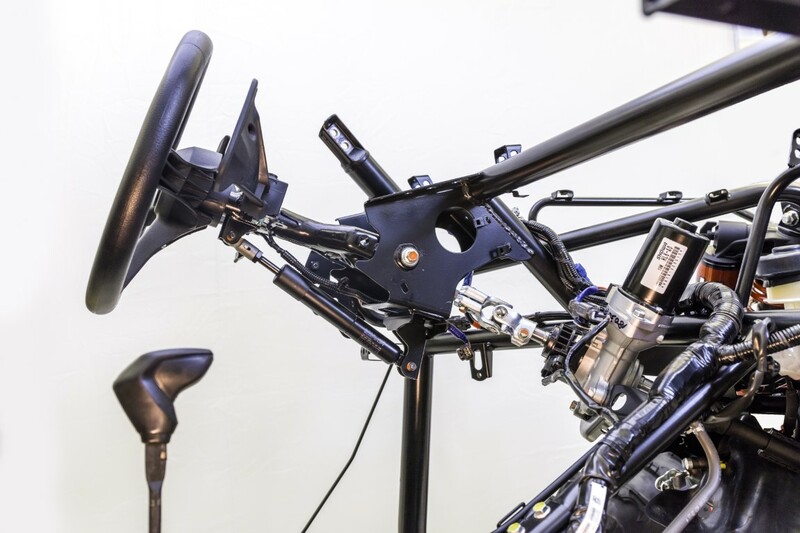 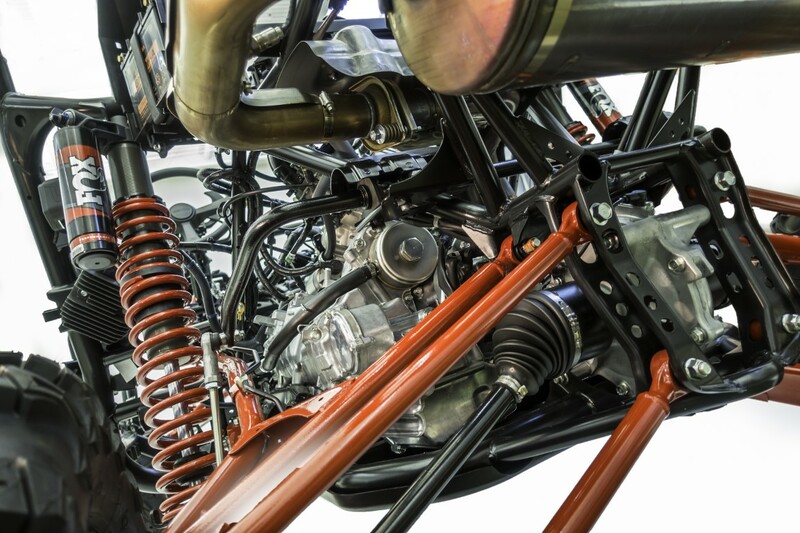 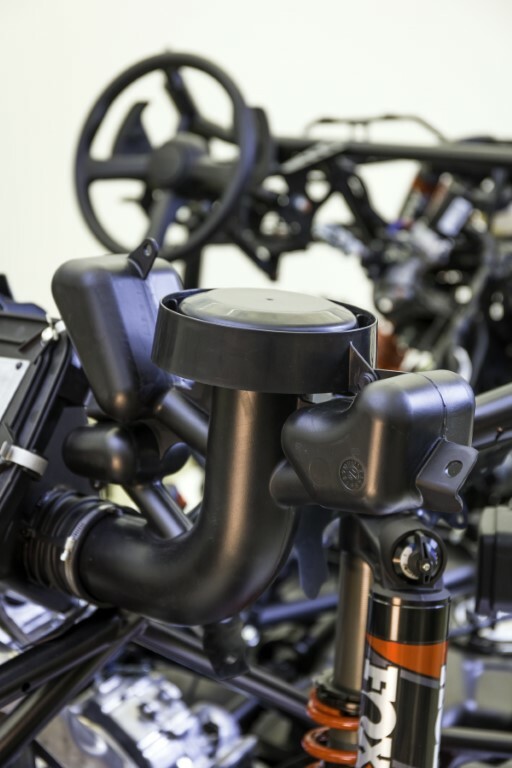 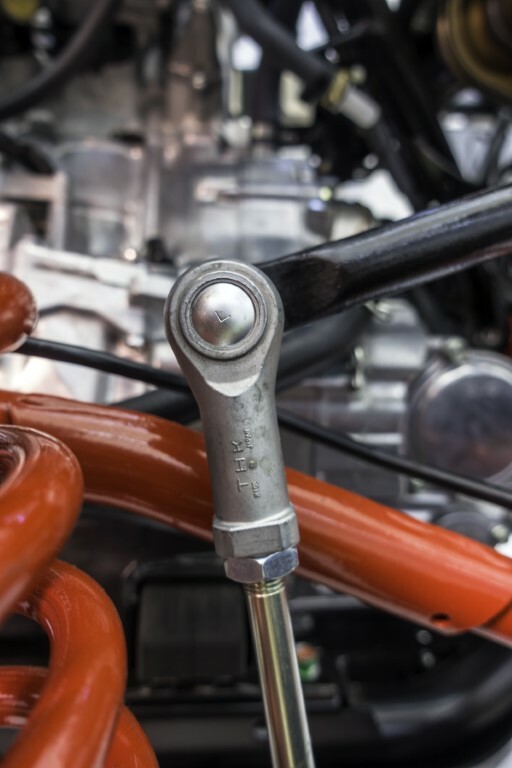 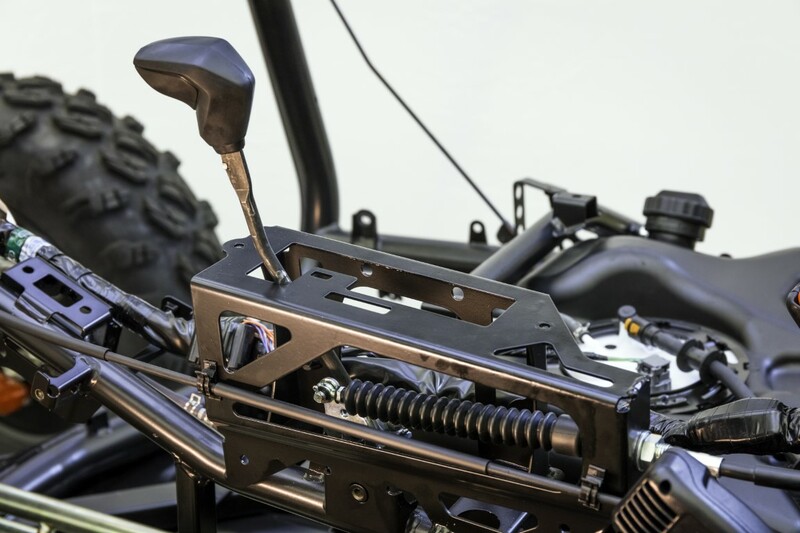 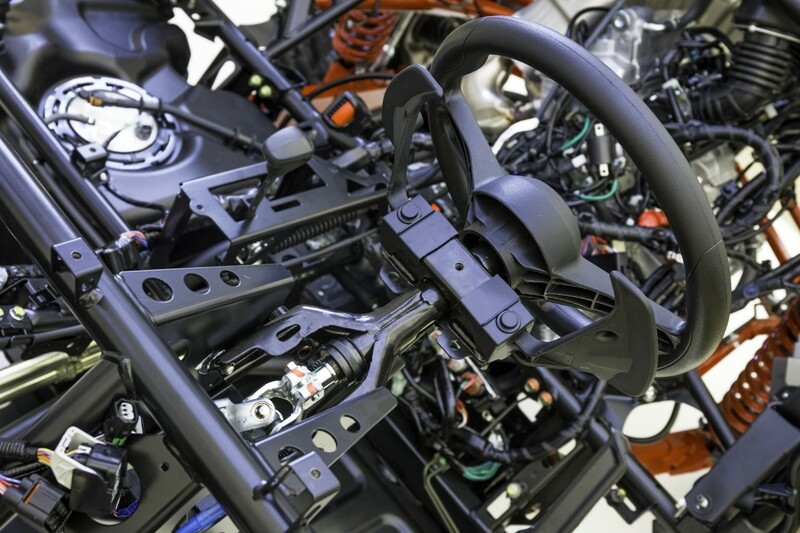 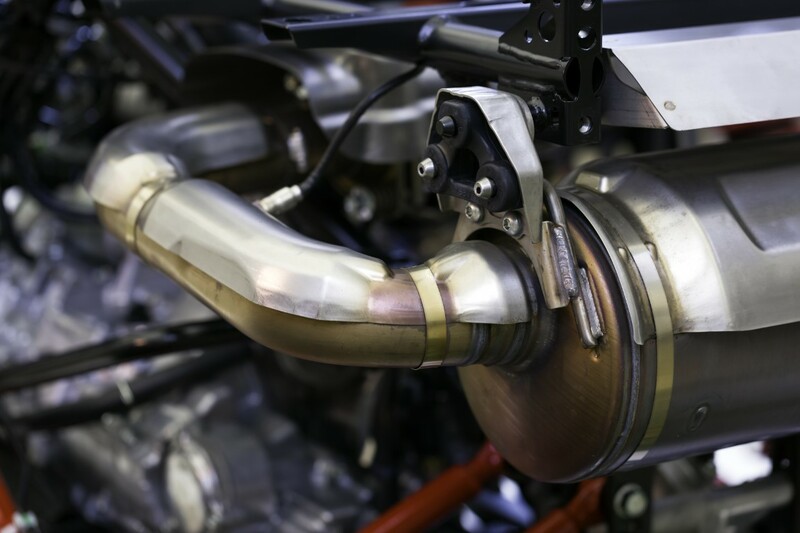 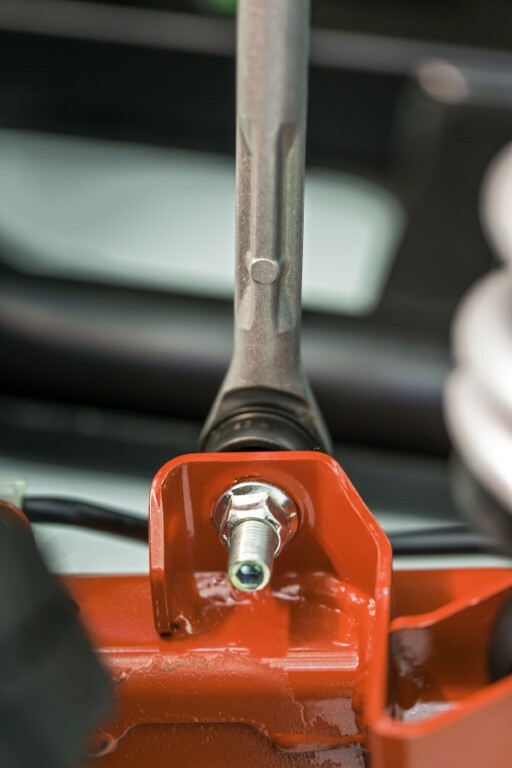 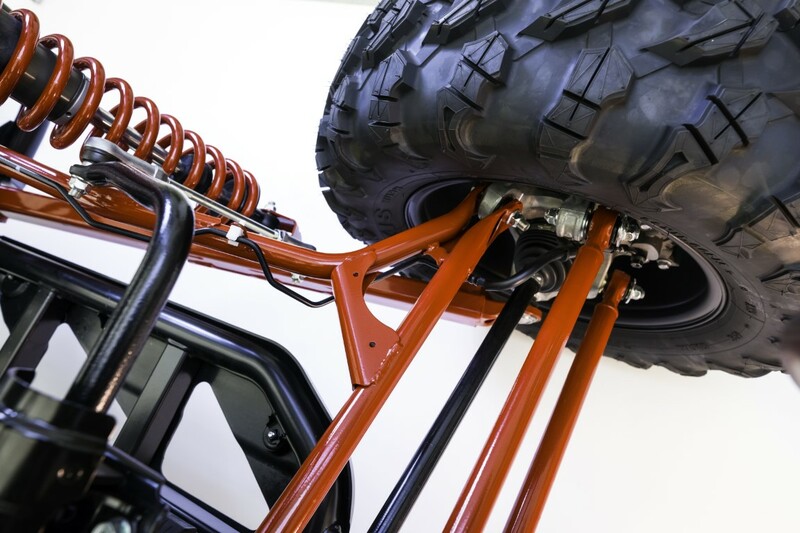 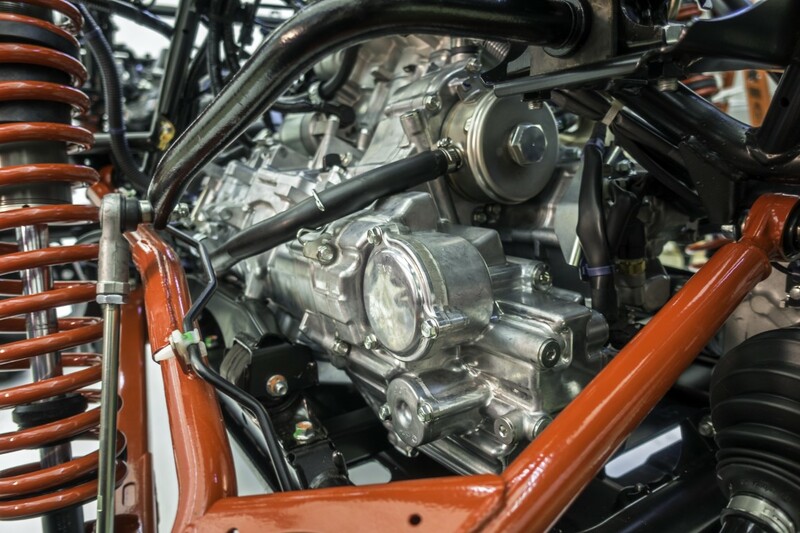 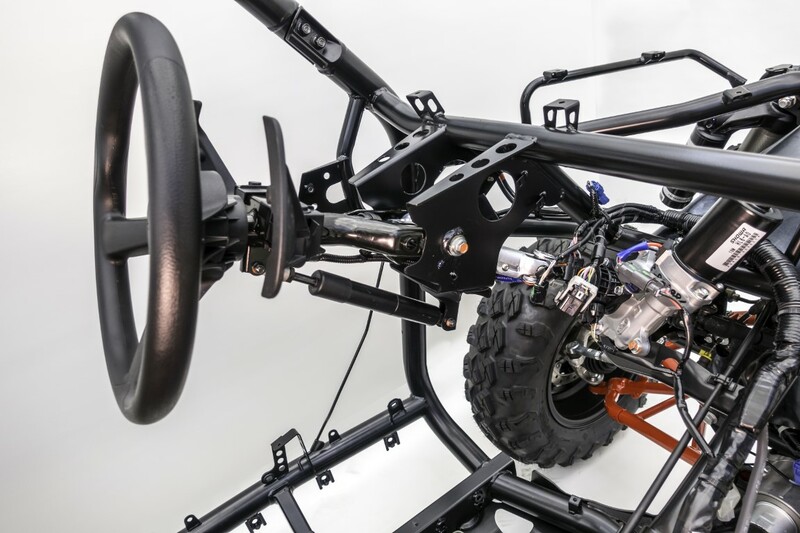 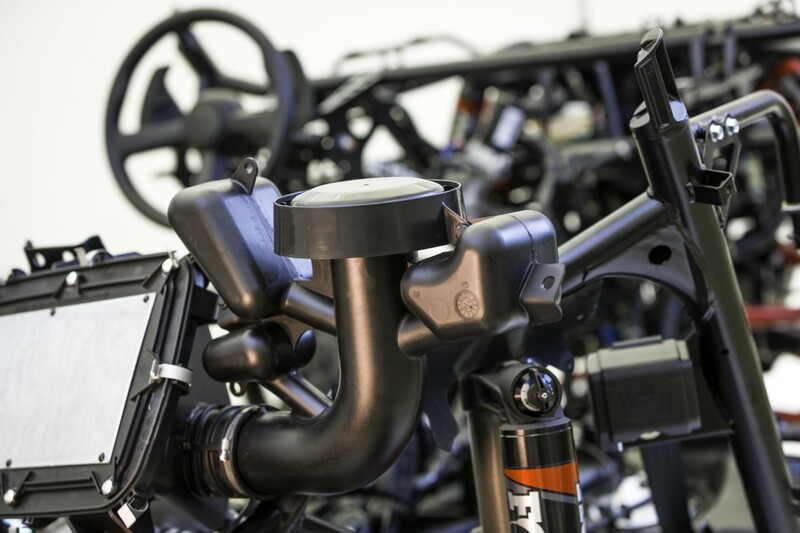 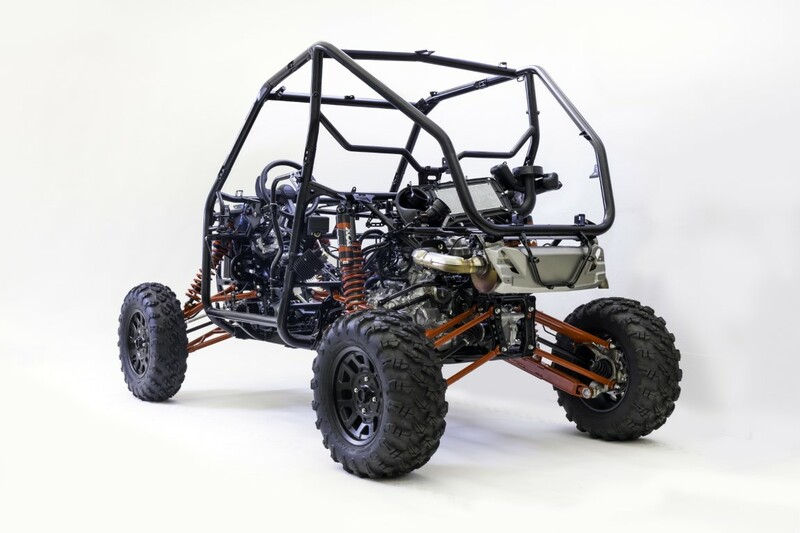 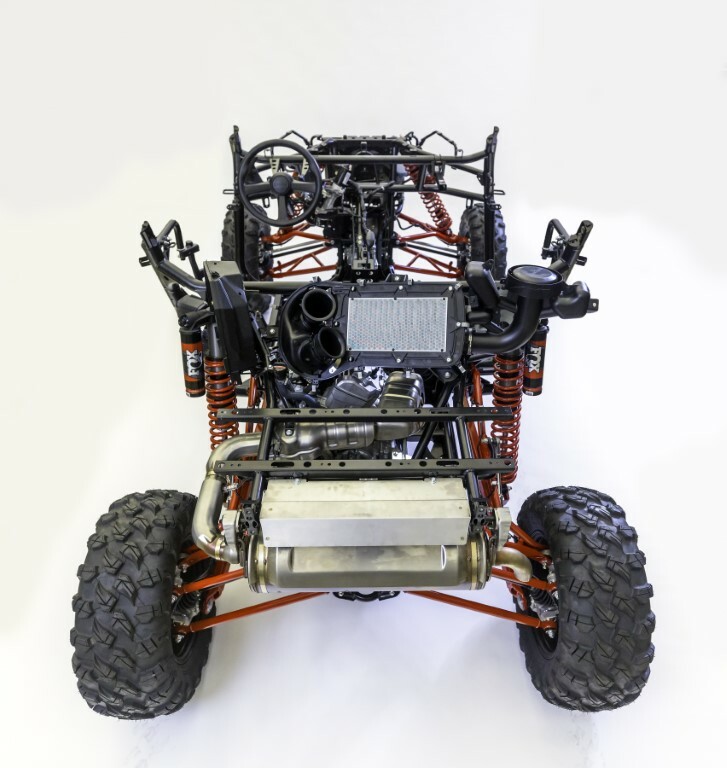 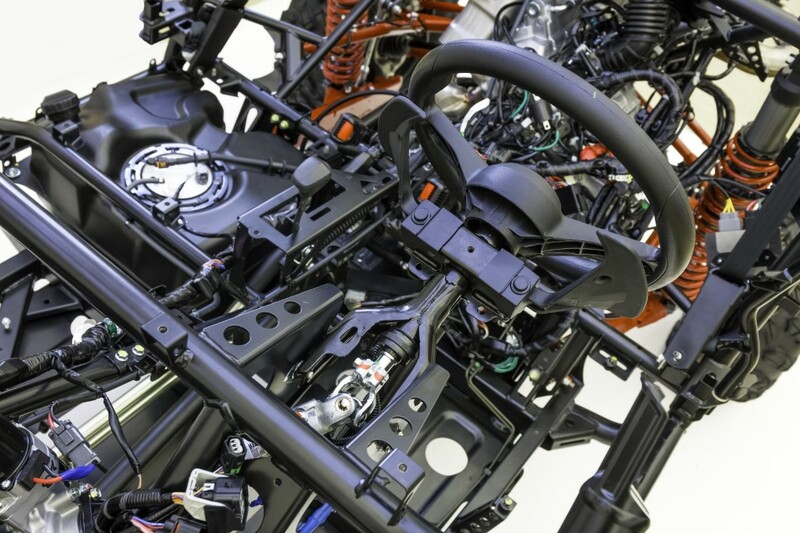 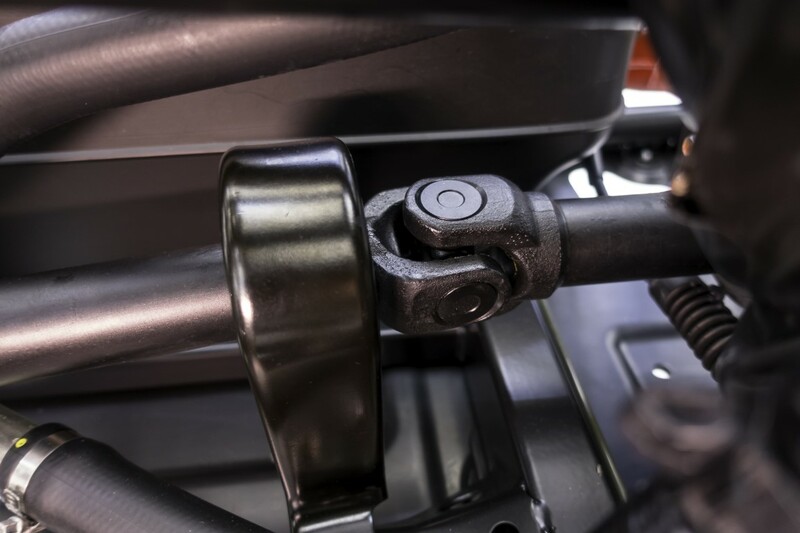 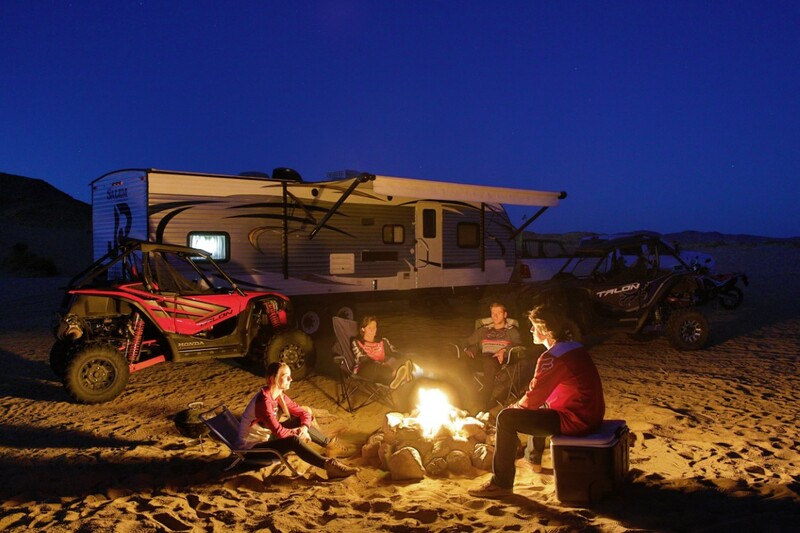 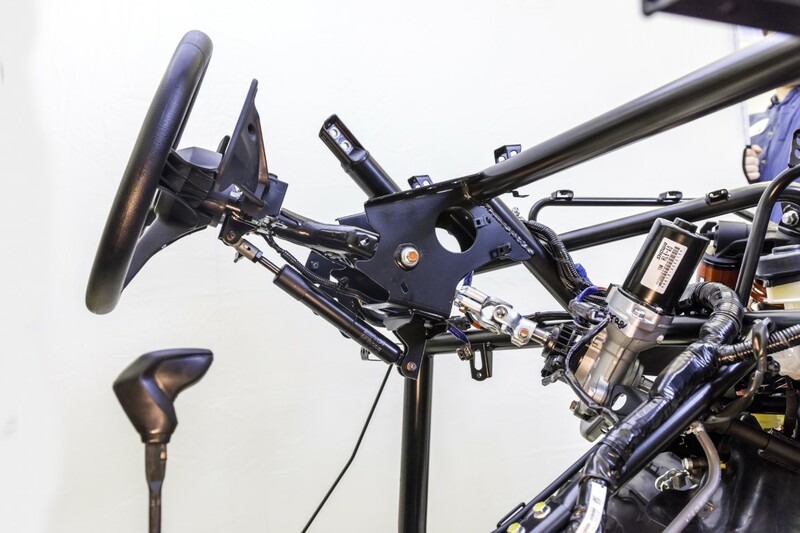 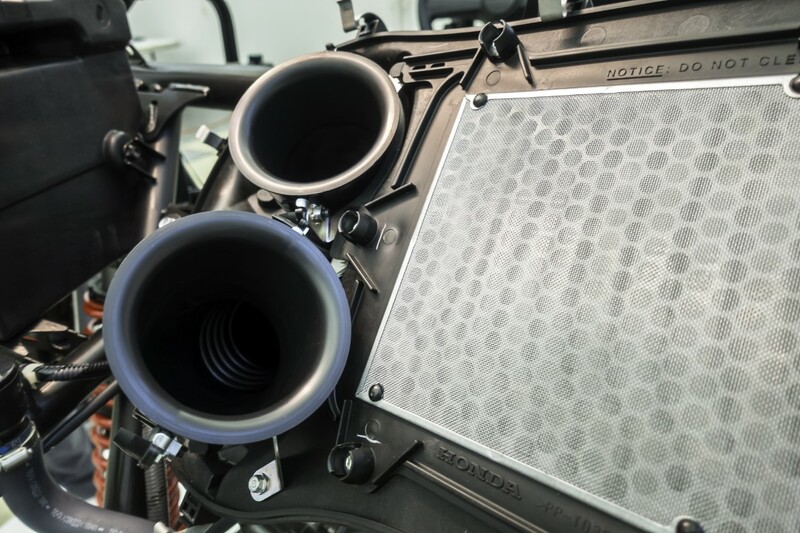 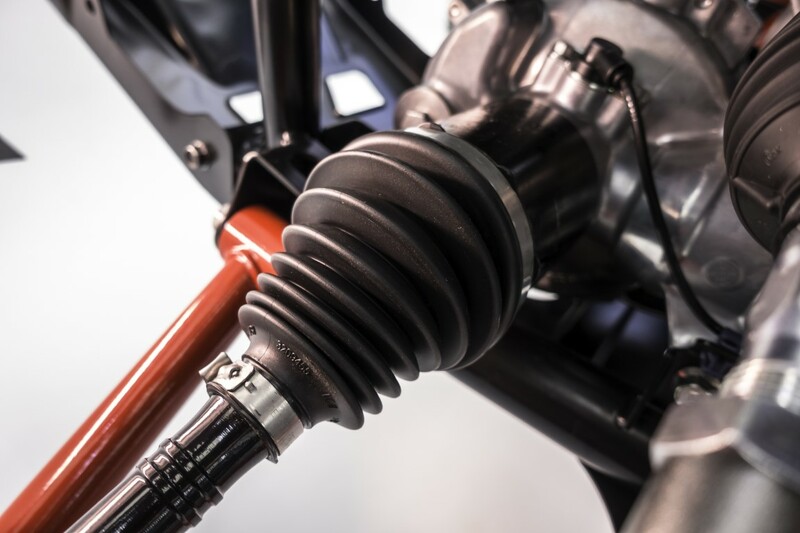 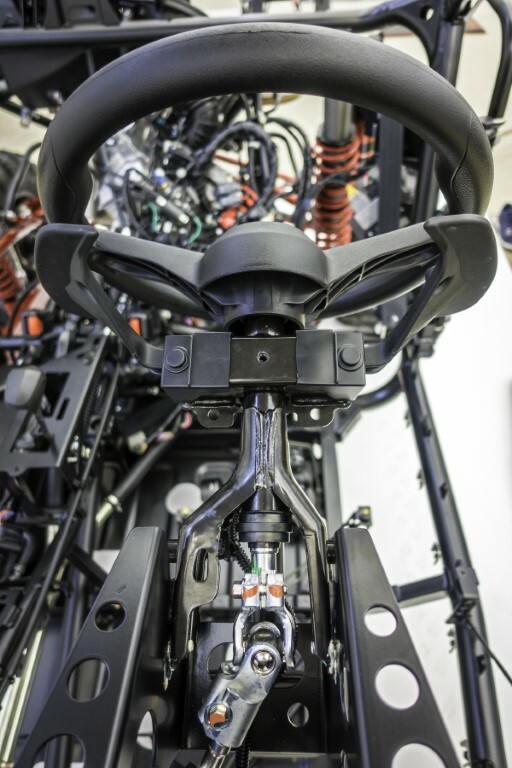 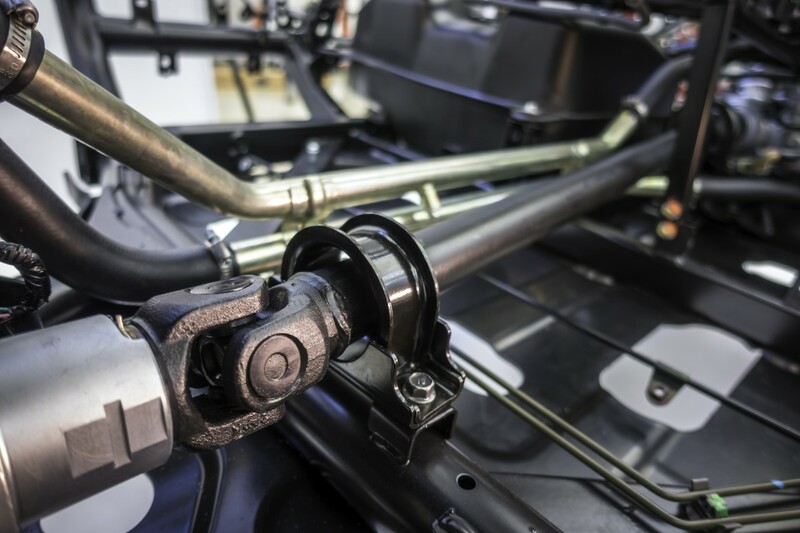 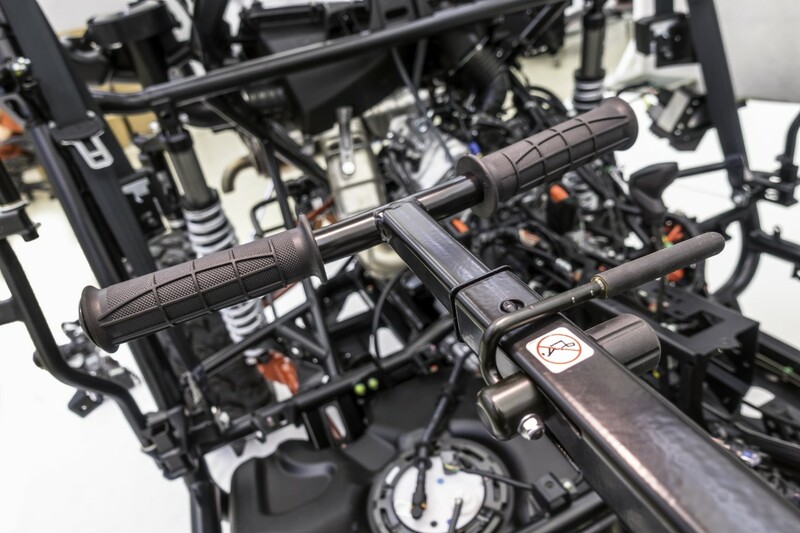 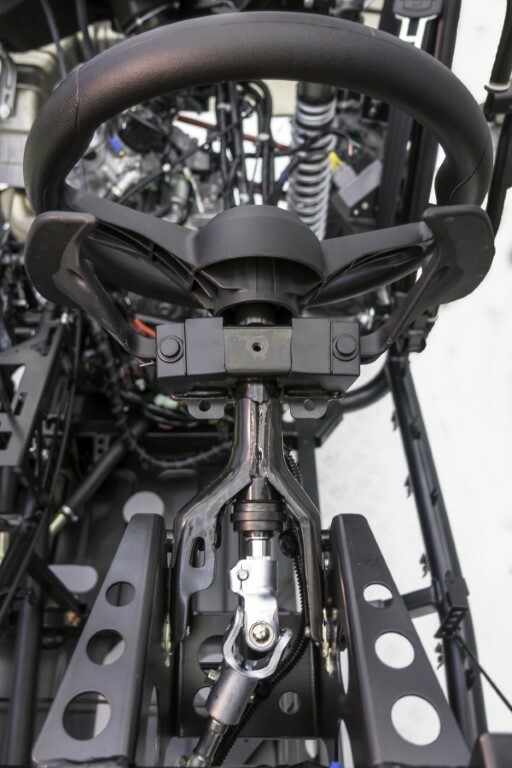 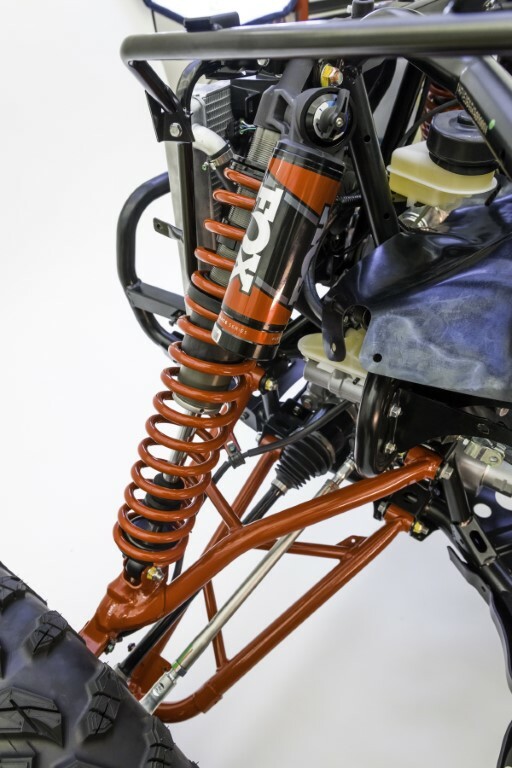 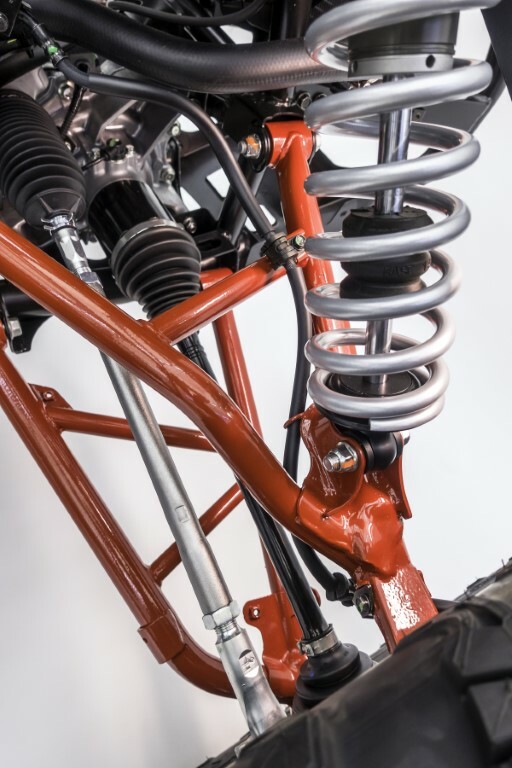 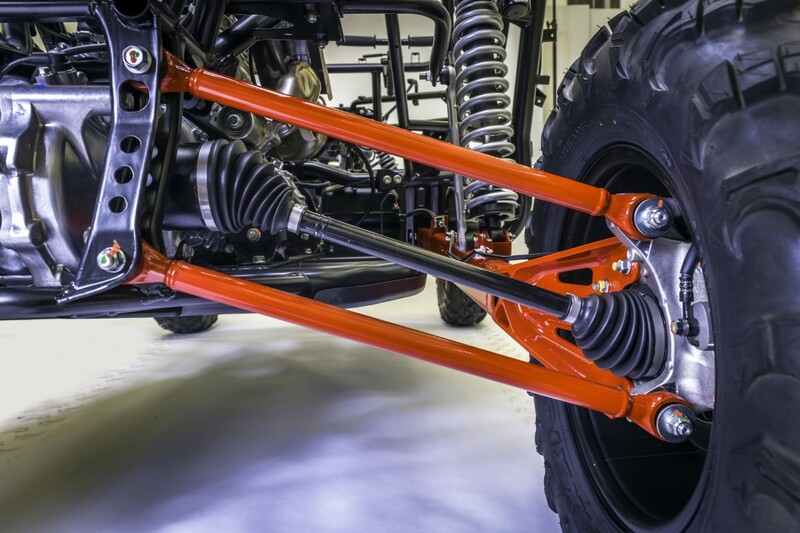 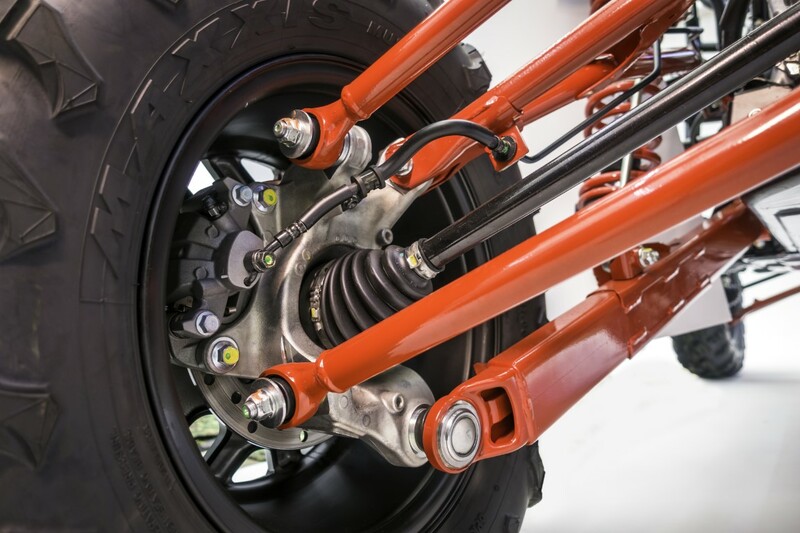 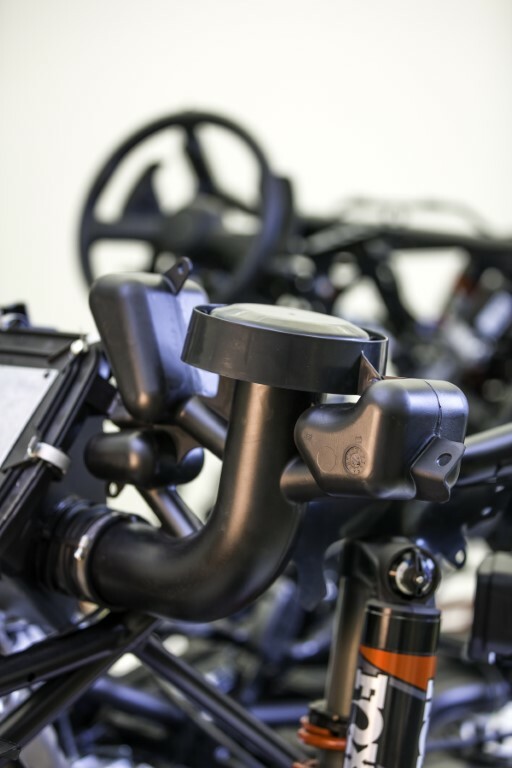 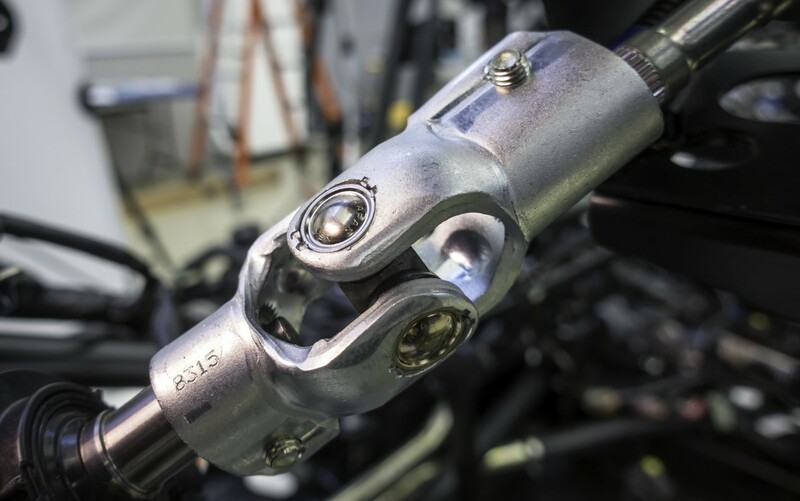 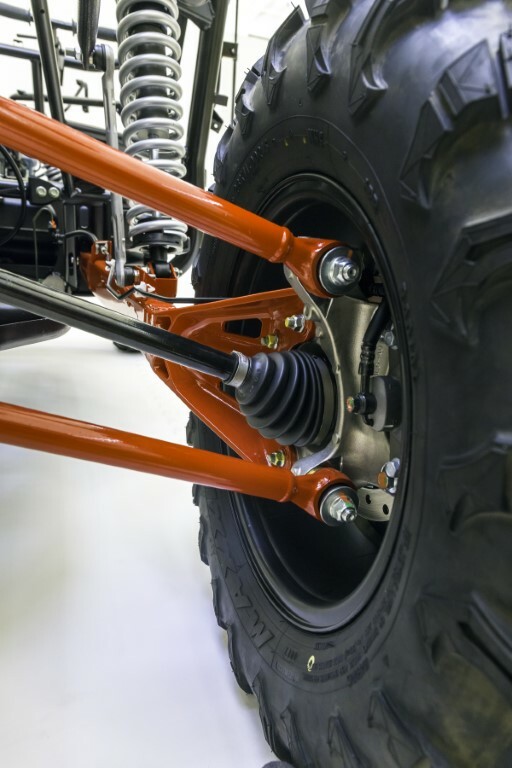 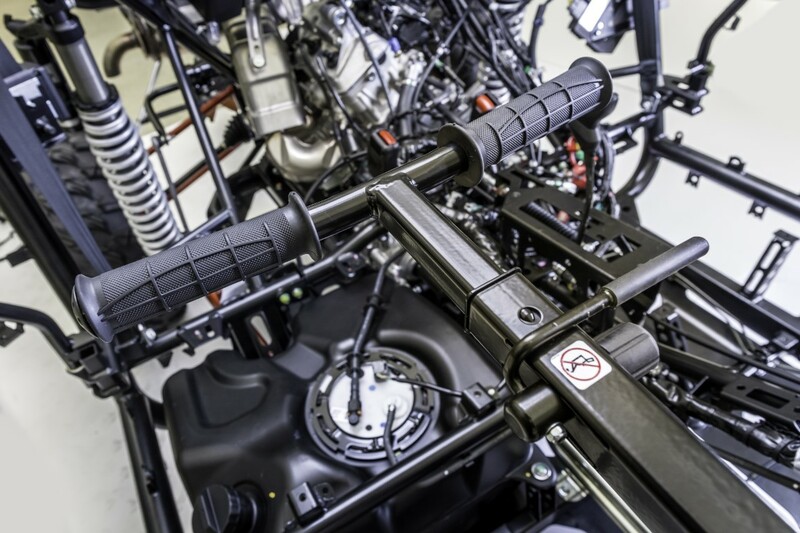 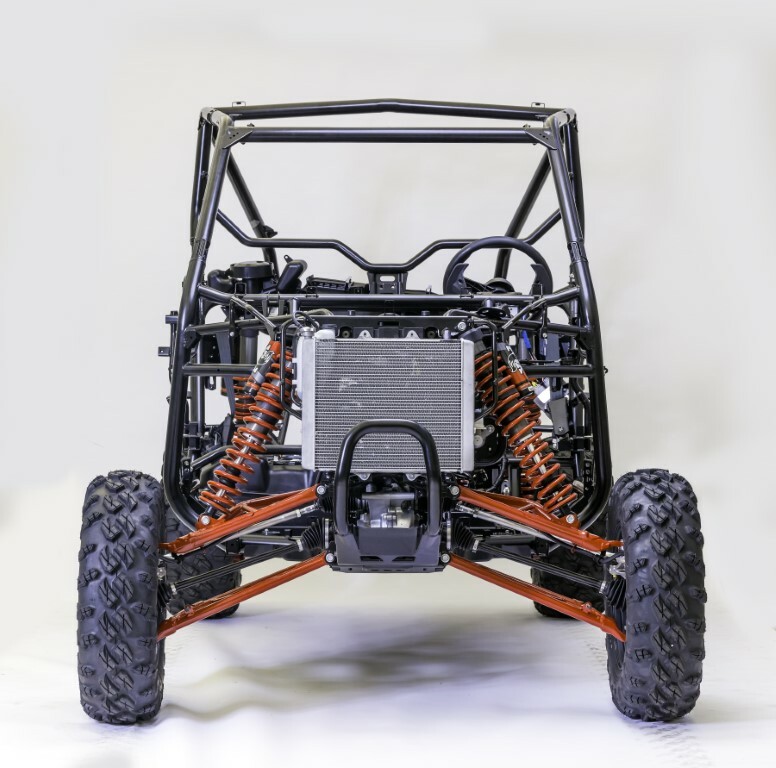 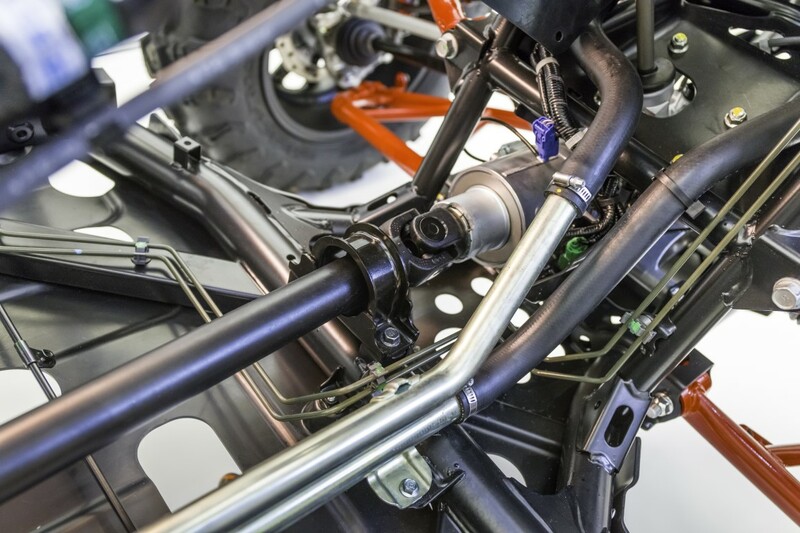 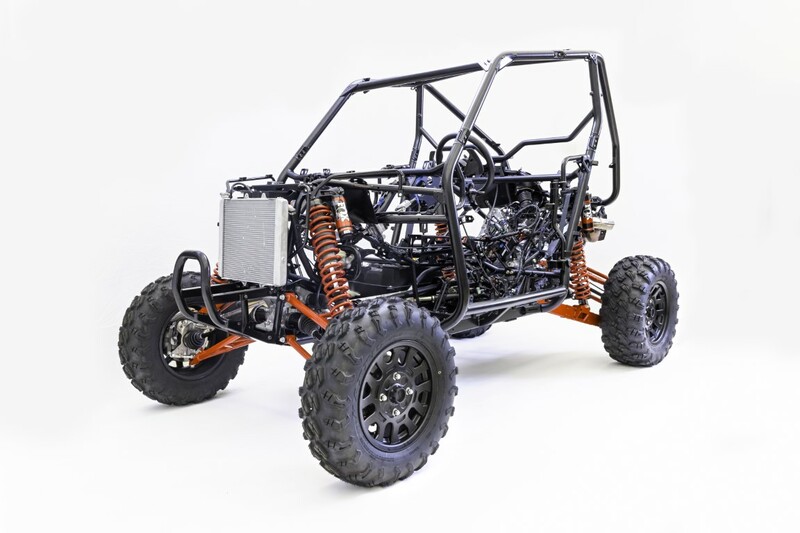 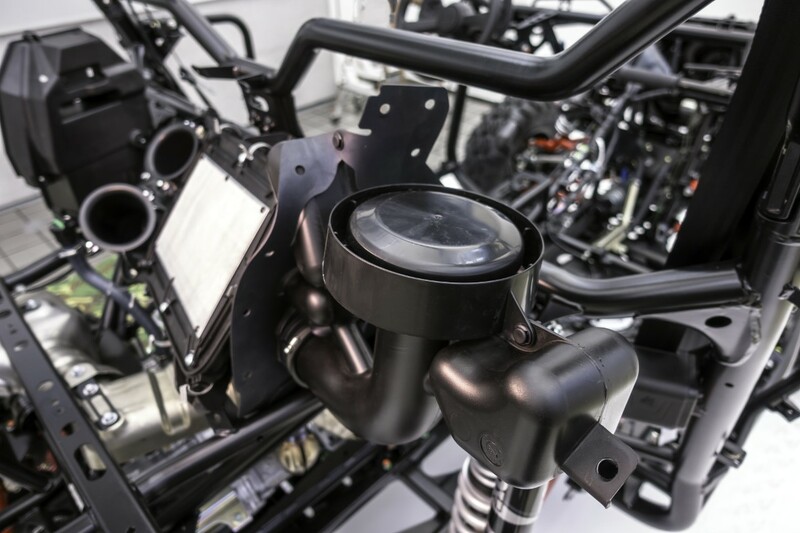 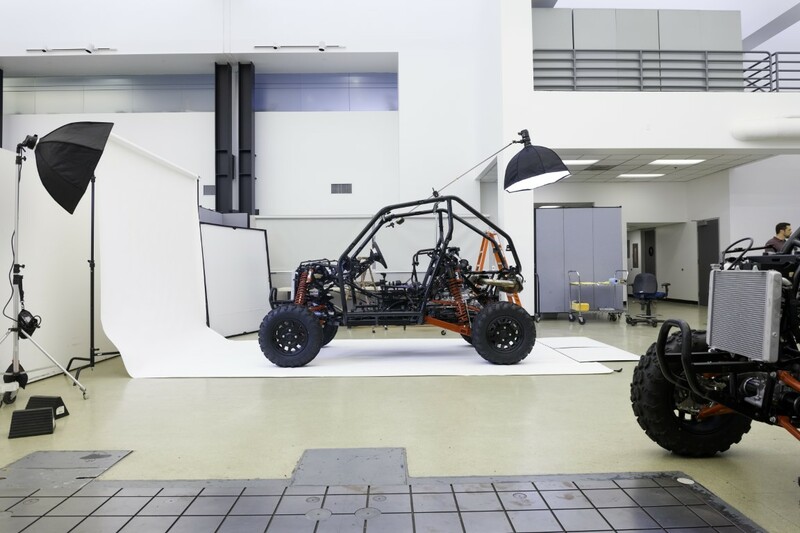 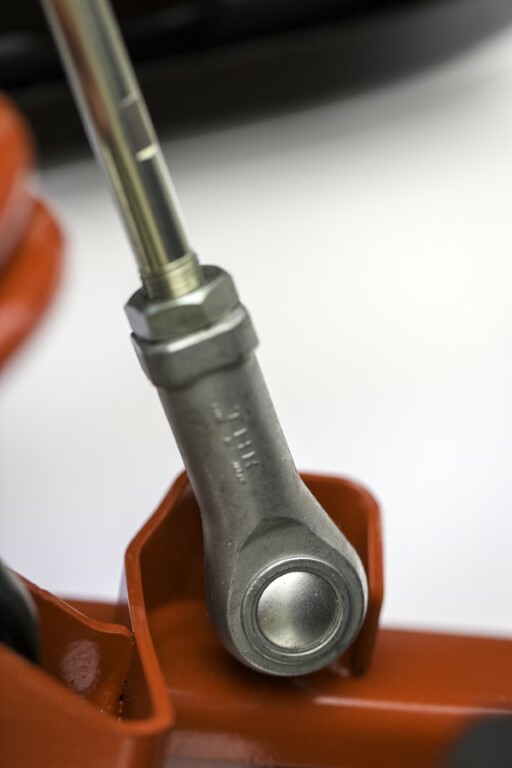 Drawing on countless hours of collaborative development in both two- and four-wheel design and racing, as well as automotive and motorcycle manufacturing knowhow and safety expertise, the Talons push the envelope of what is possible in a production sport side-by-side. 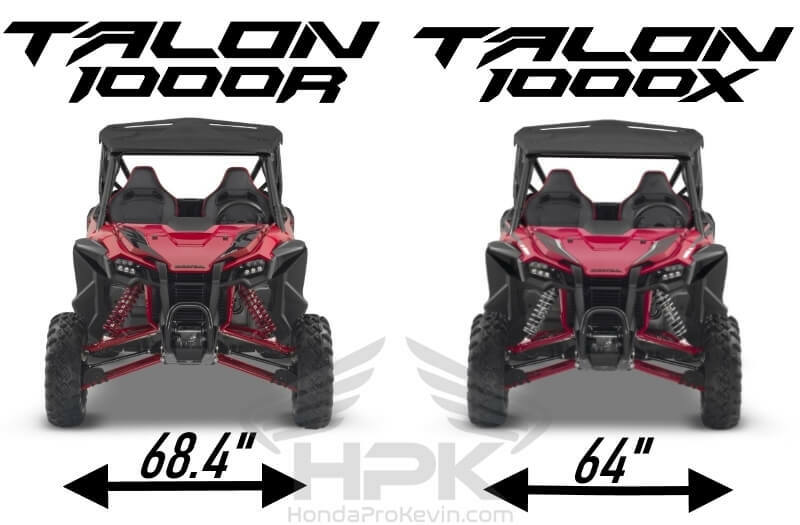 TALON 1000R VS 1000X Differences? 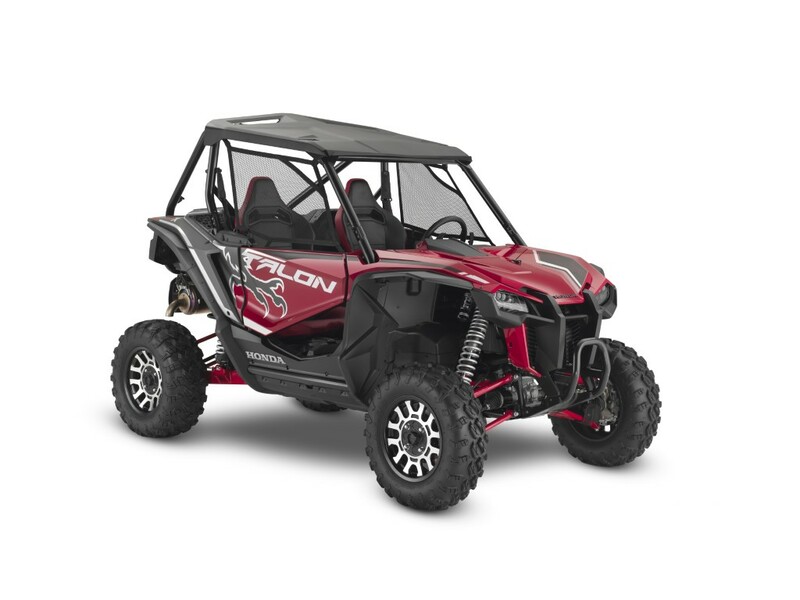 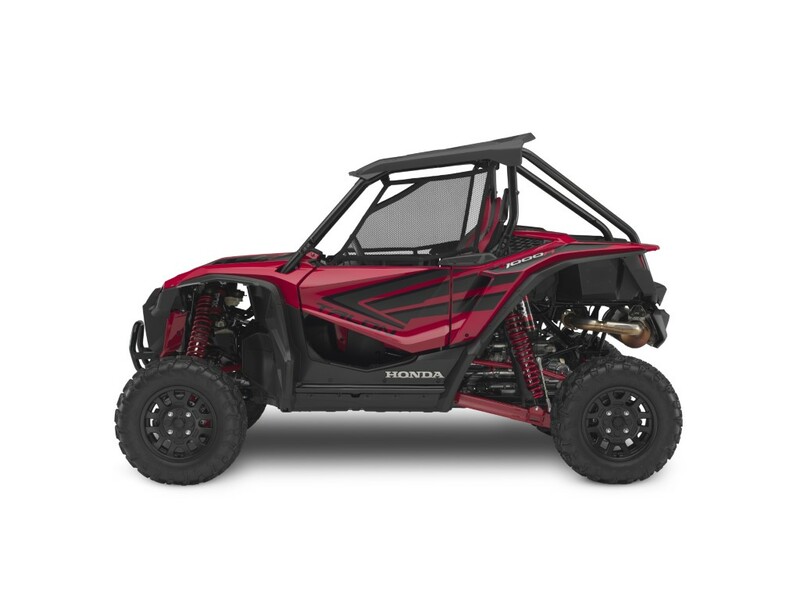 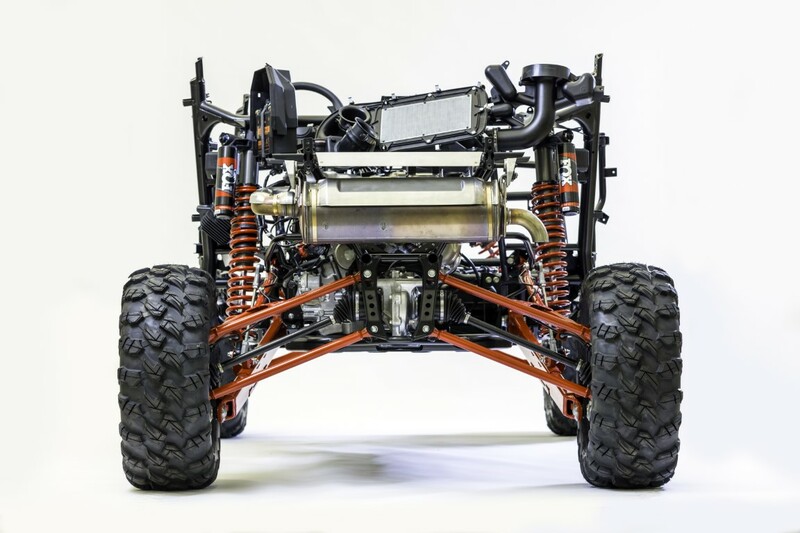 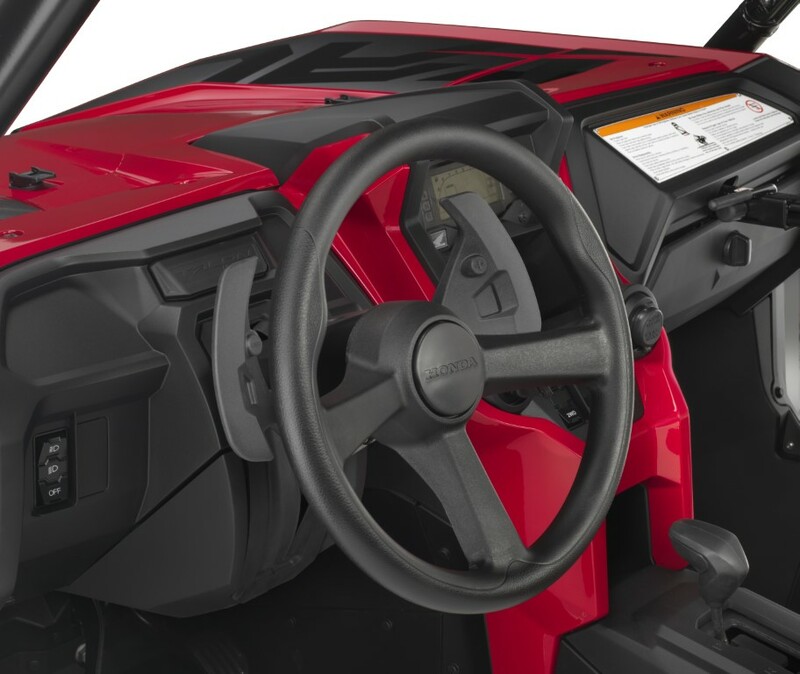 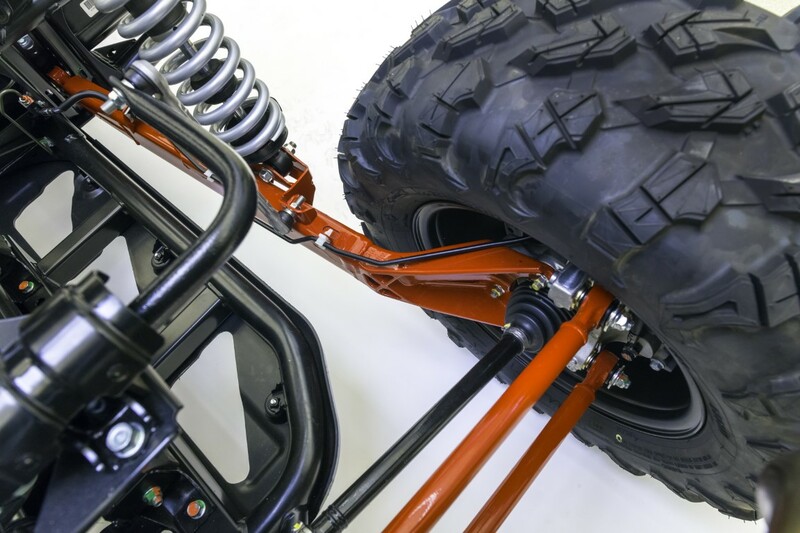 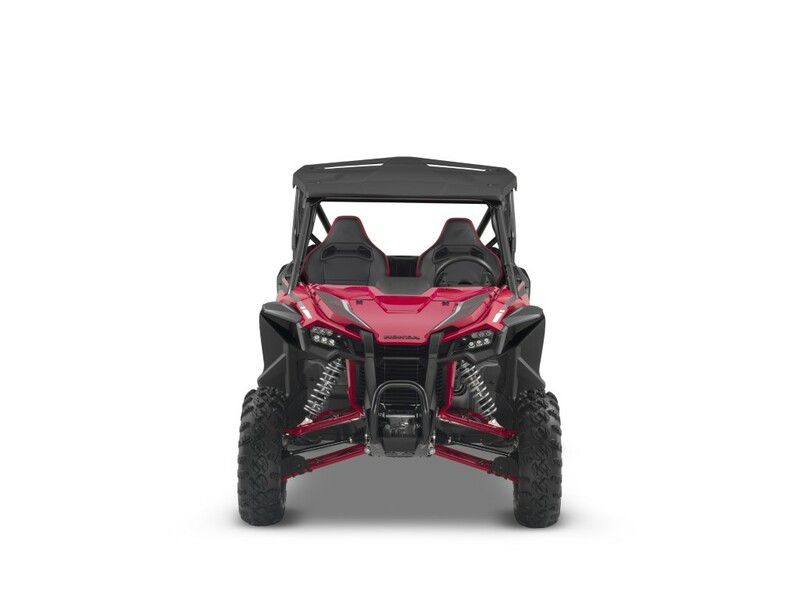 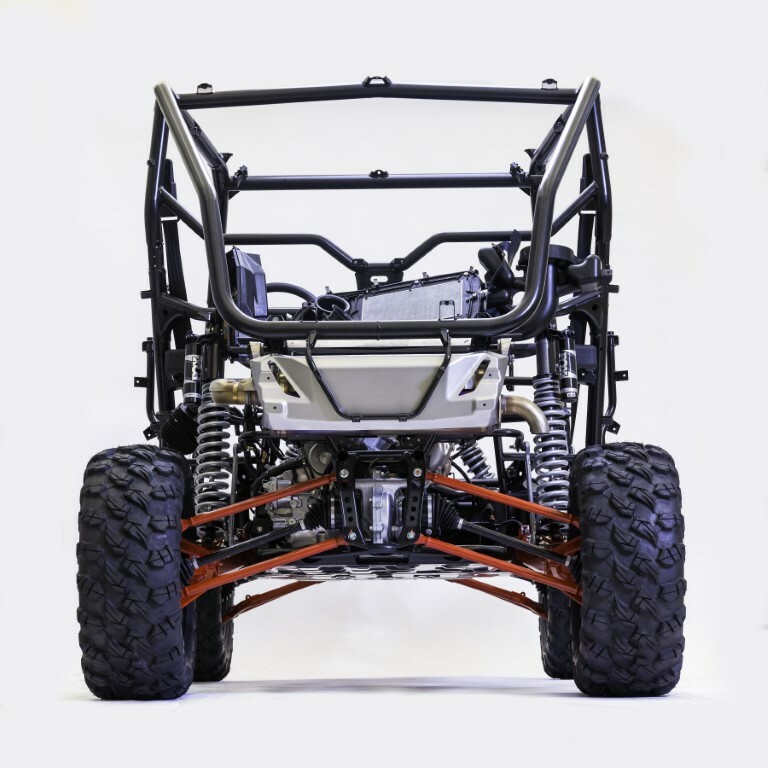 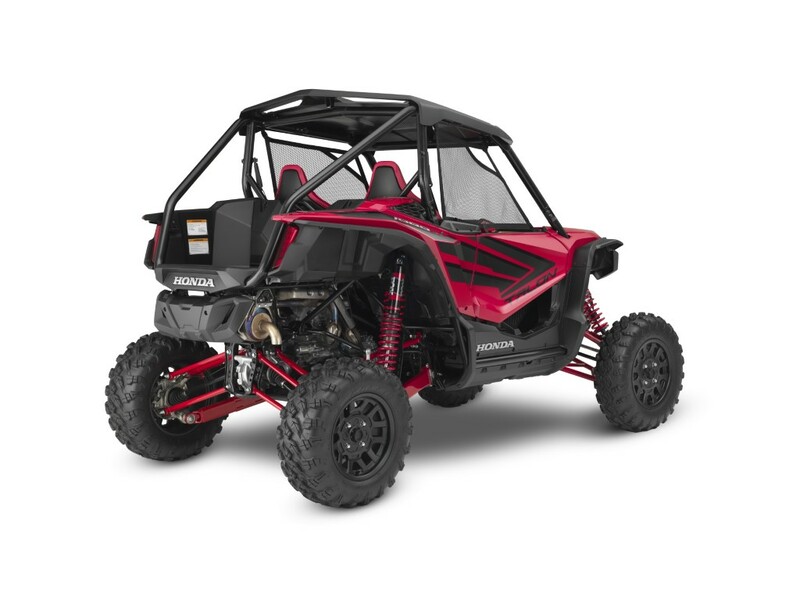 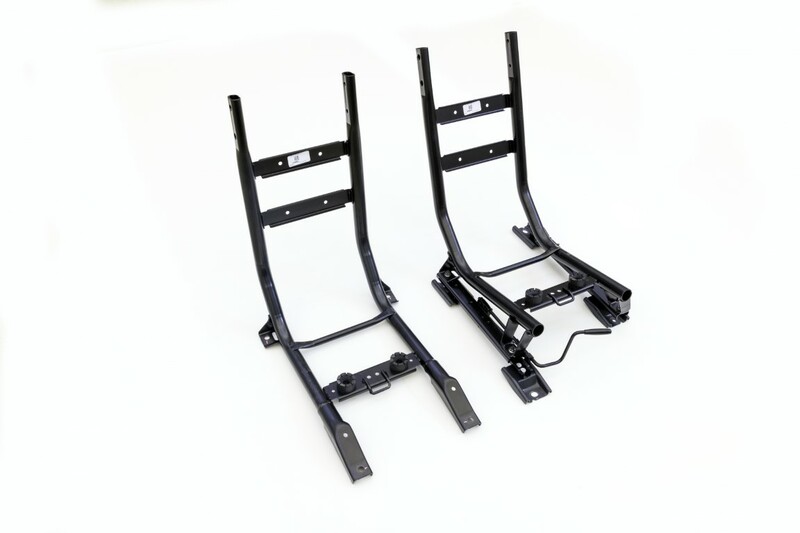 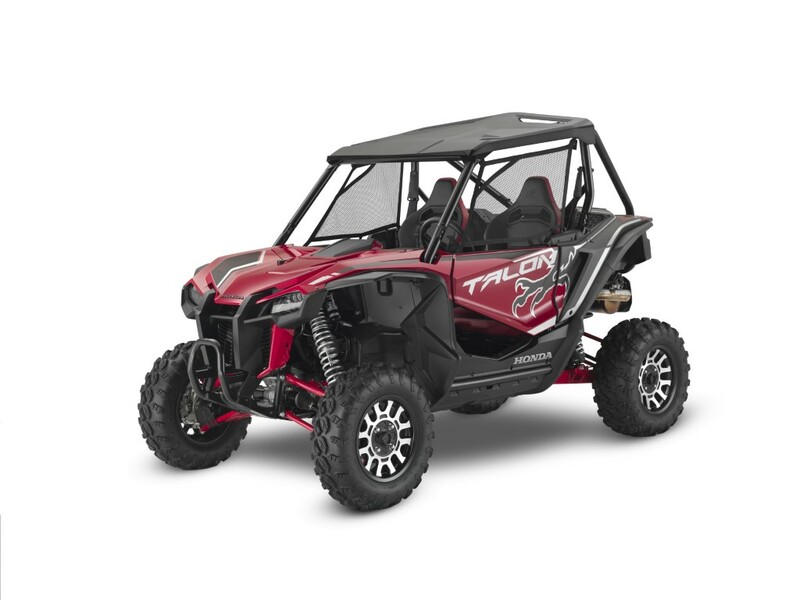 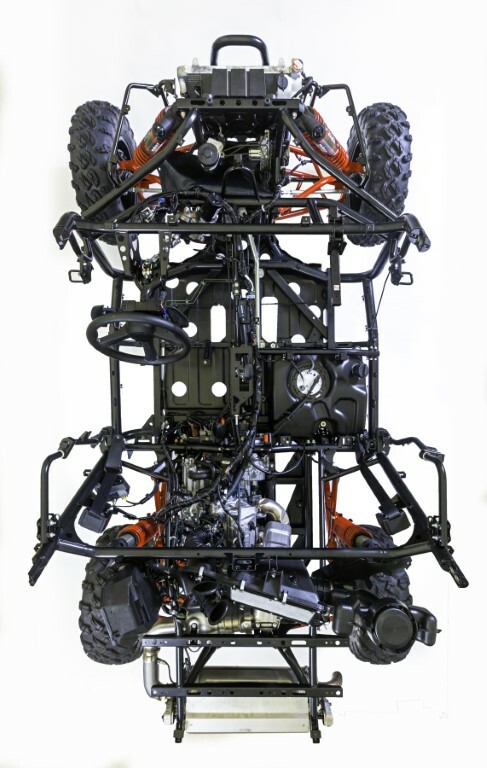 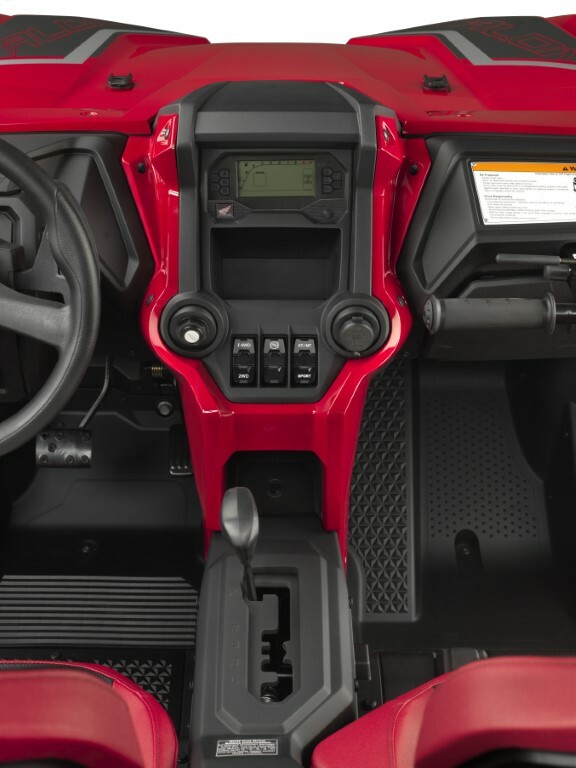 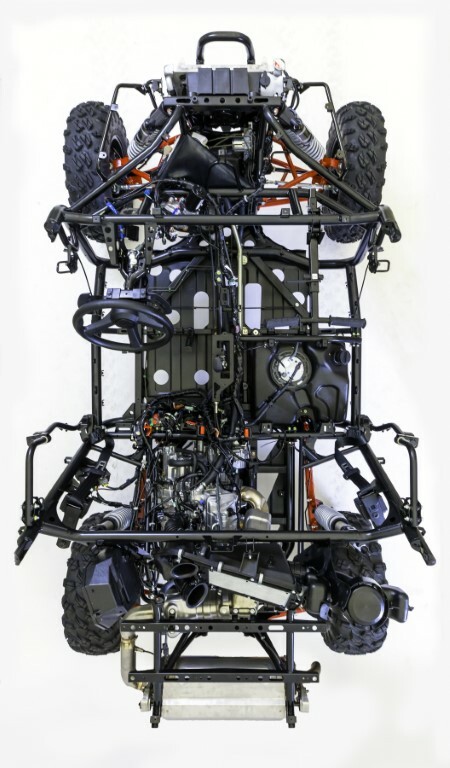 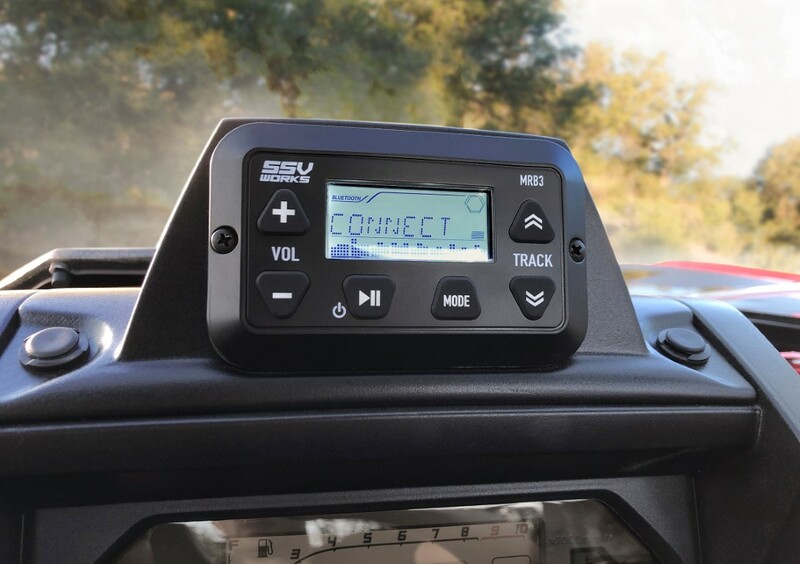 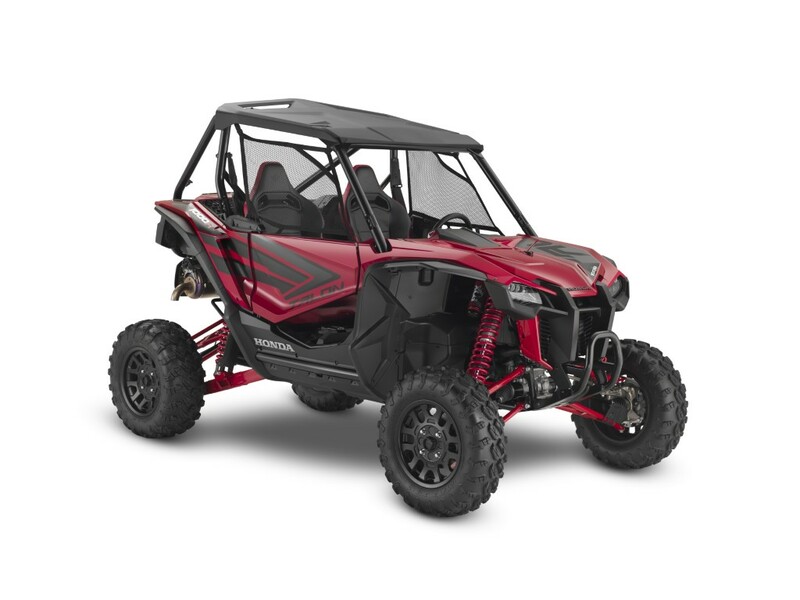 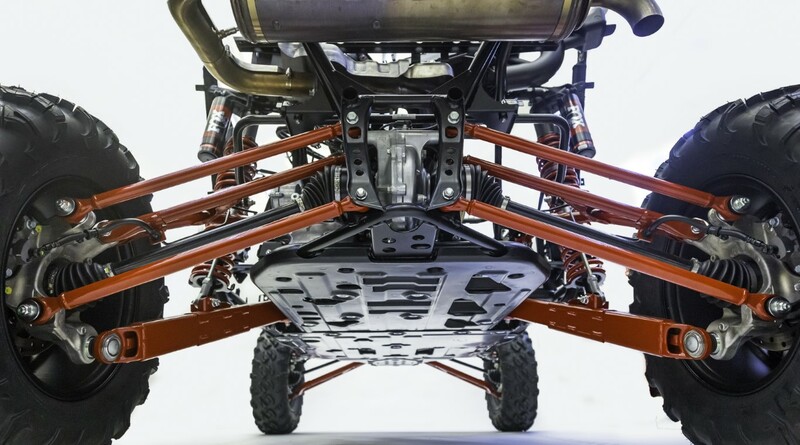 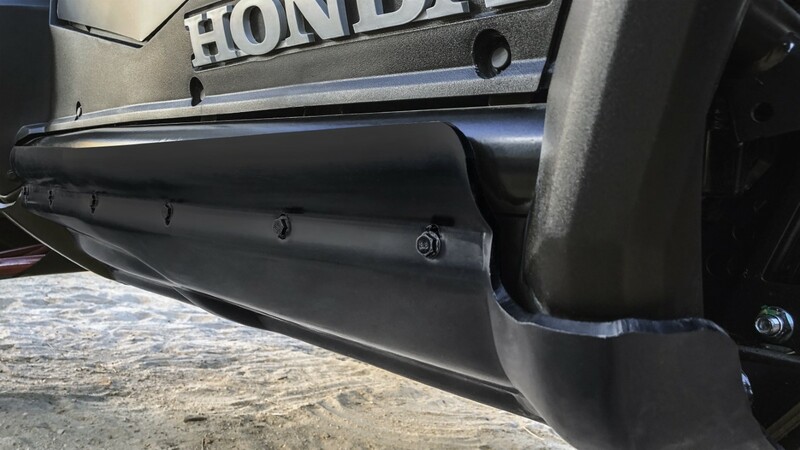 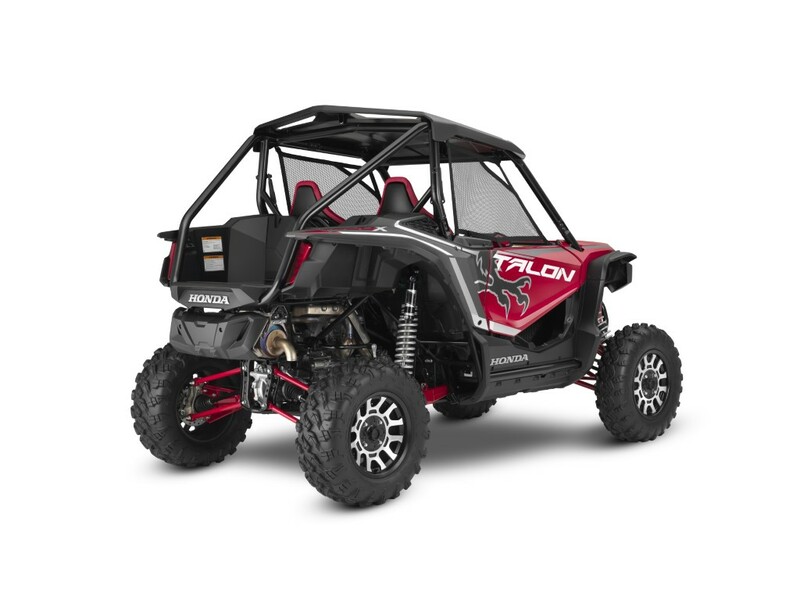 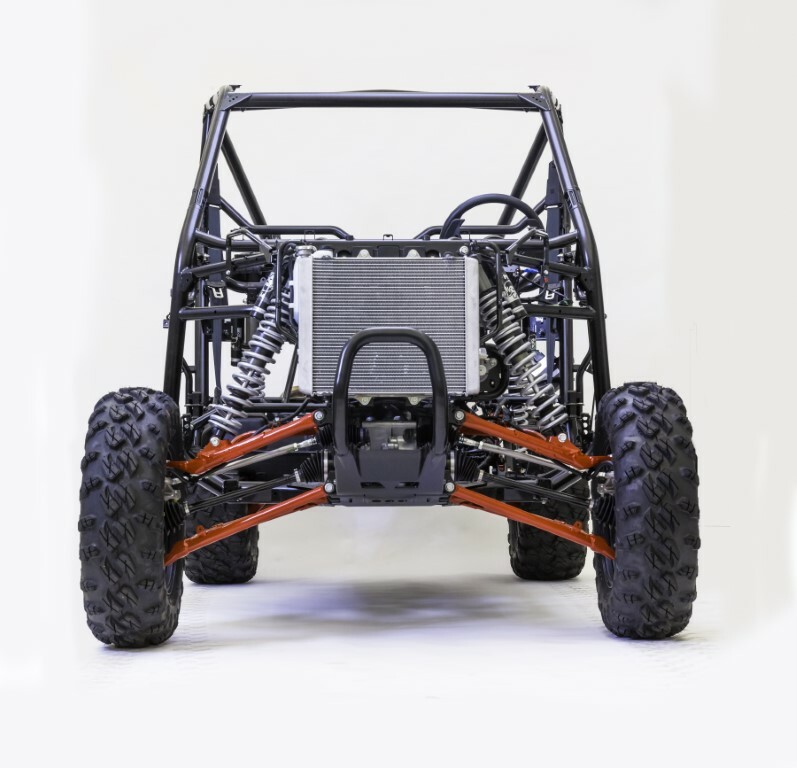 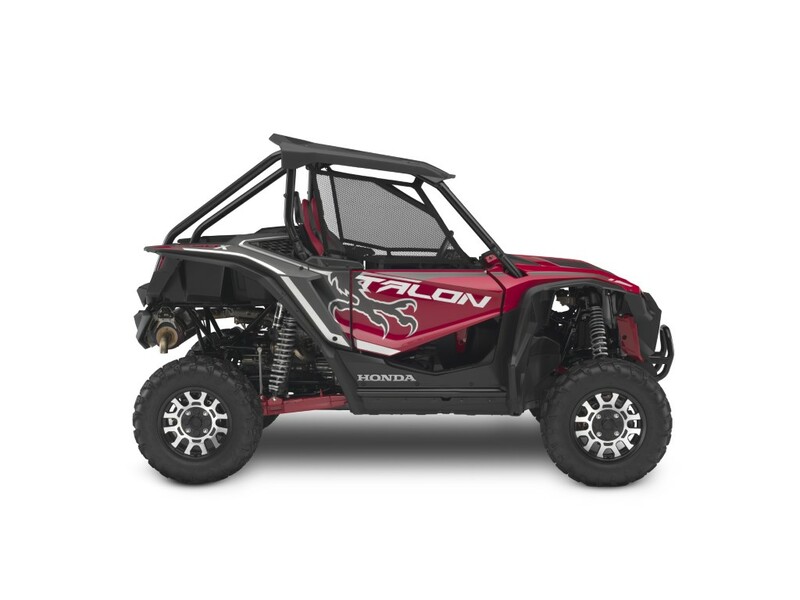 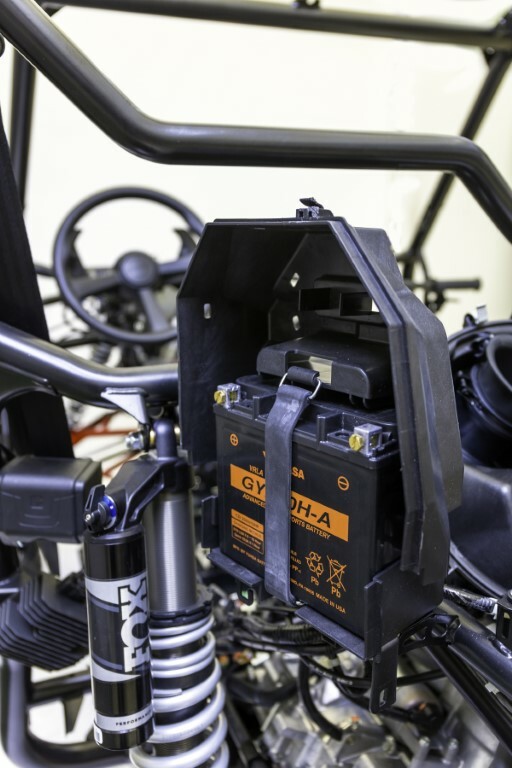 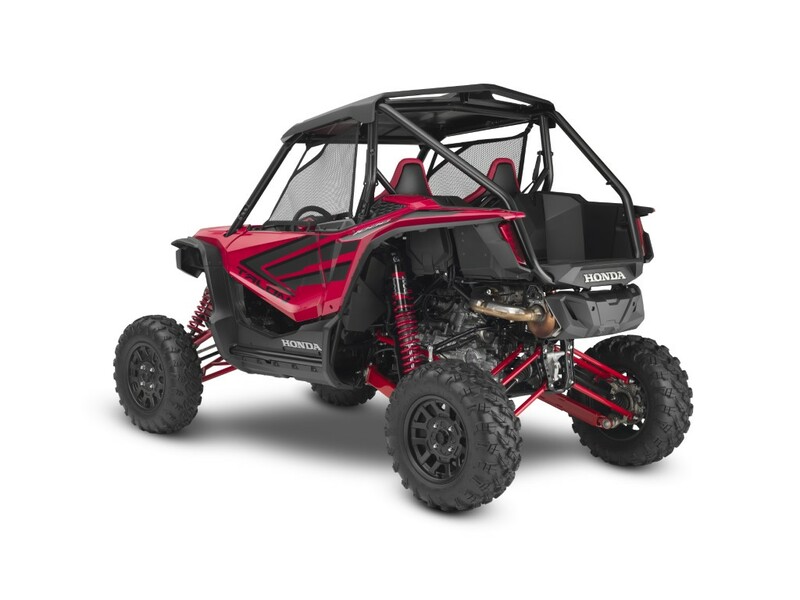 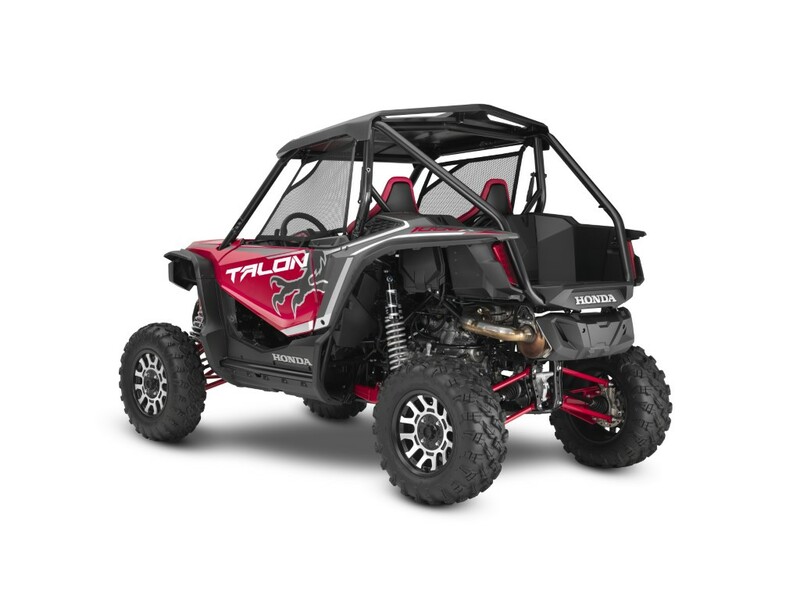 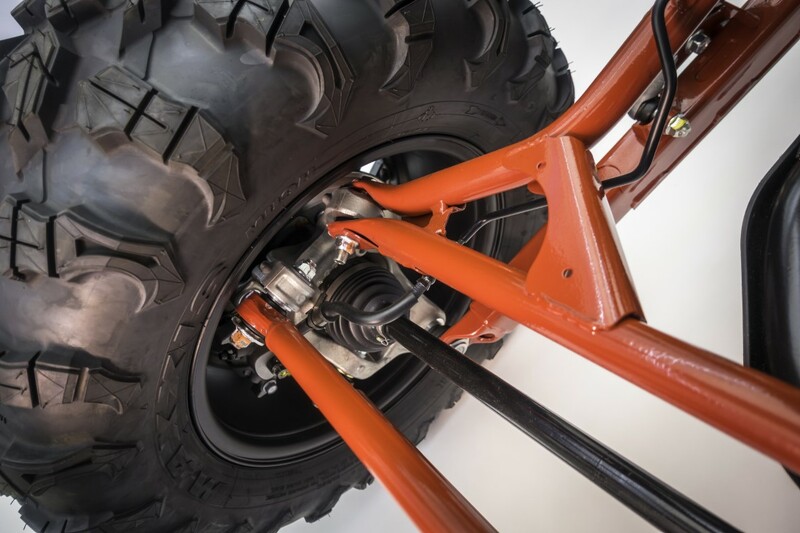 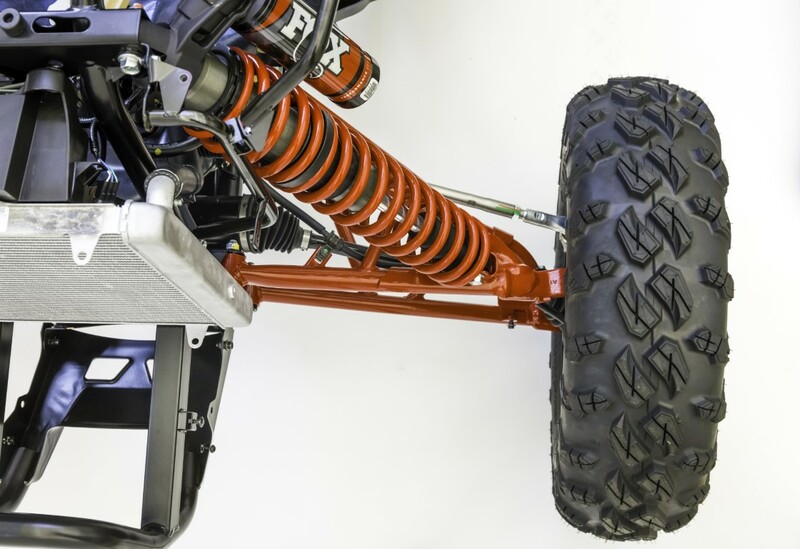 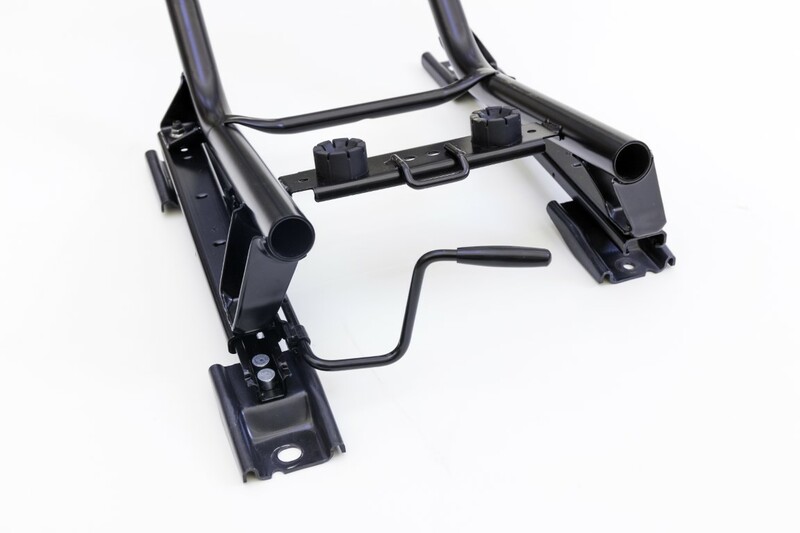 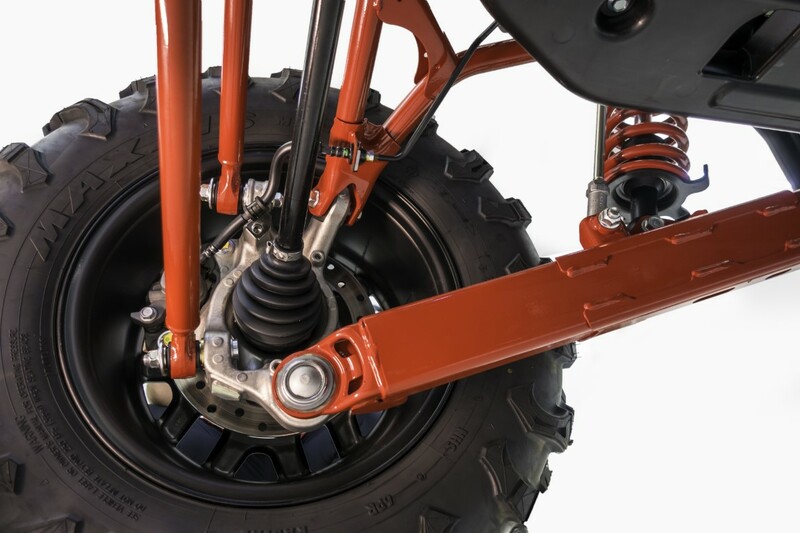 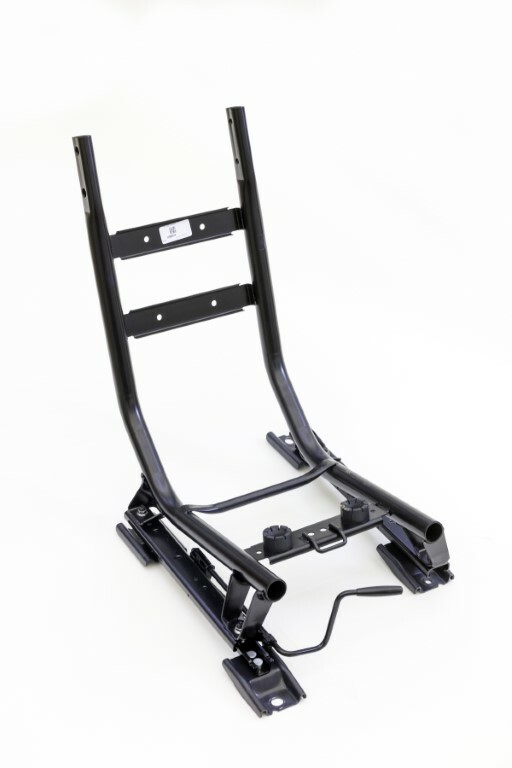 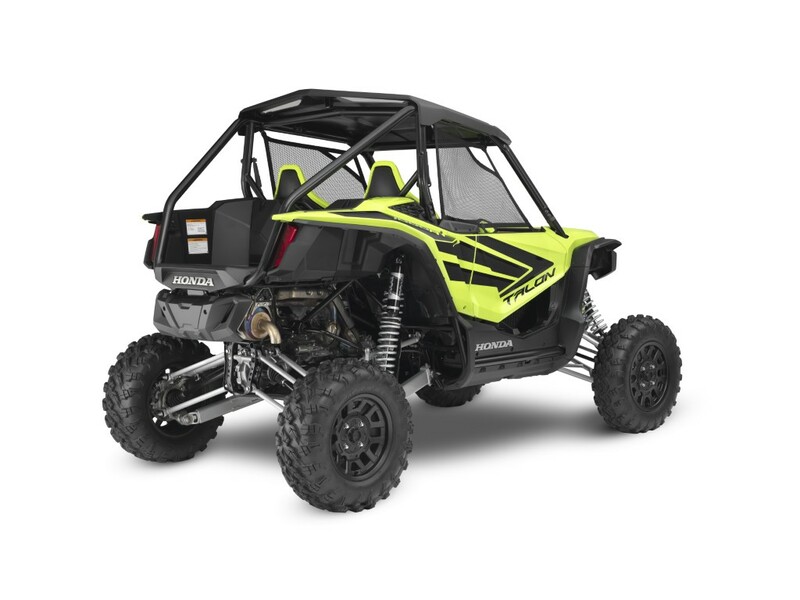 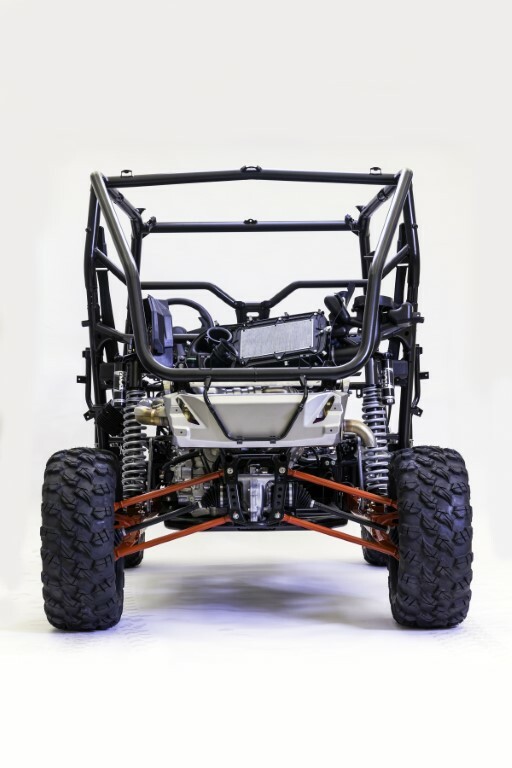 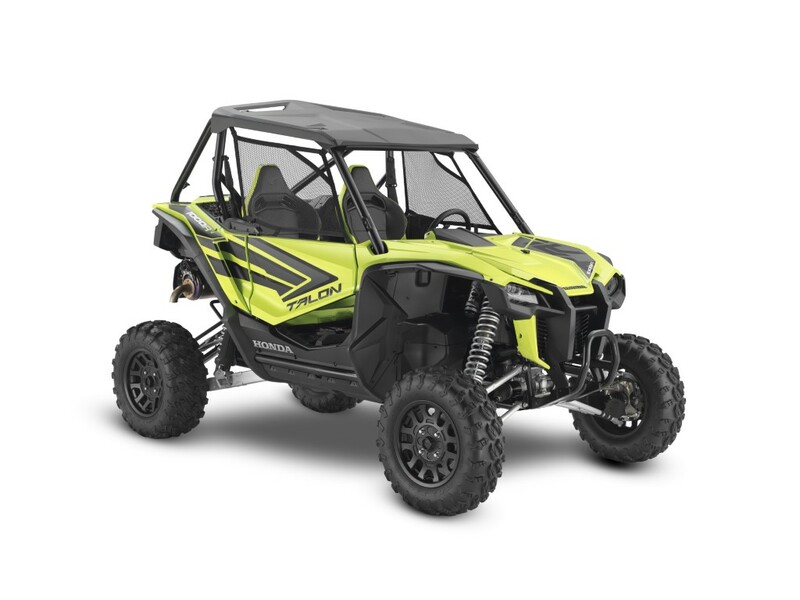 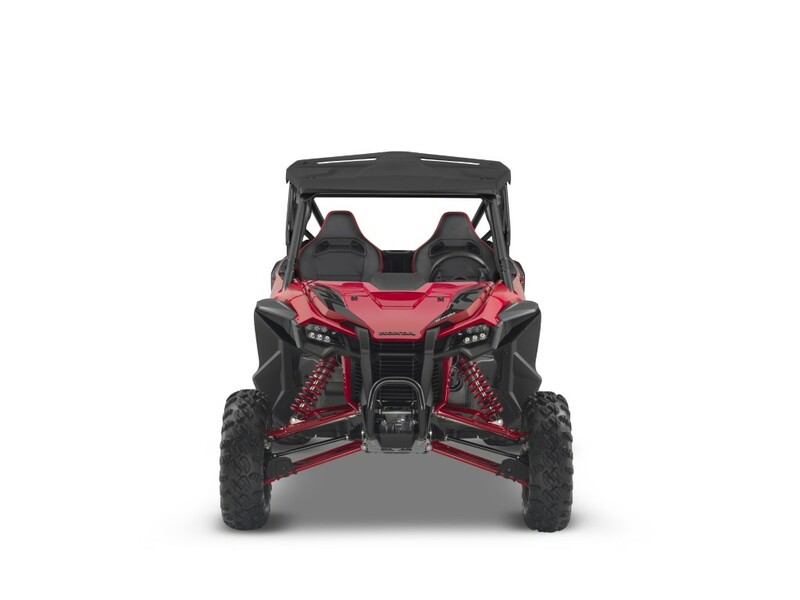 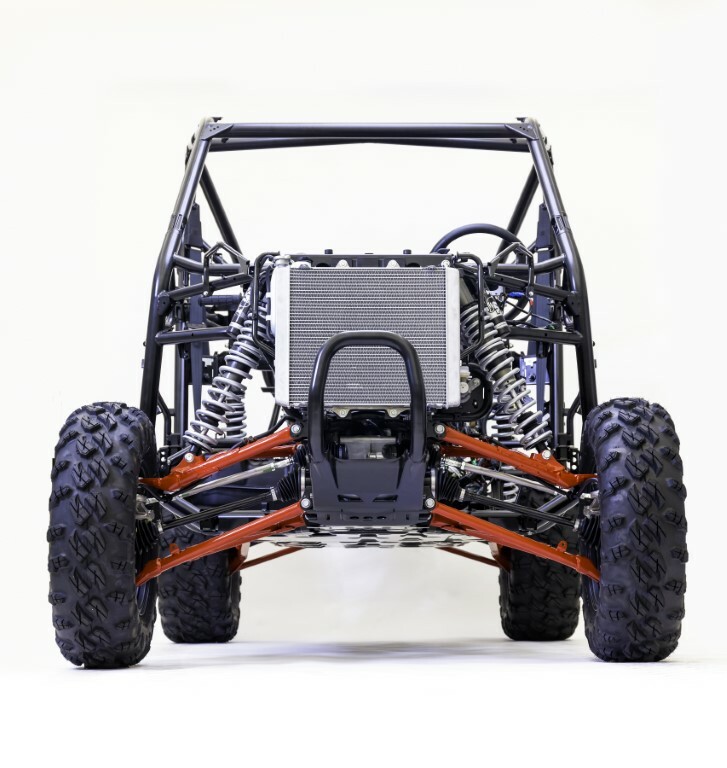 2019 TALON 1000X Ground Clearance: 12.7 in. 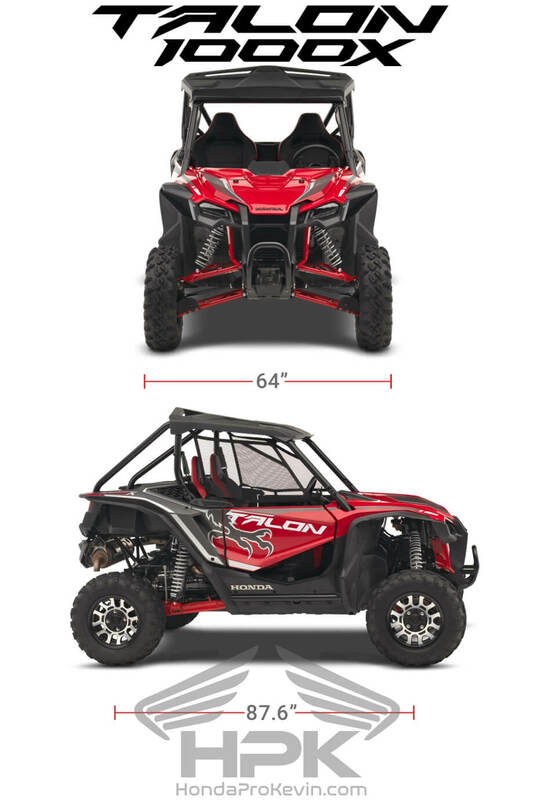 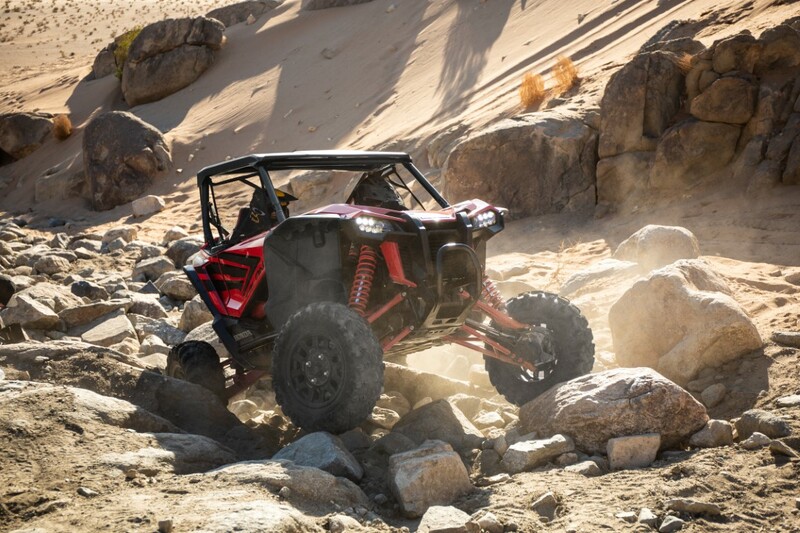 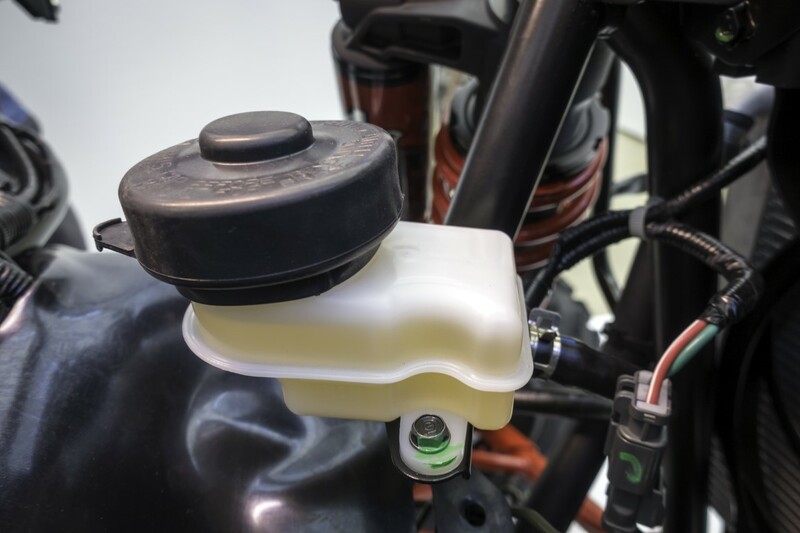 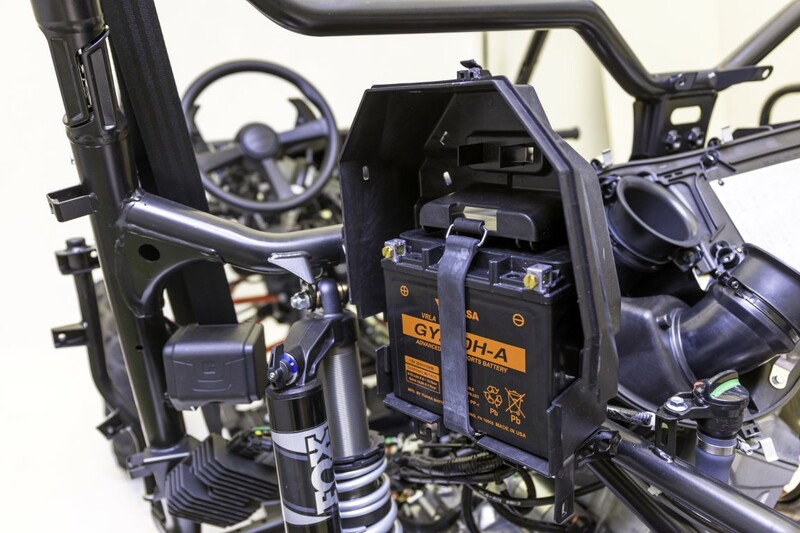 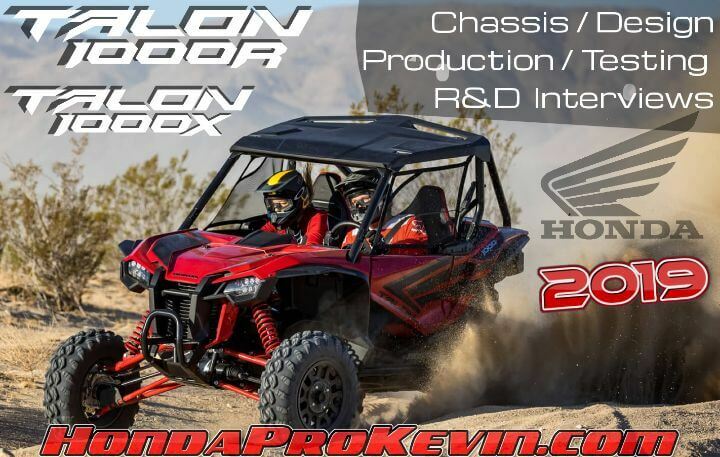 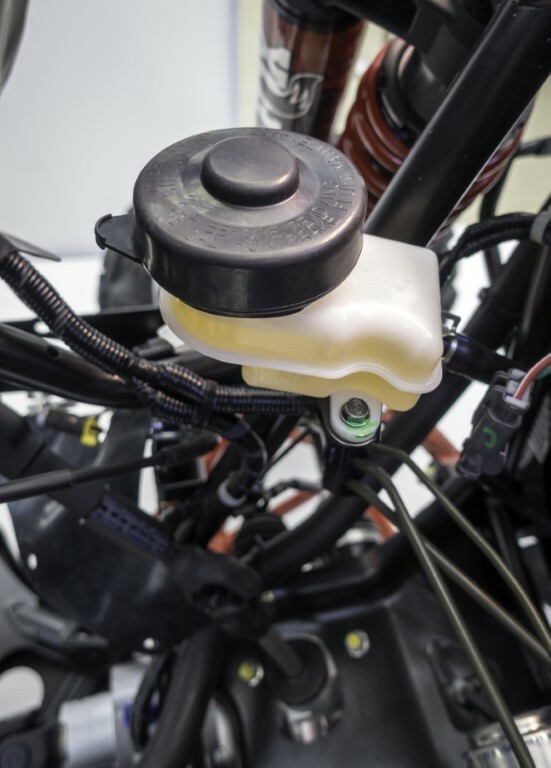 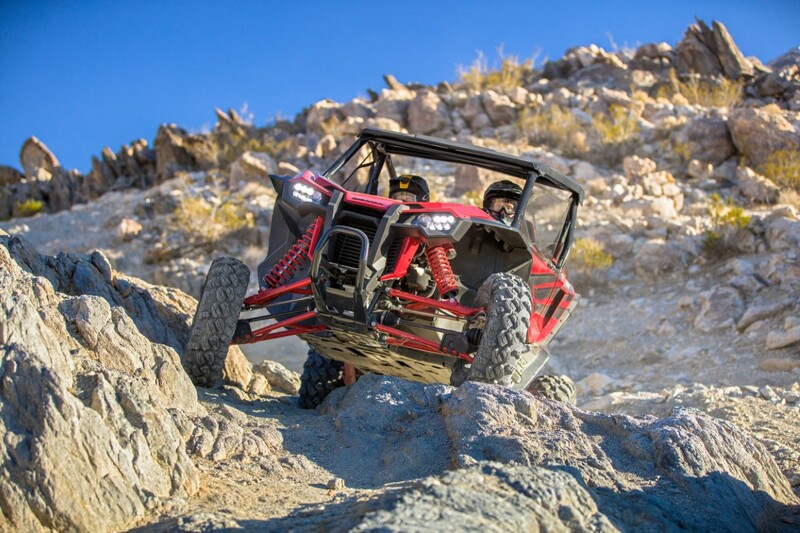 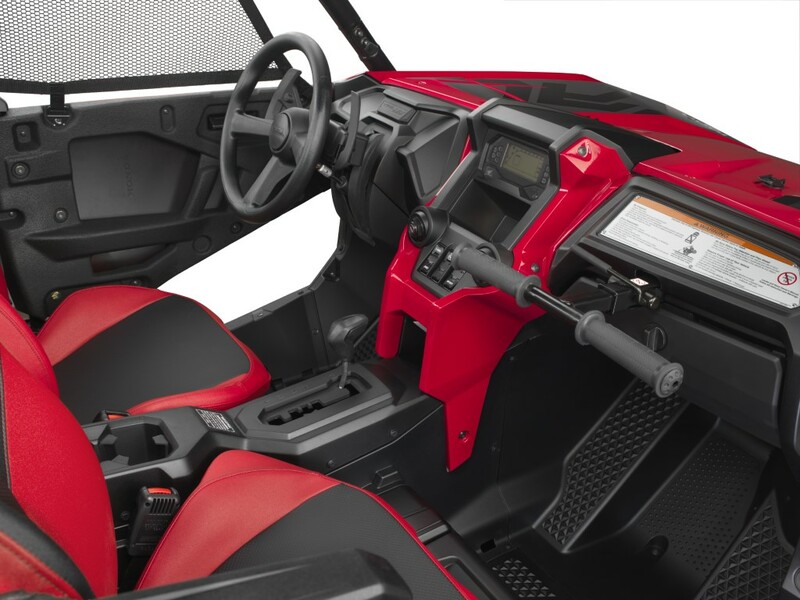 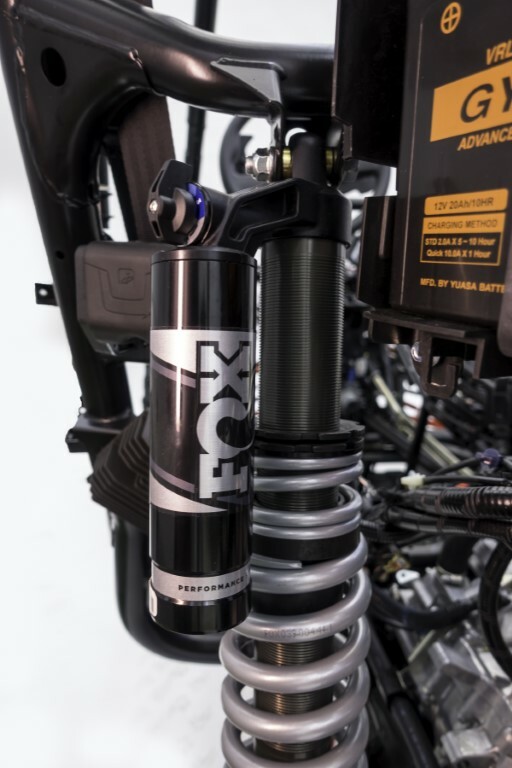 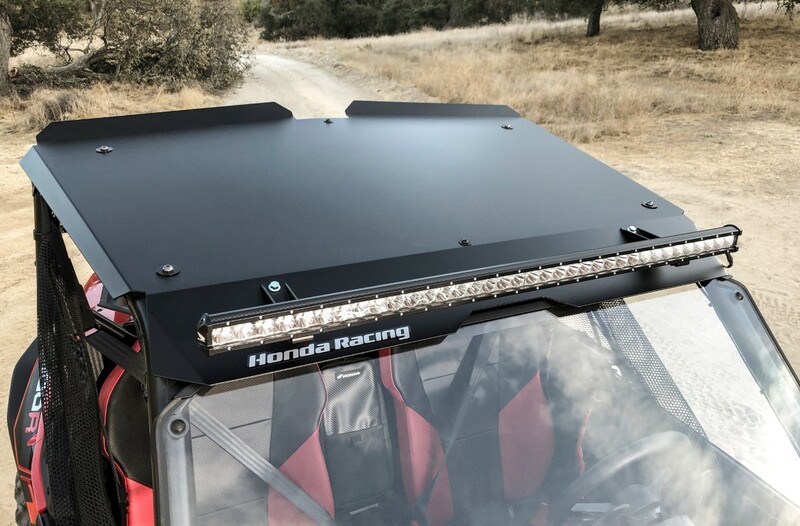 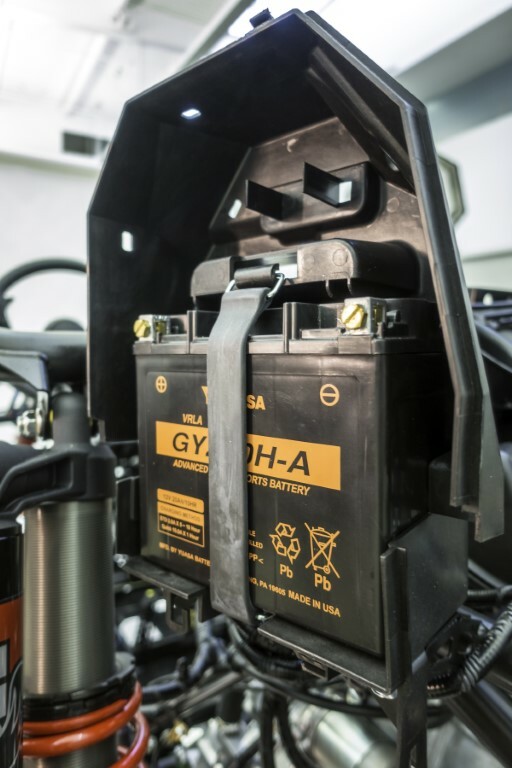 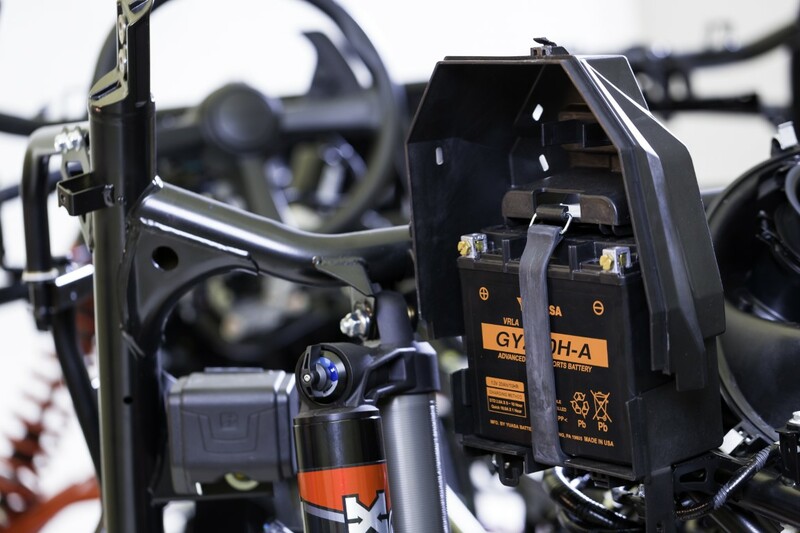 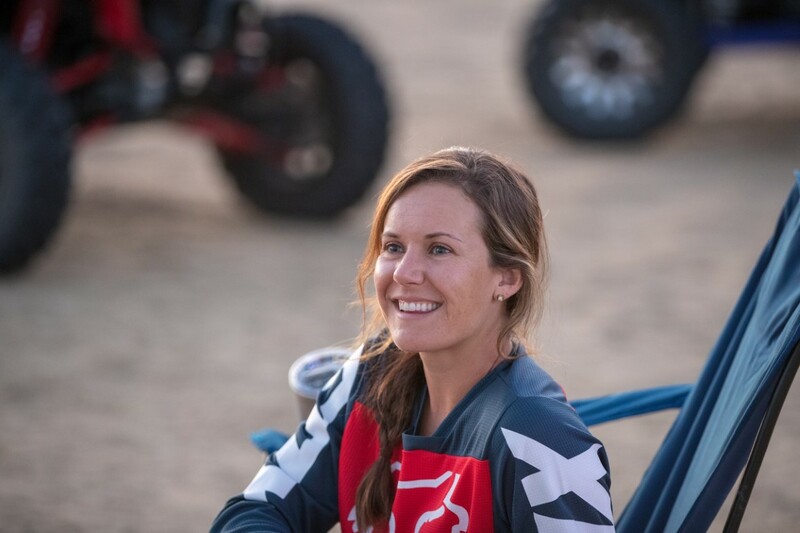 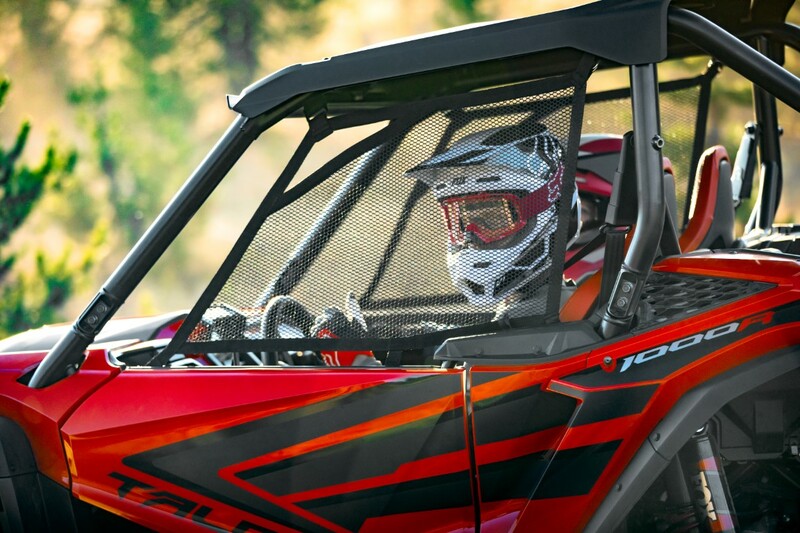 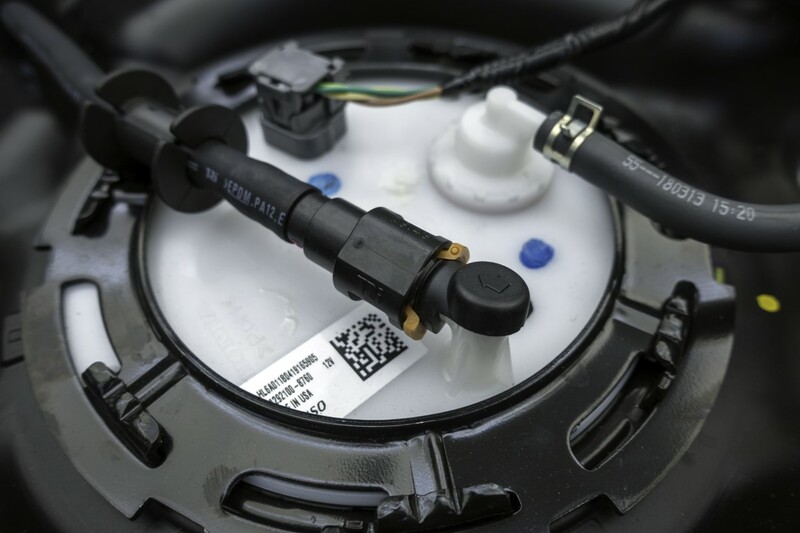 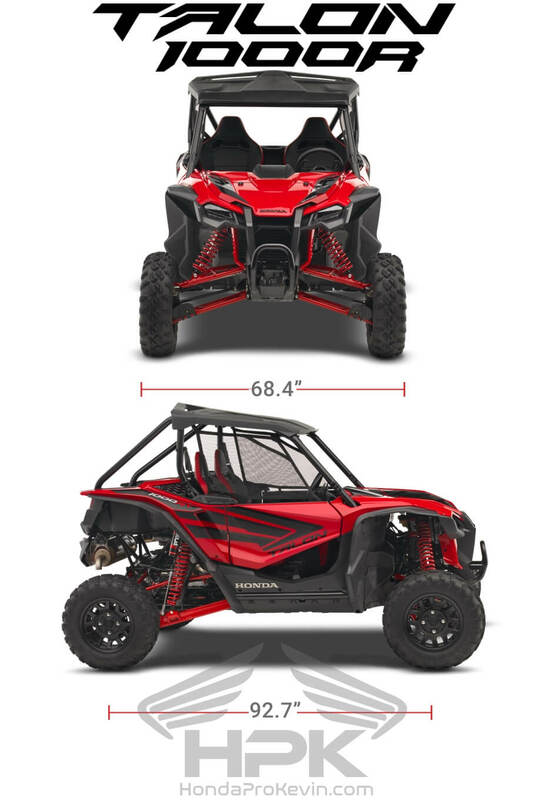 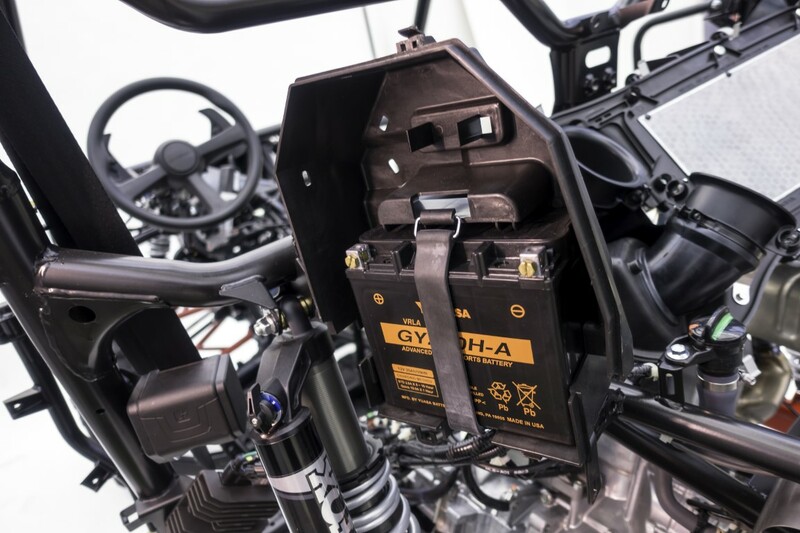 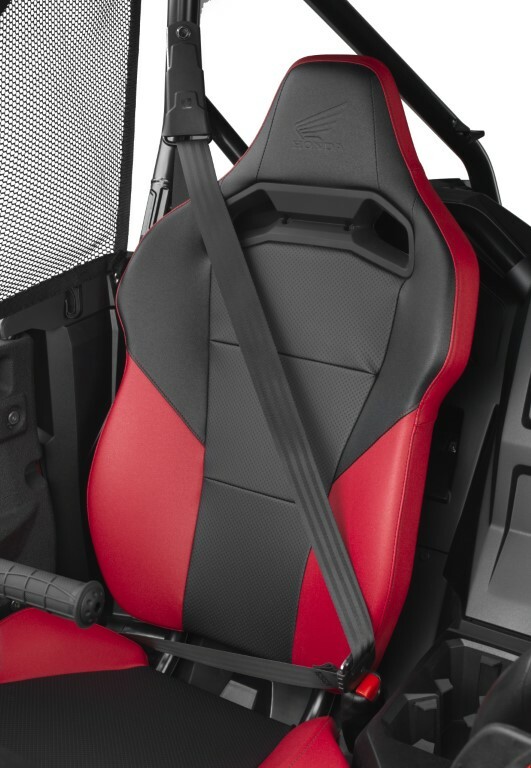 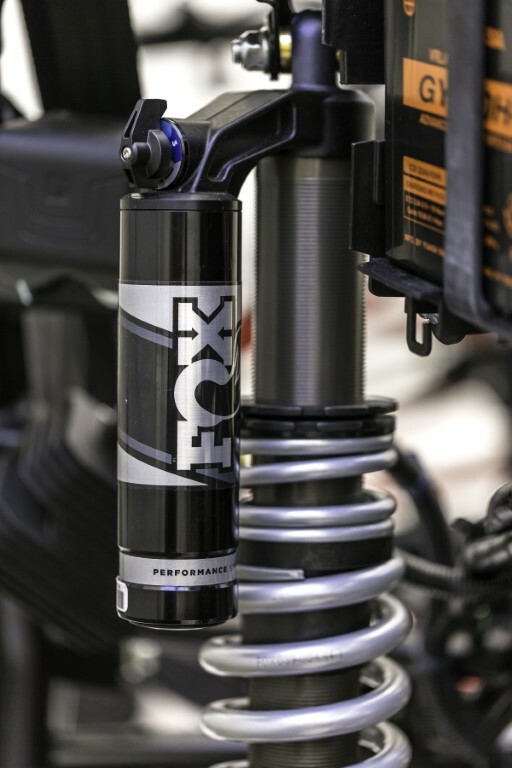 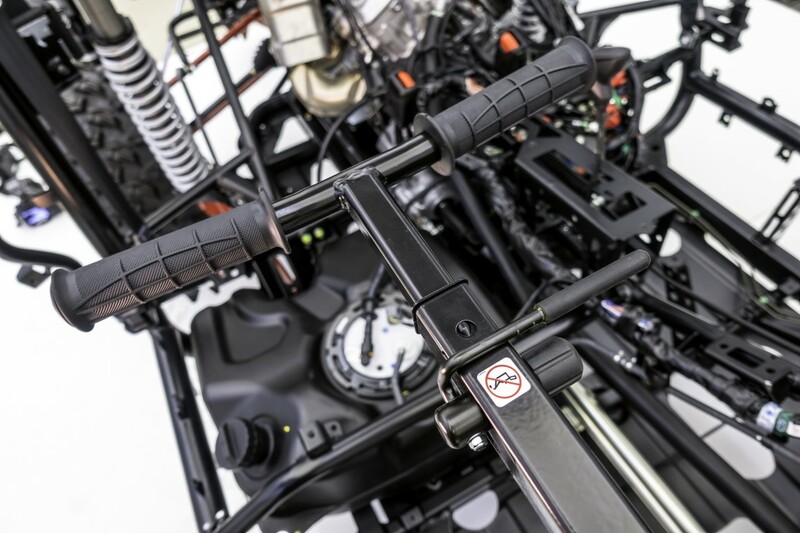 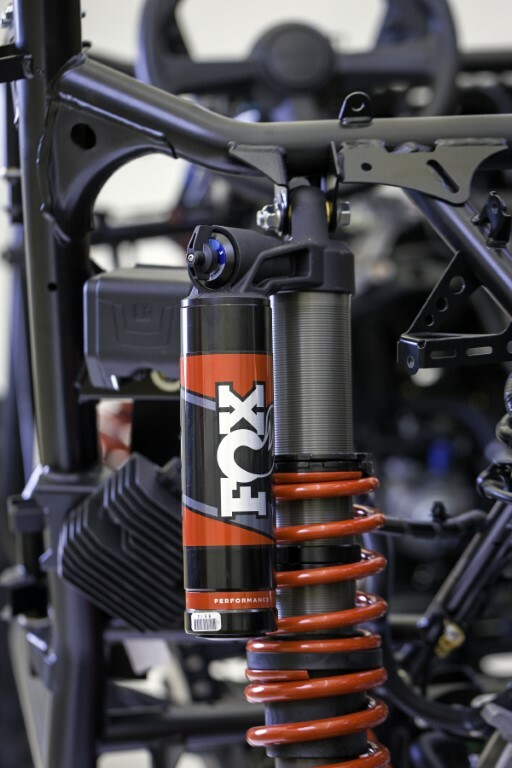 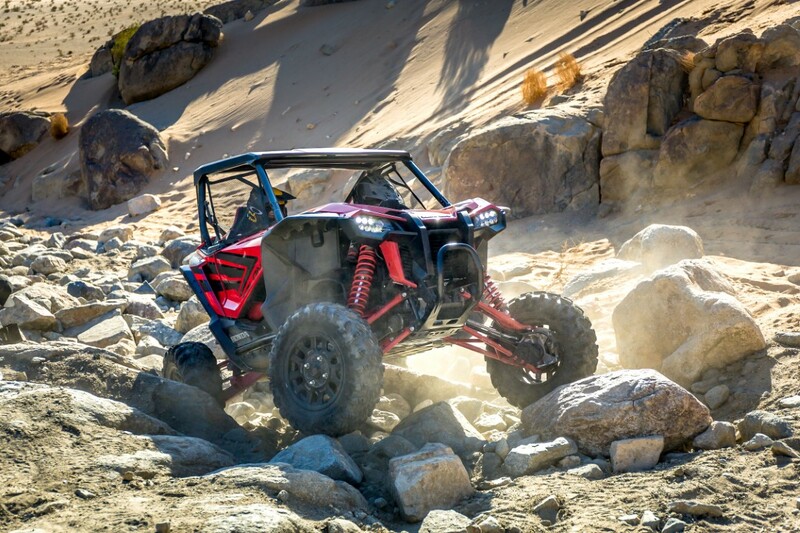 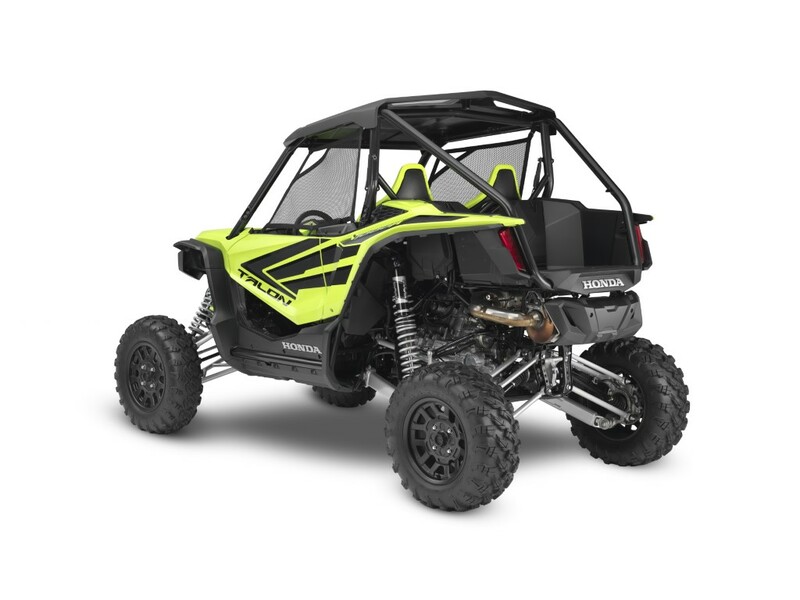 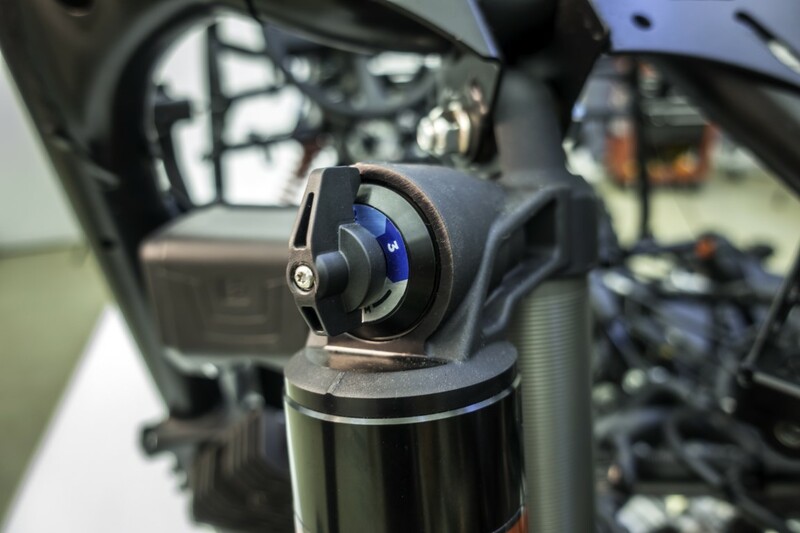 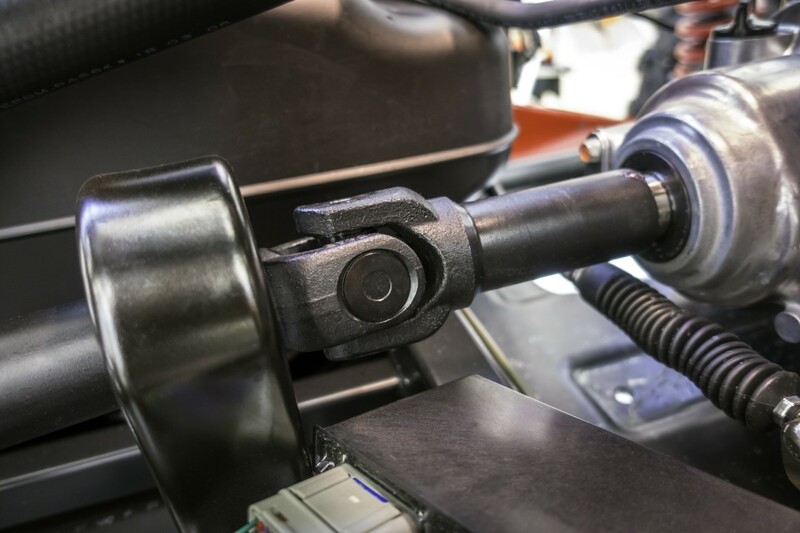 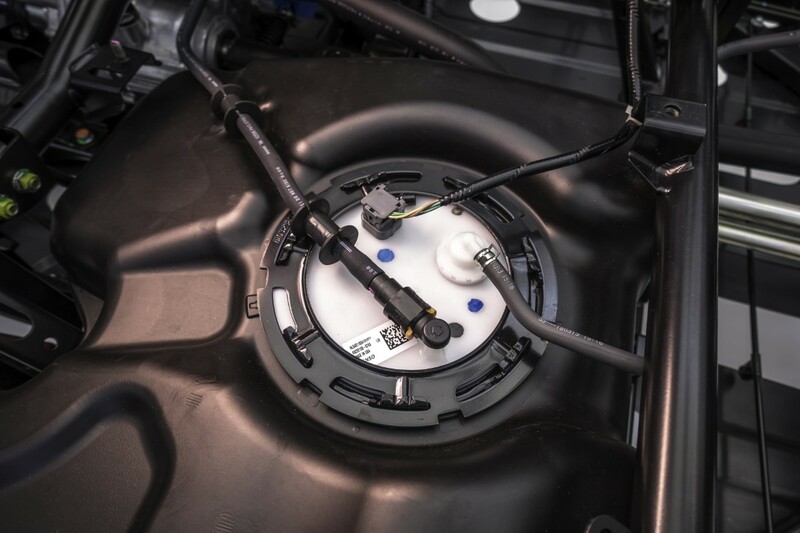 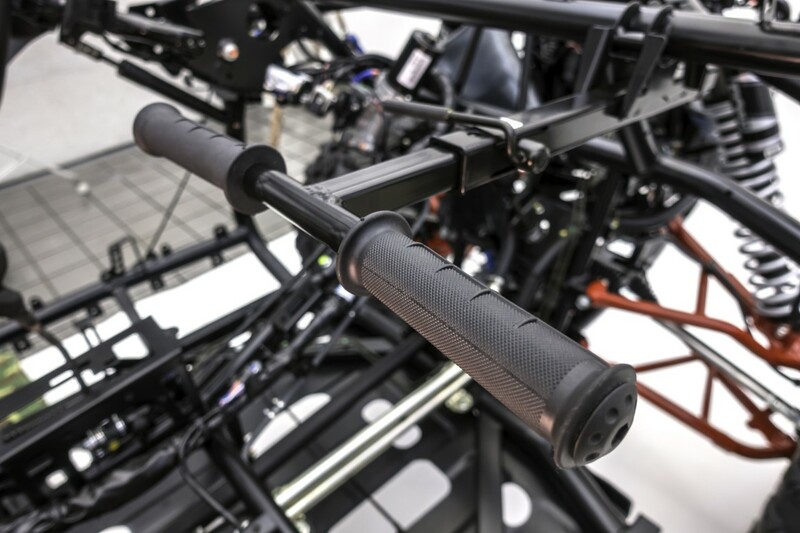 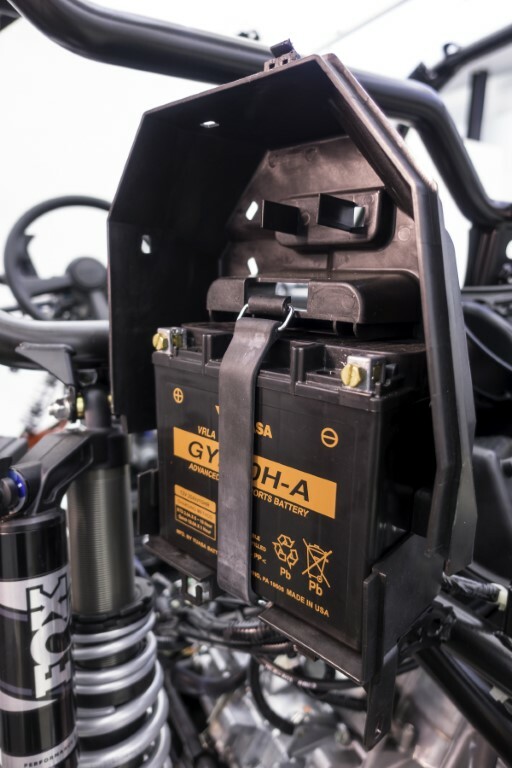 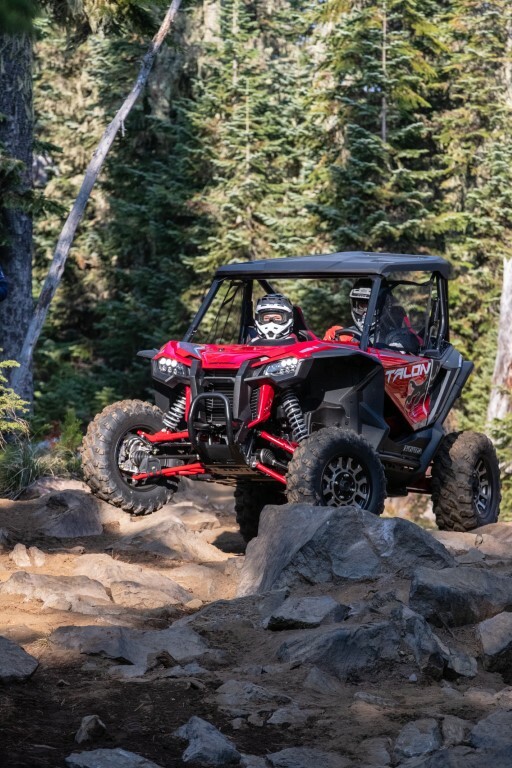 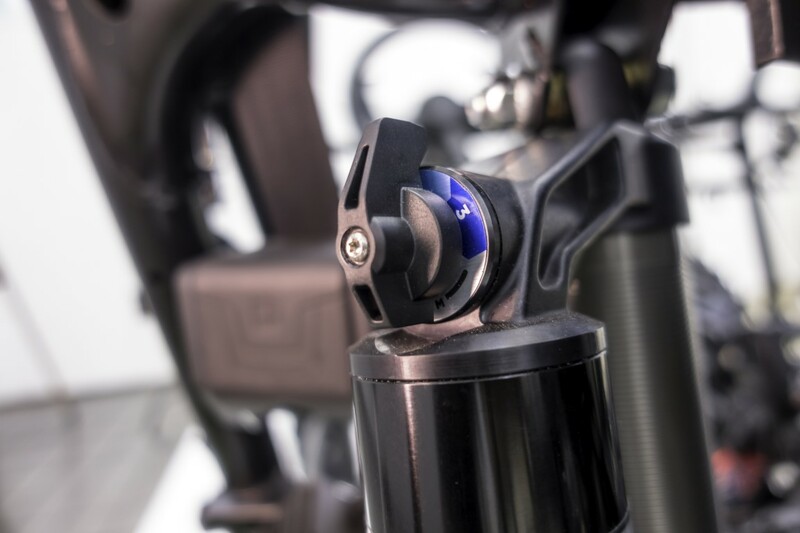 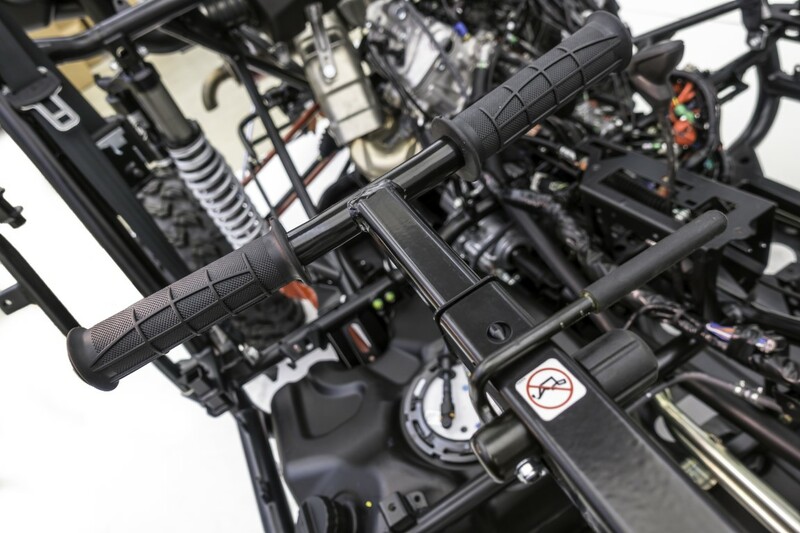 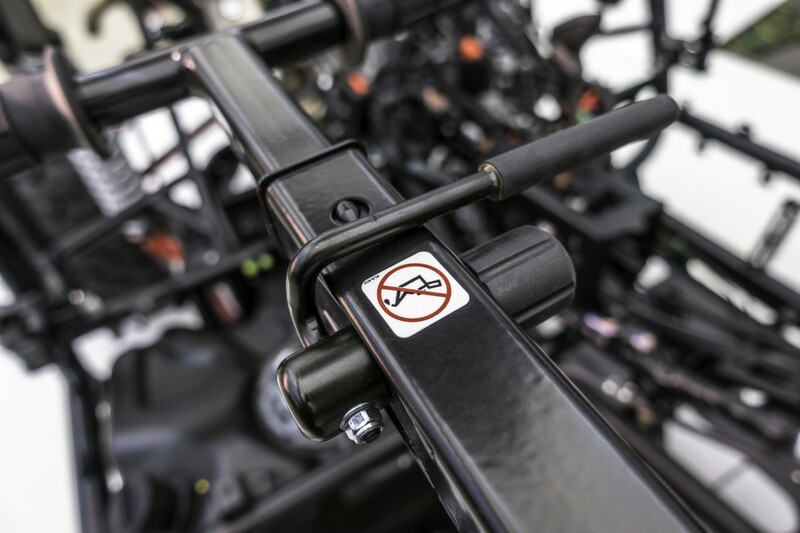 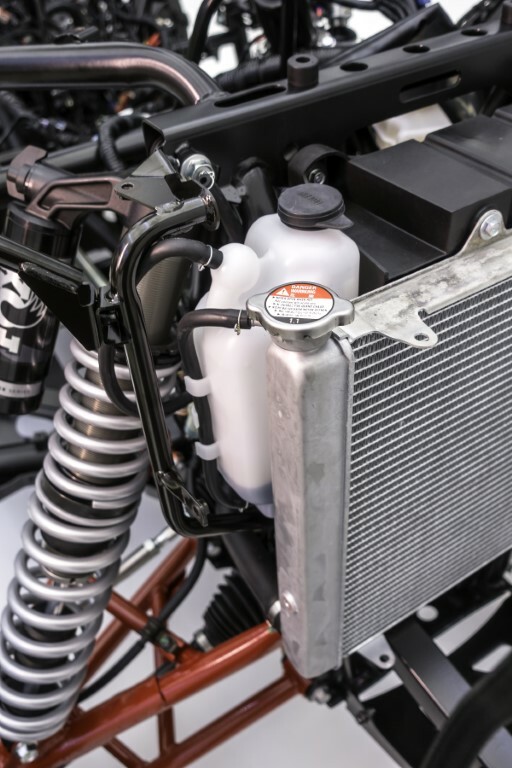 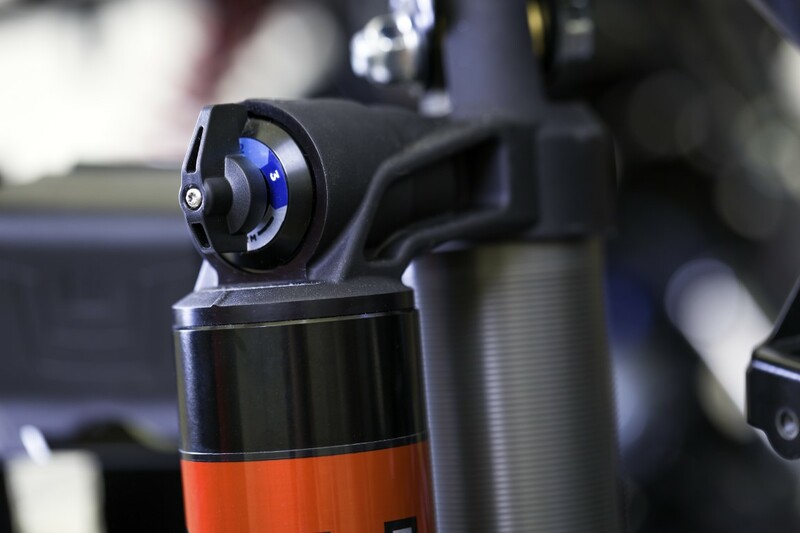 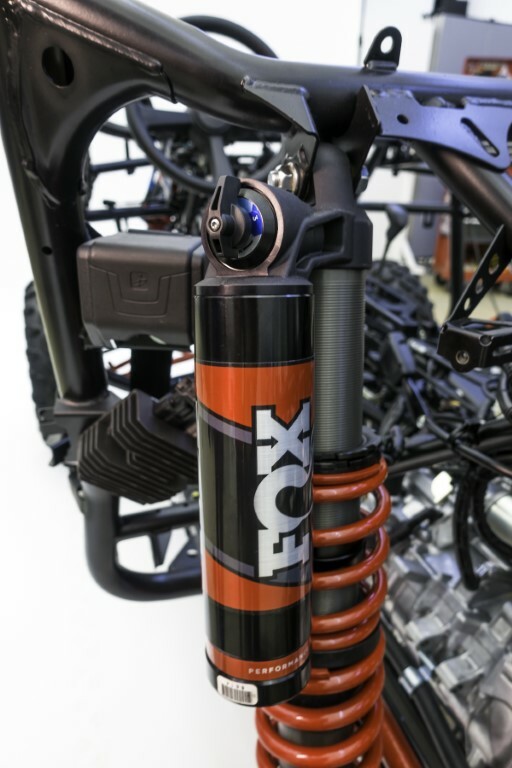 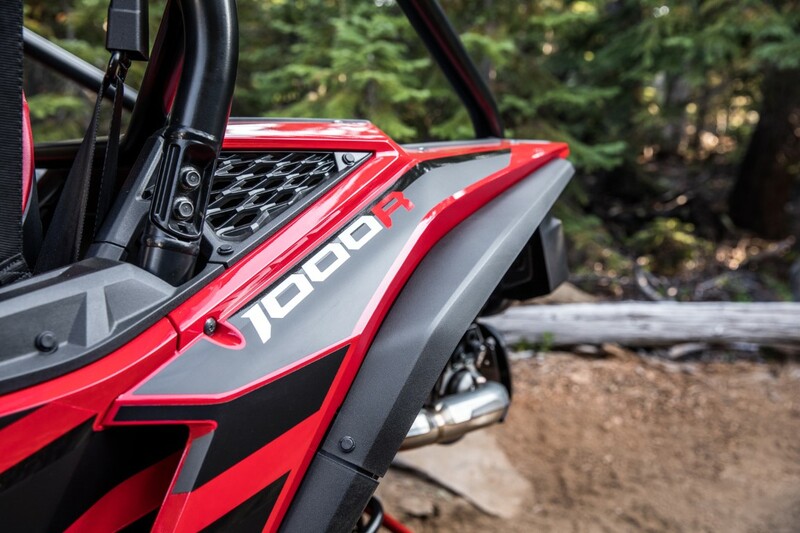 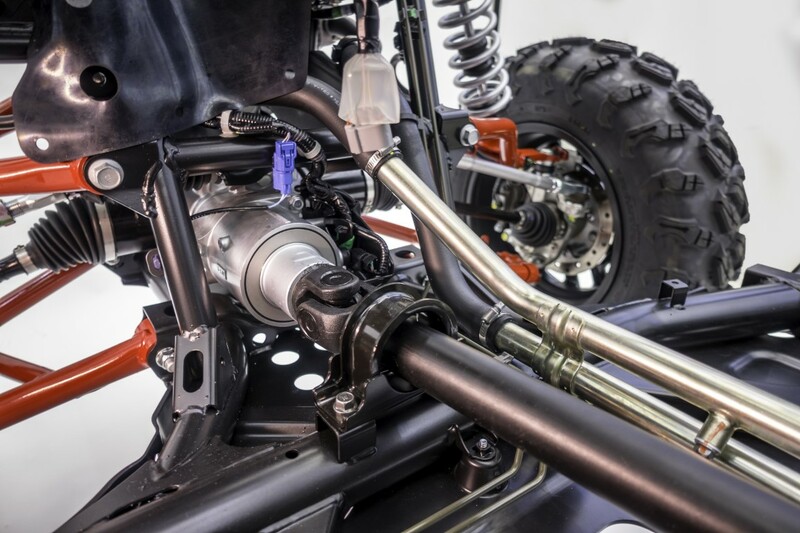 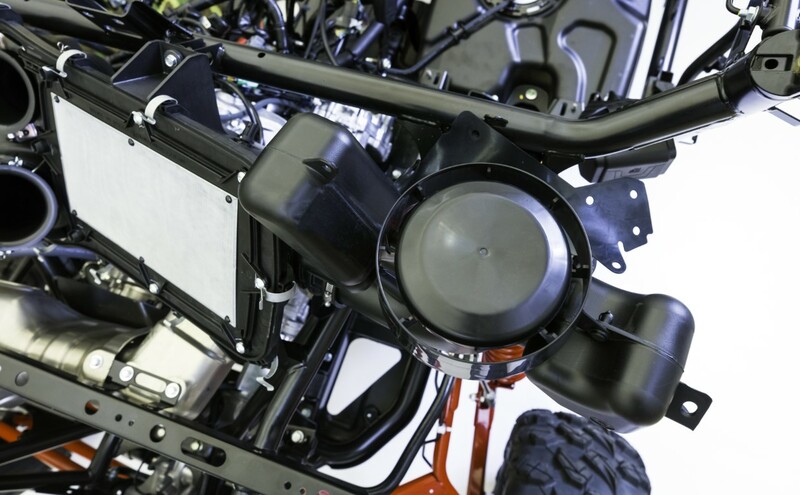 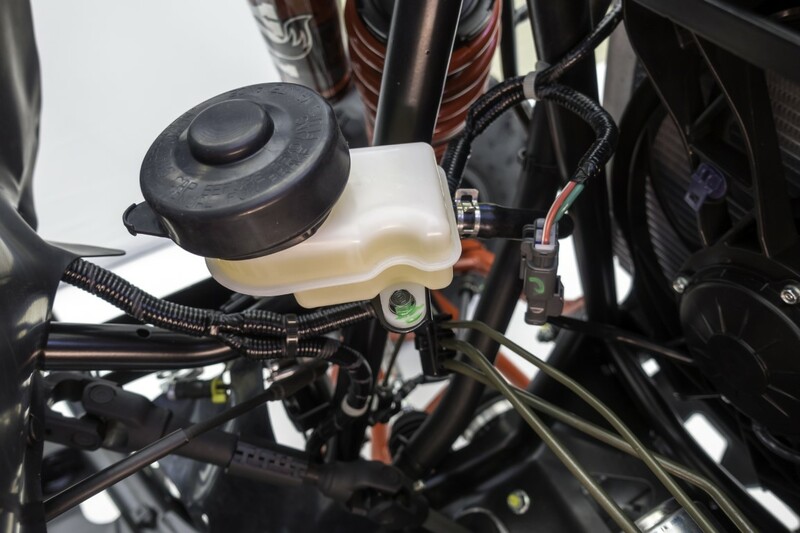 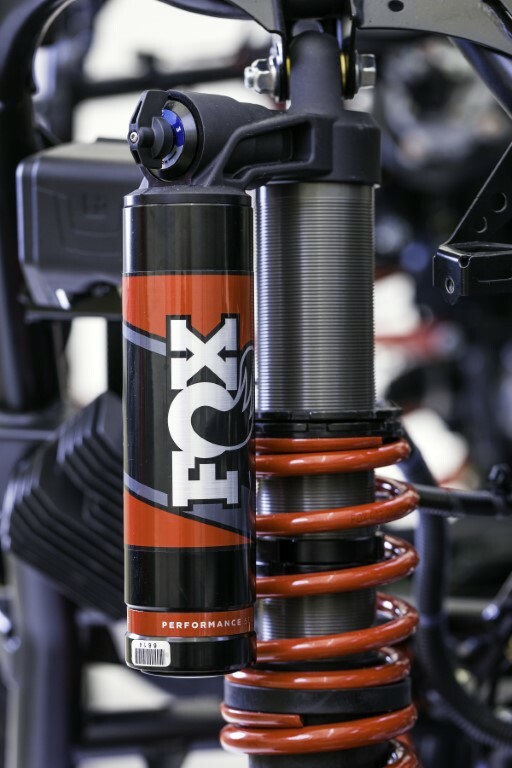 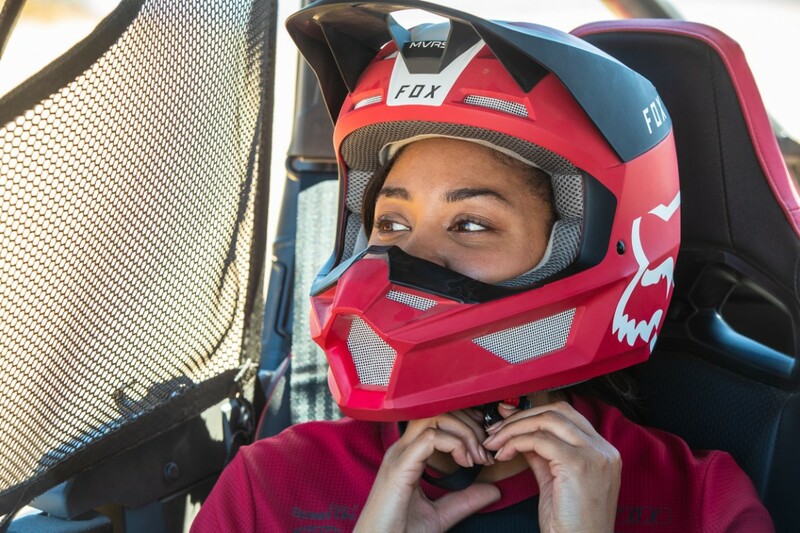 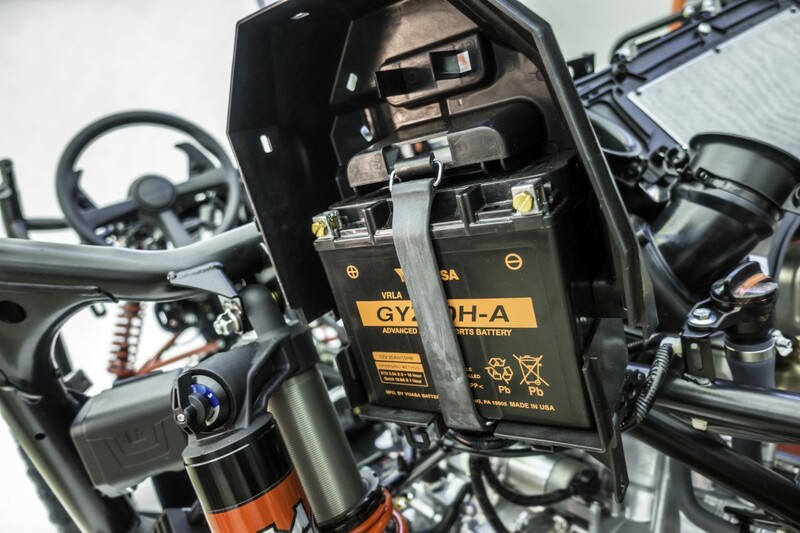 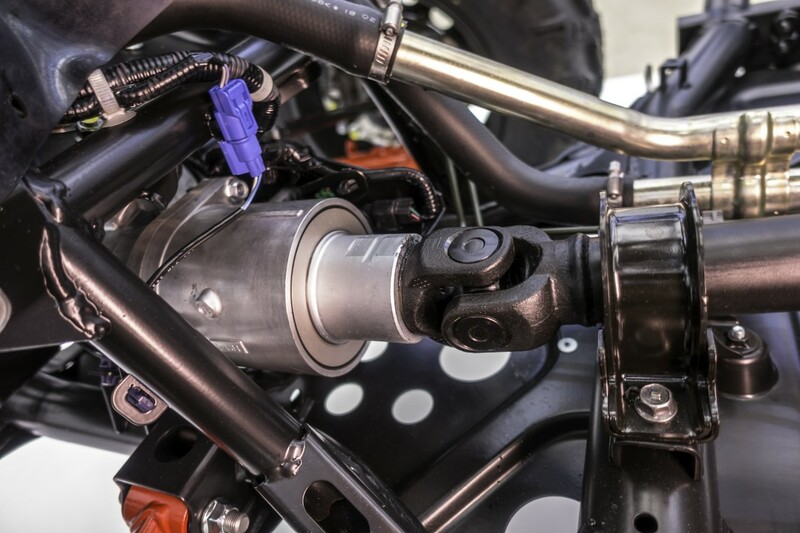 * To check out a more detailed breakdown on all of the 2019 TALON 1000 R / X accessories – Click Here.